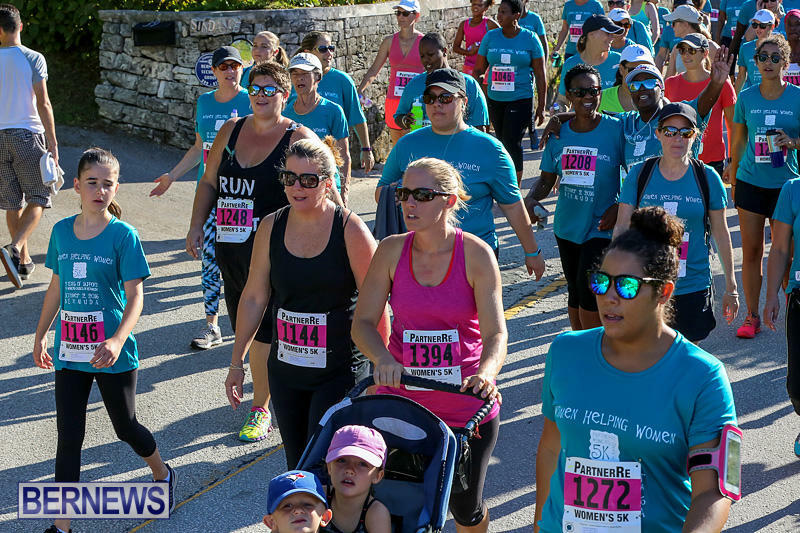 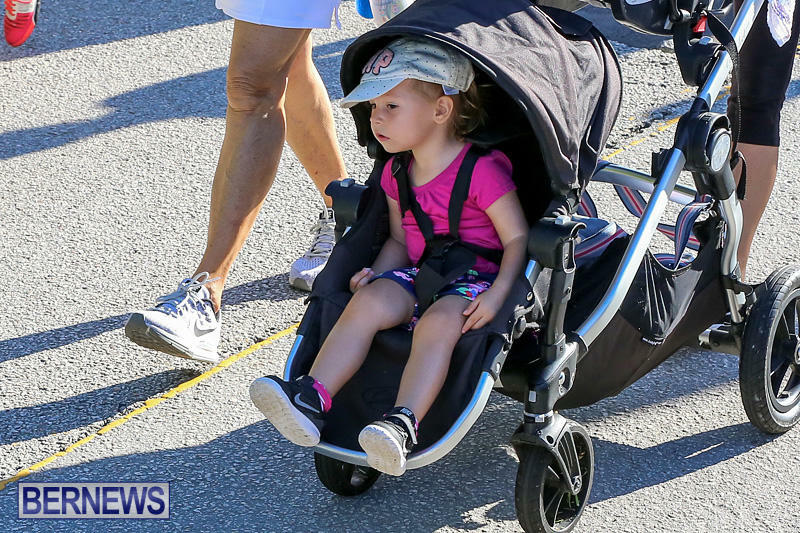 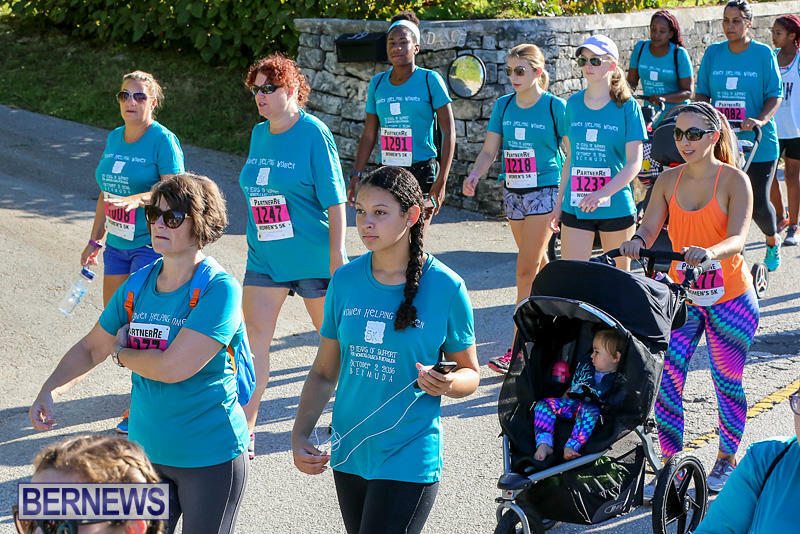 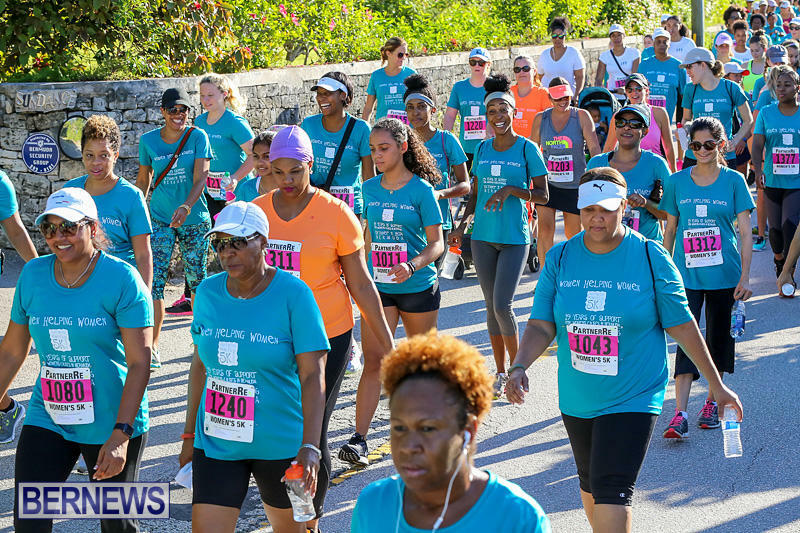 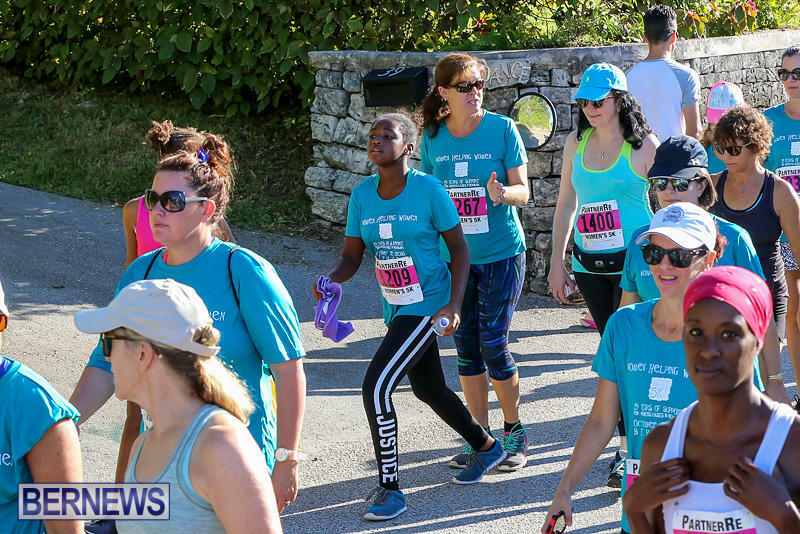 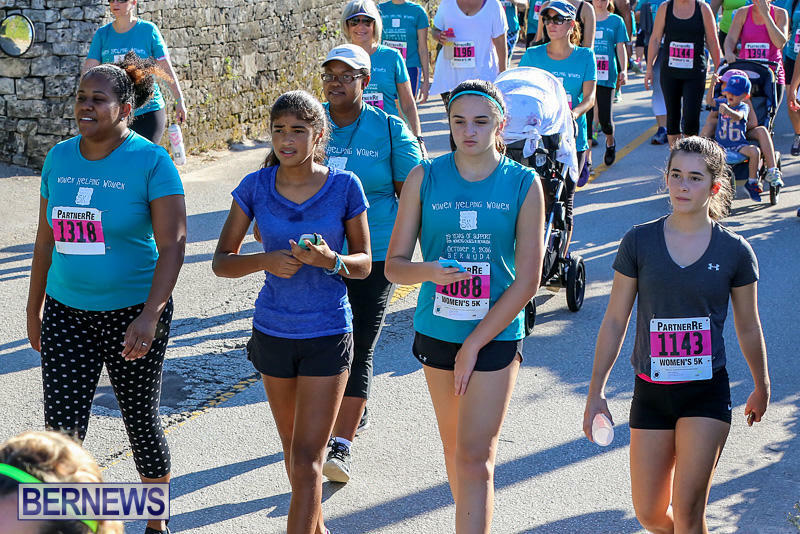 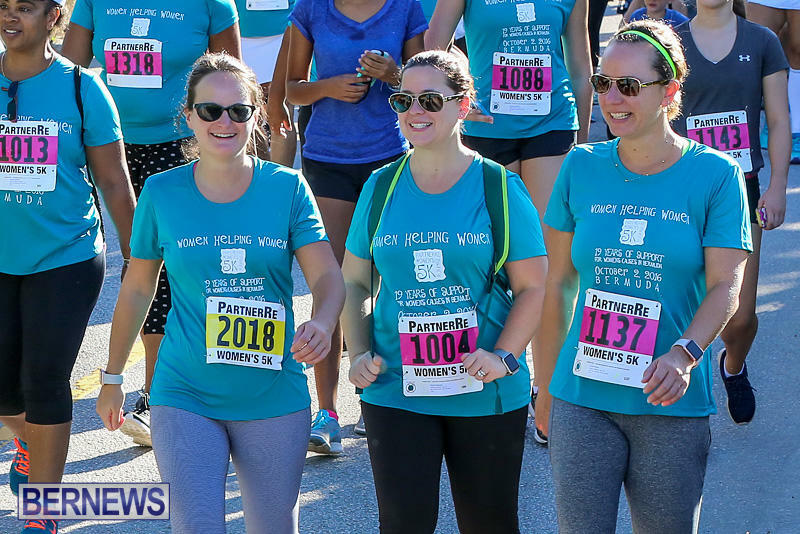 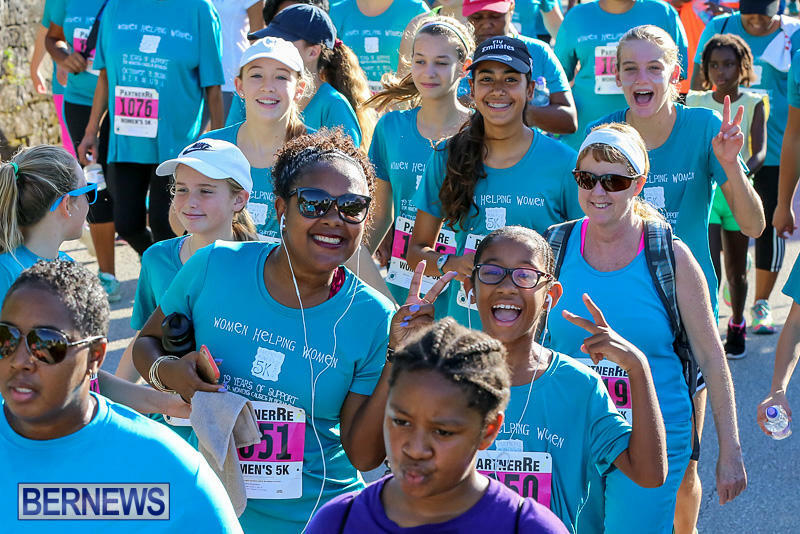 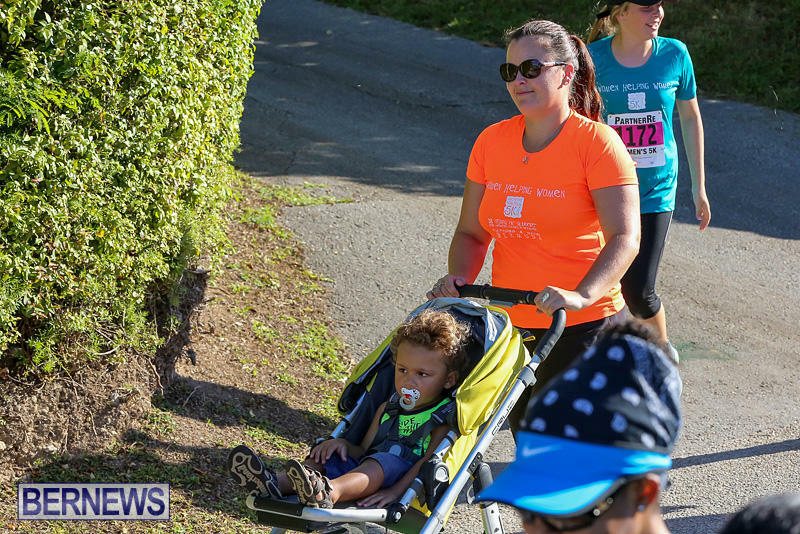 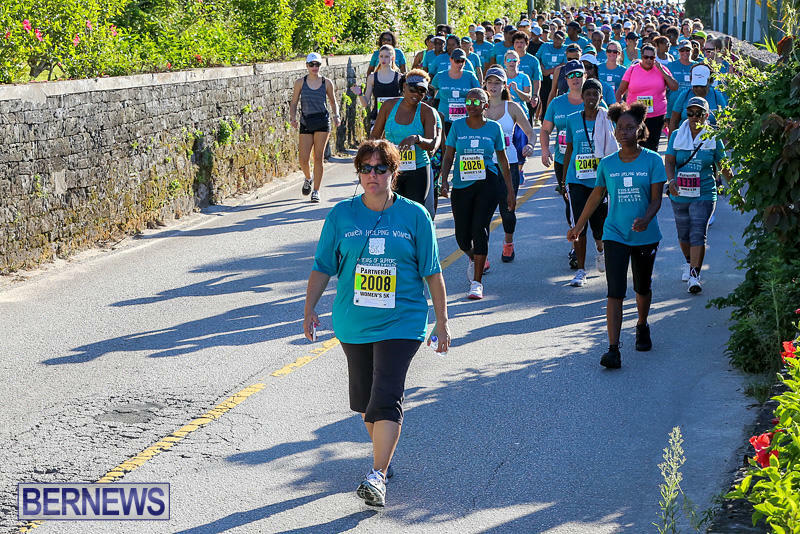 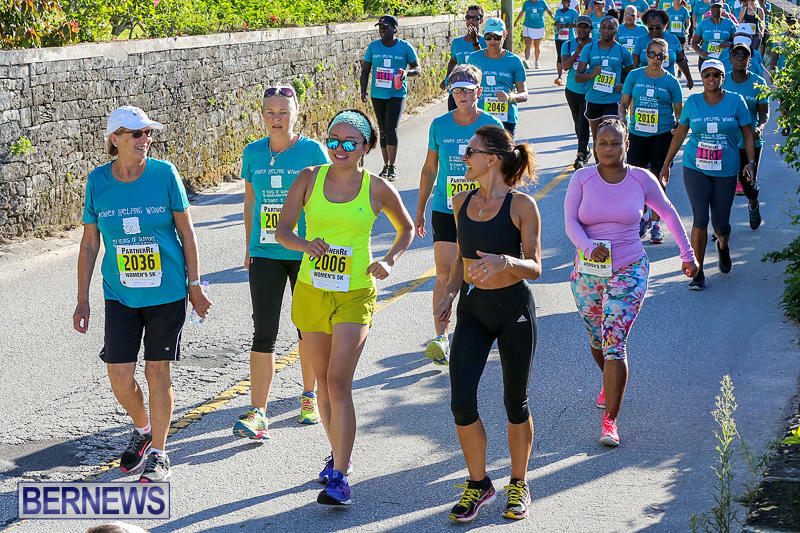 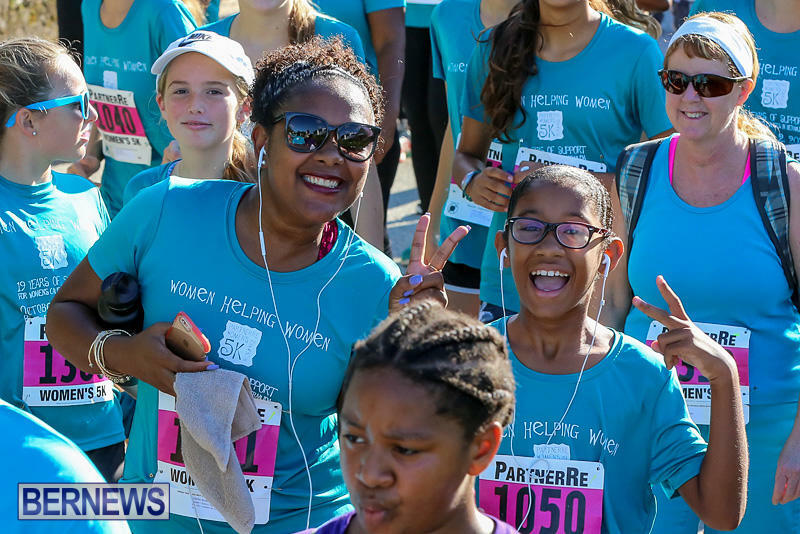 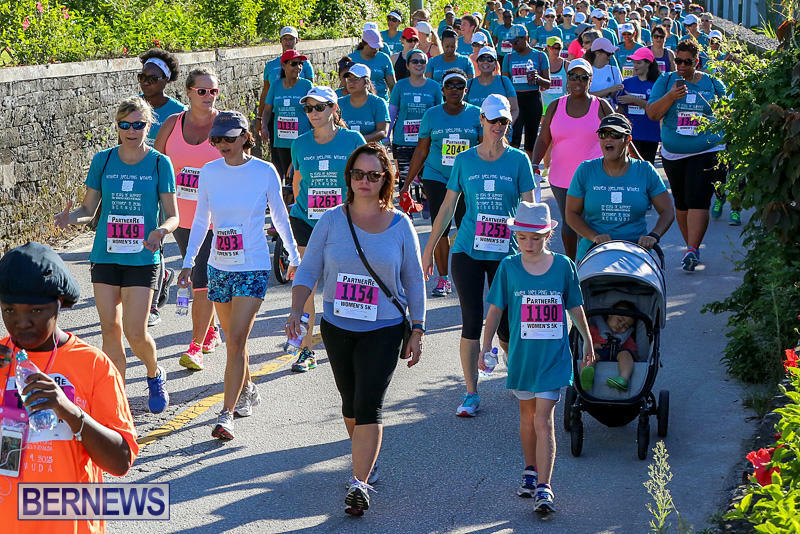 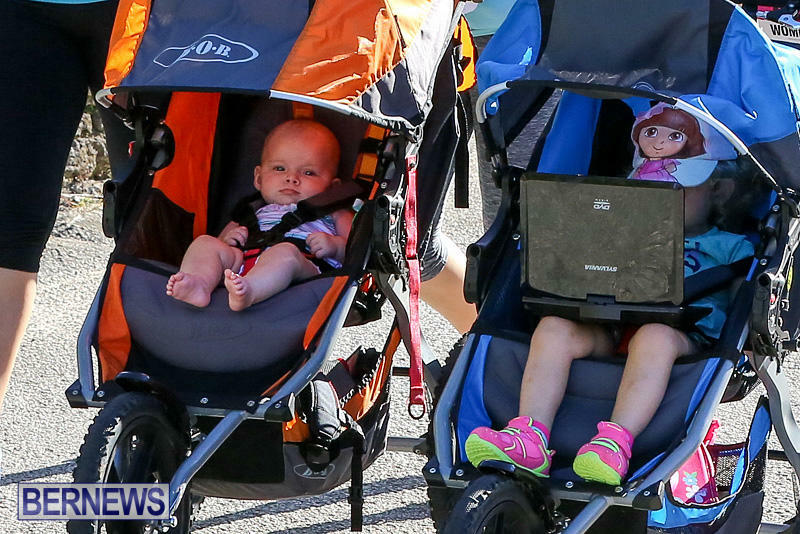 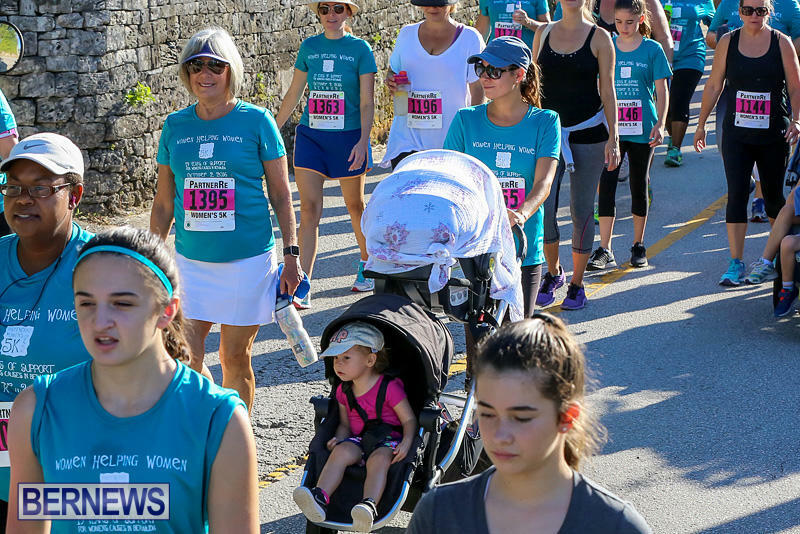 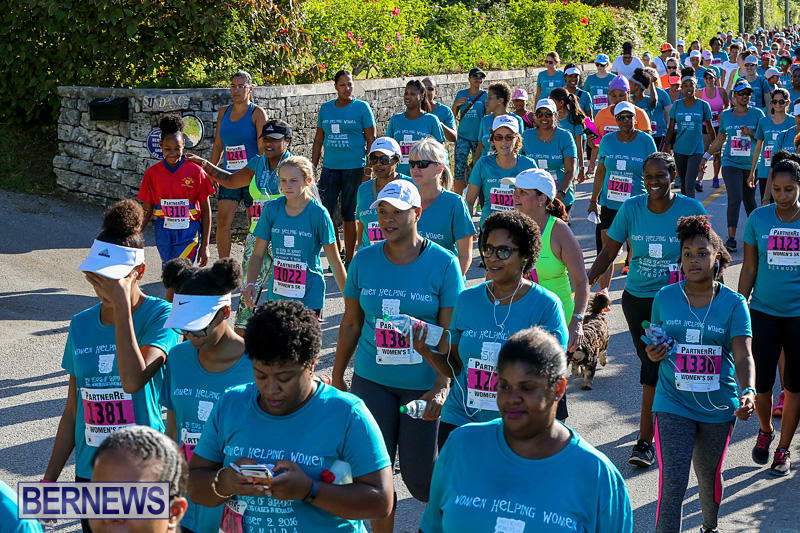 The PartnerRe Women’s 5K Run and Walk took place Sunday morning [Oct 2] starting from the Botanical Gardens, with hundreds of women taking part in the event. 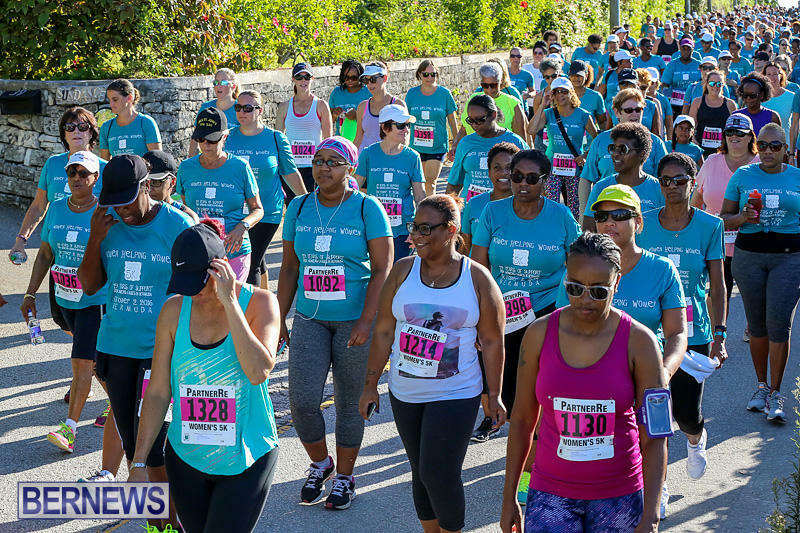 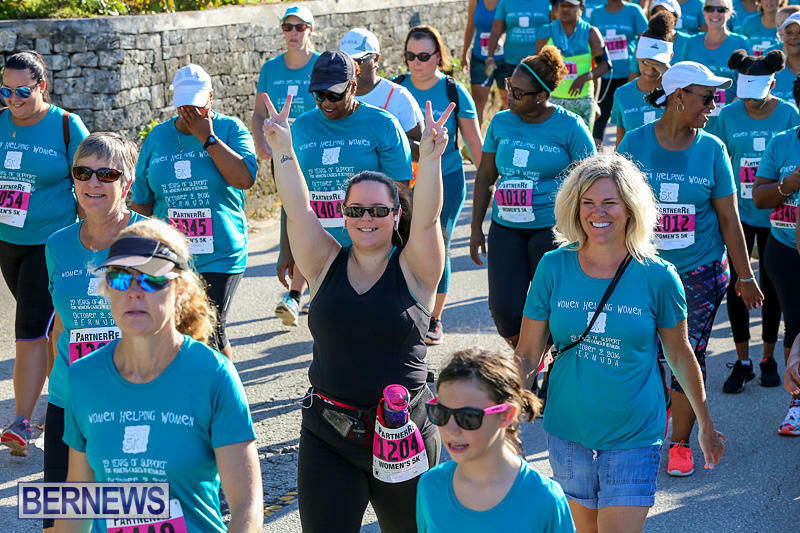 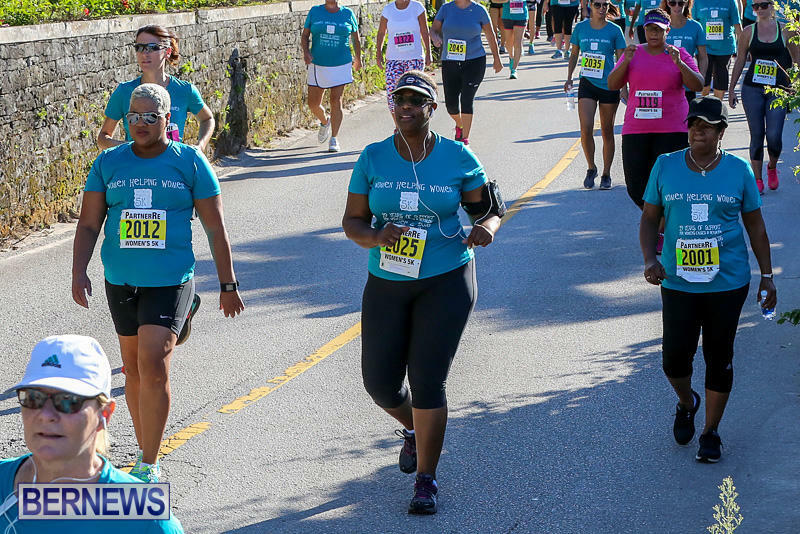 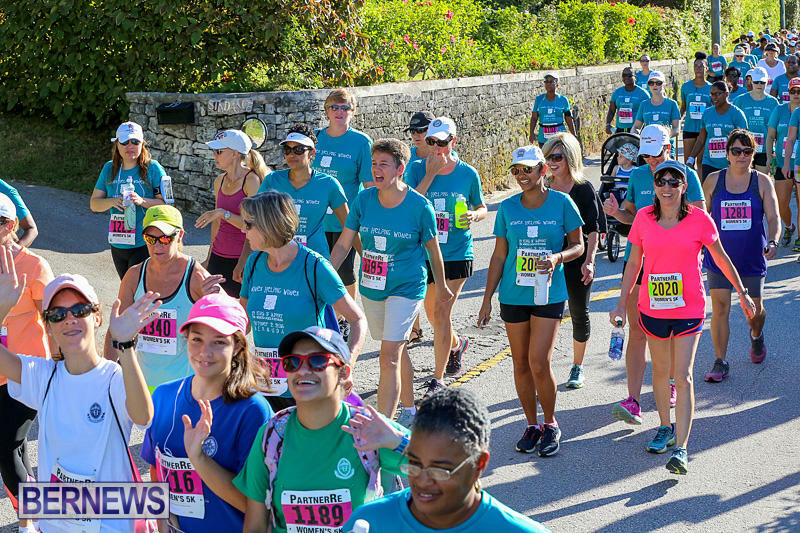 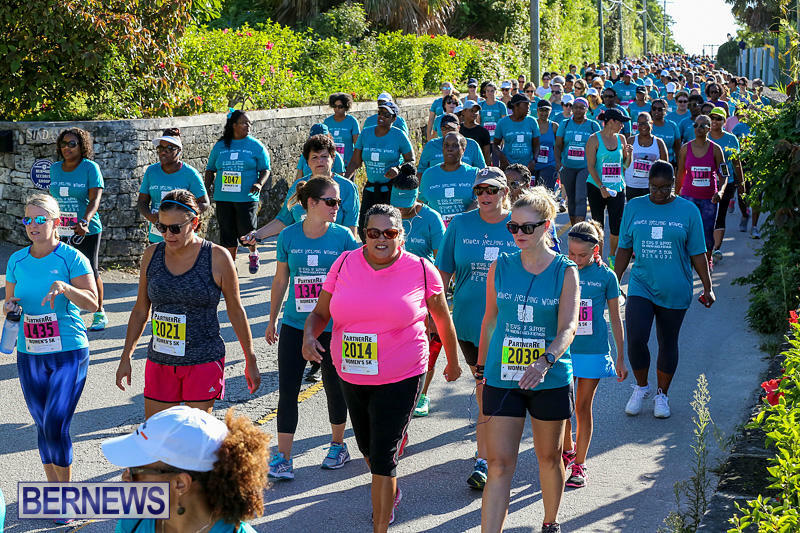 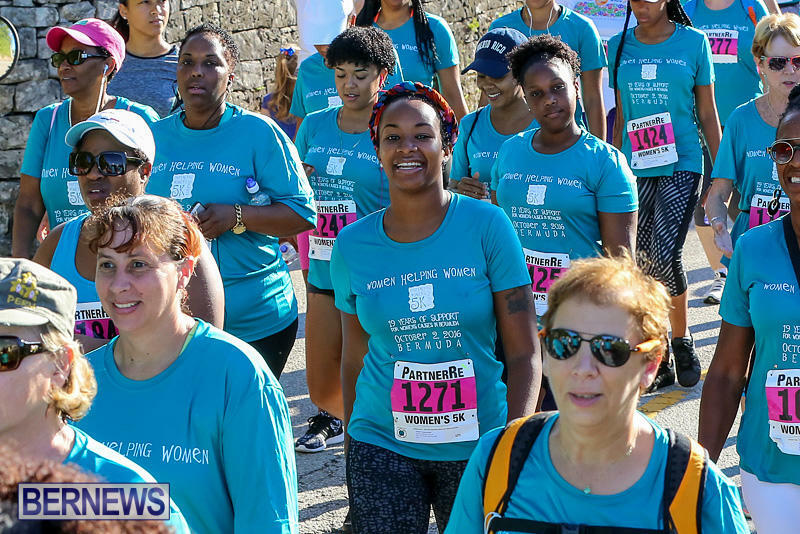 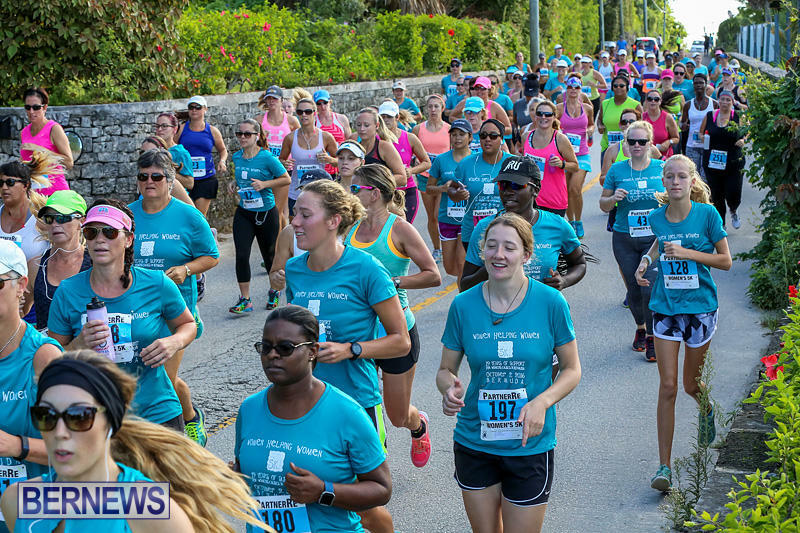 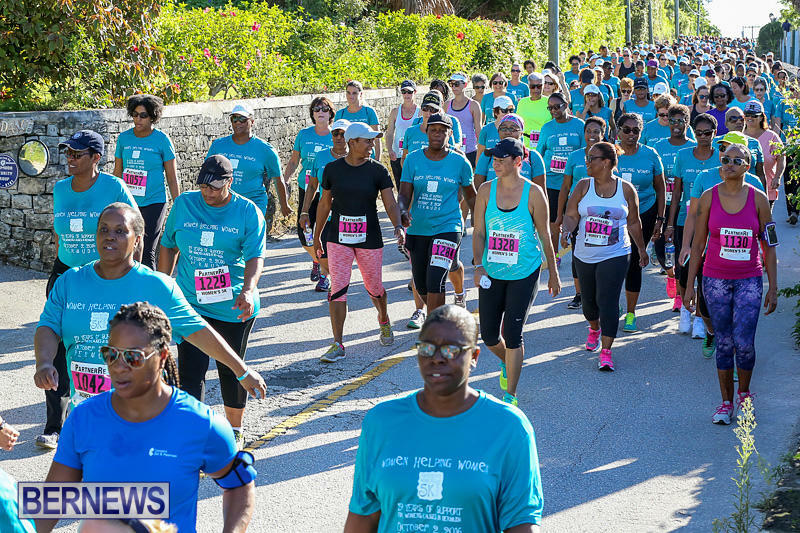 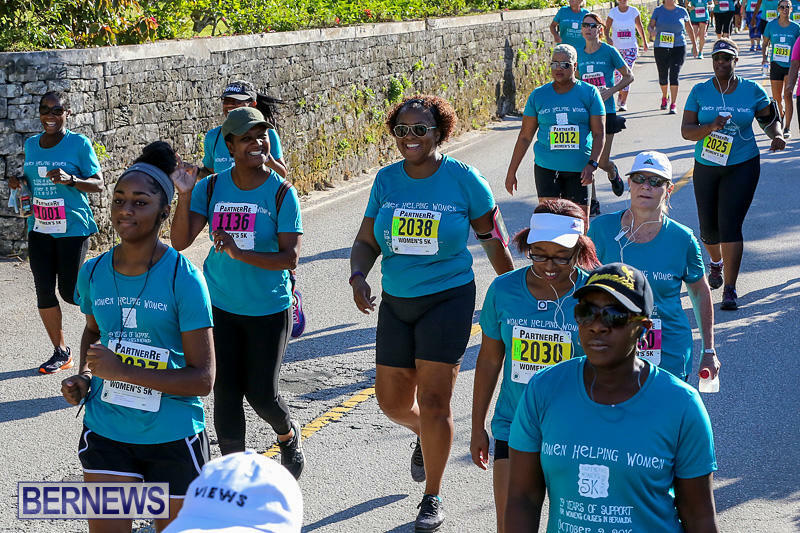 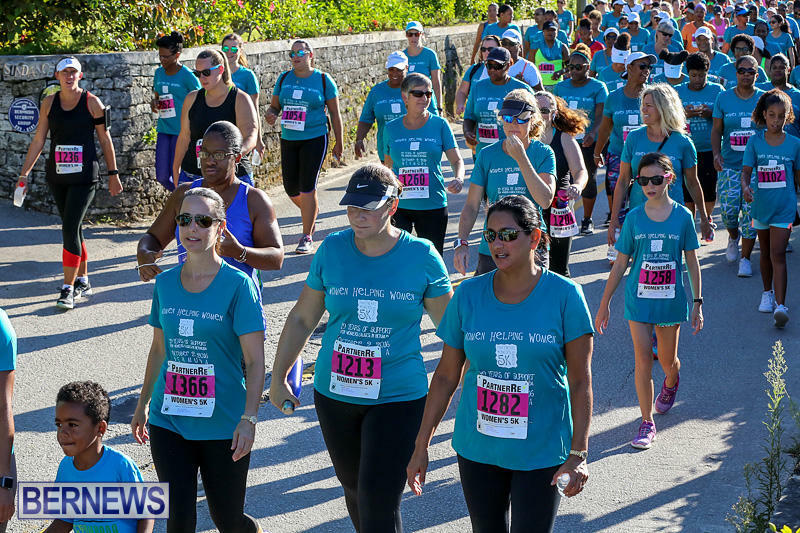 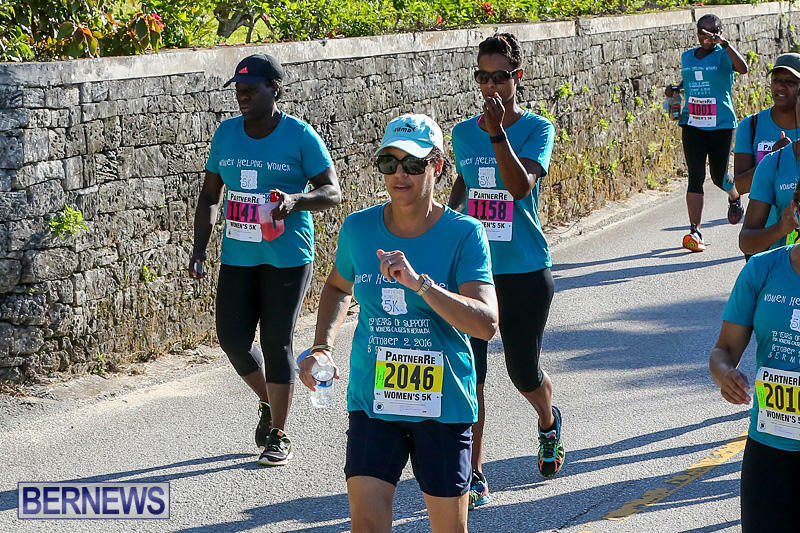 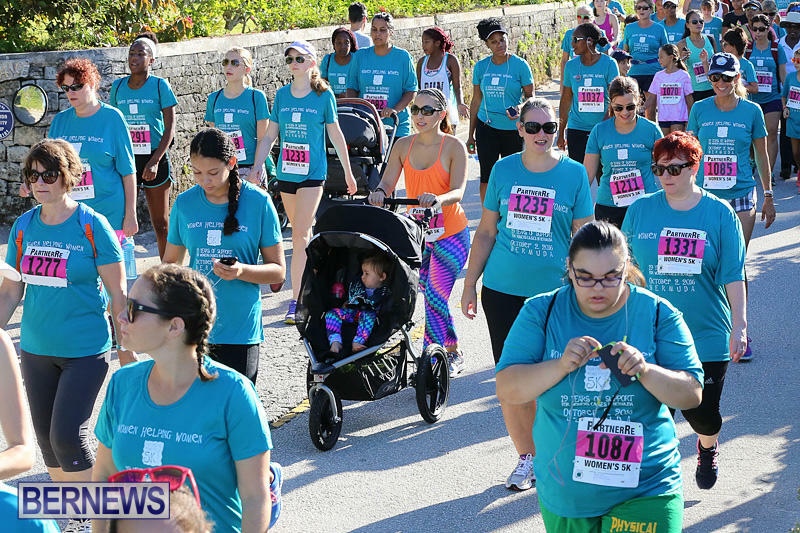 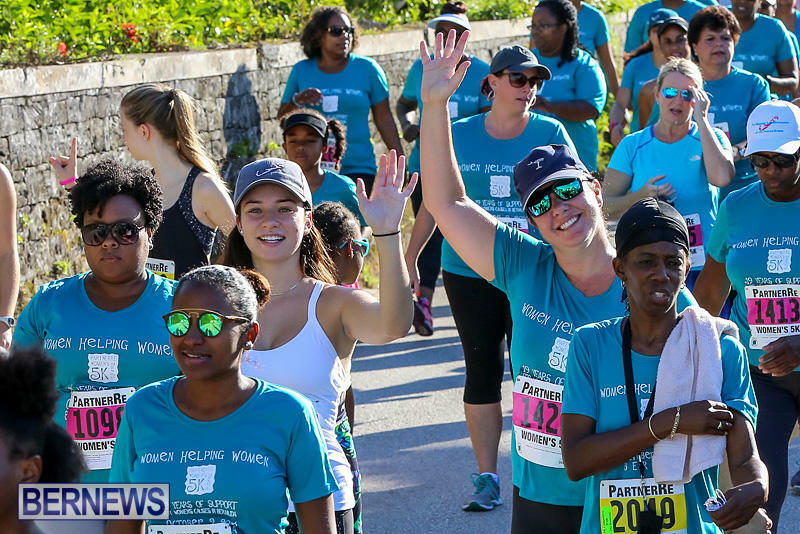 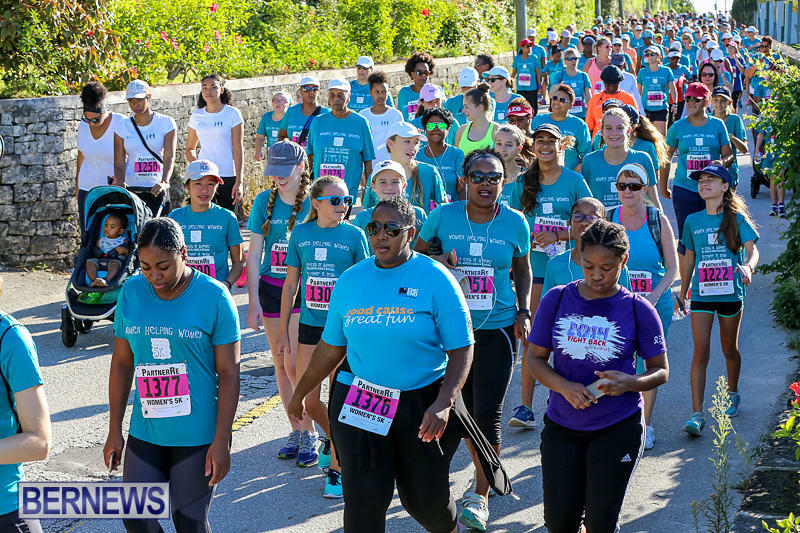 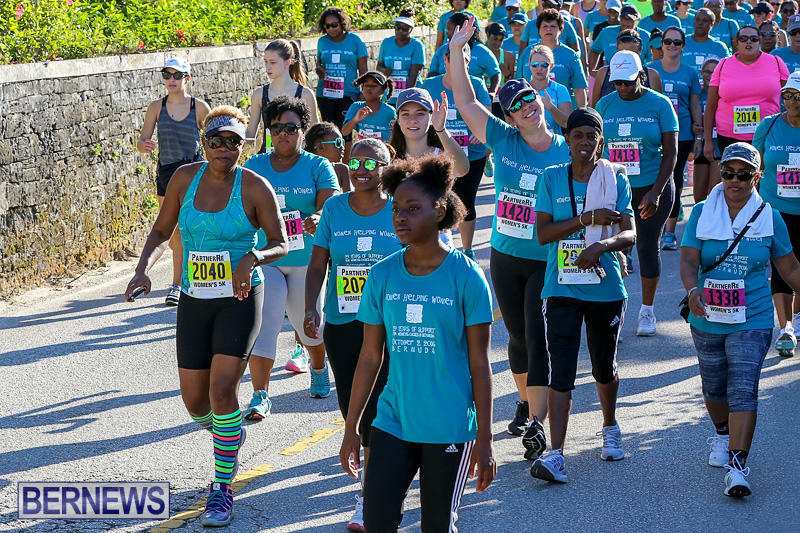 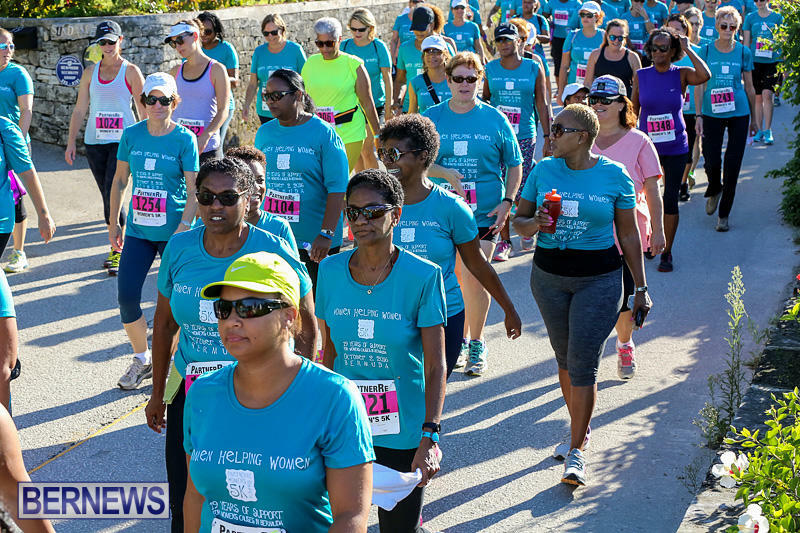 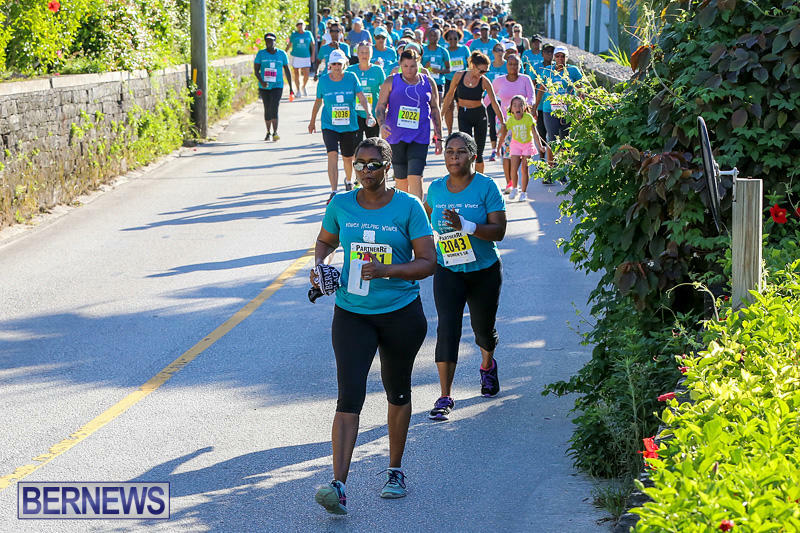 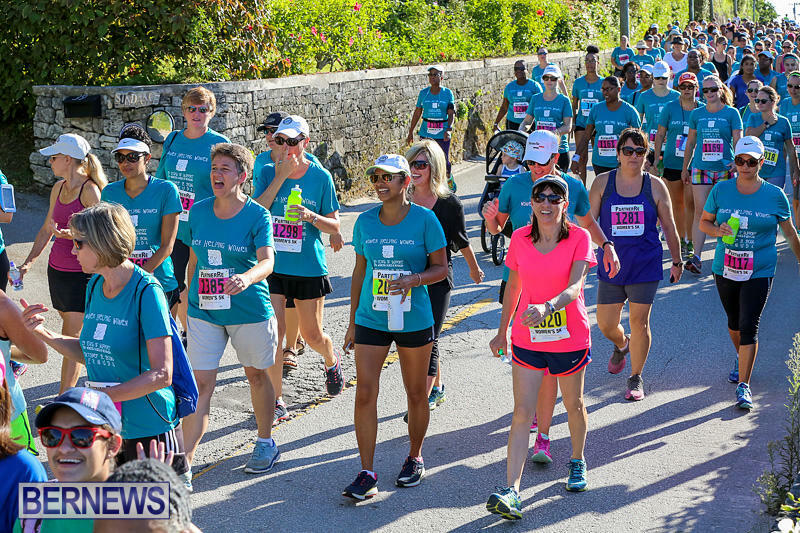 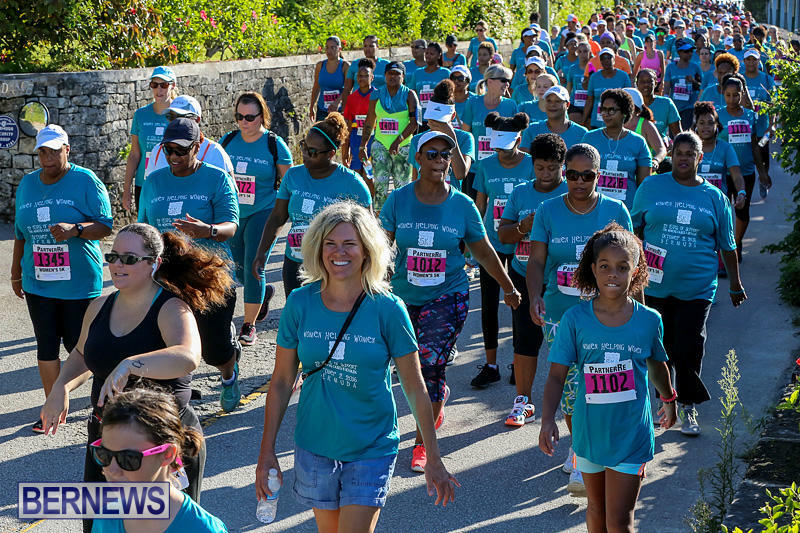 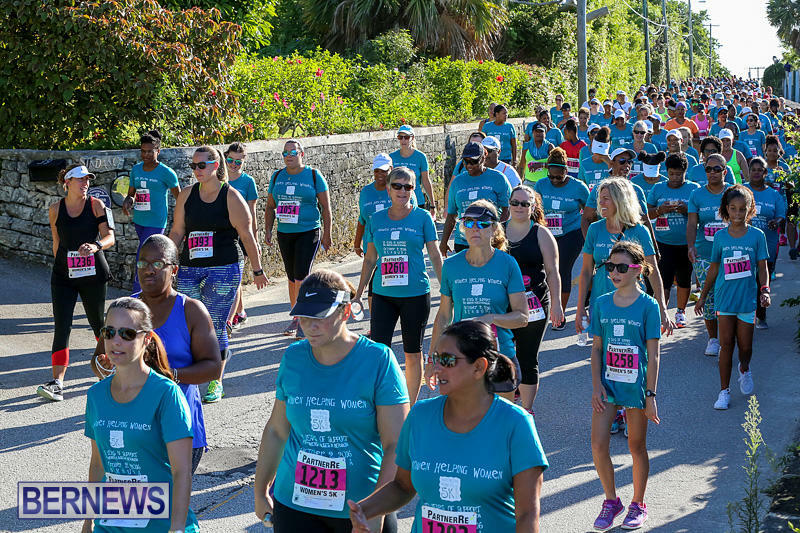 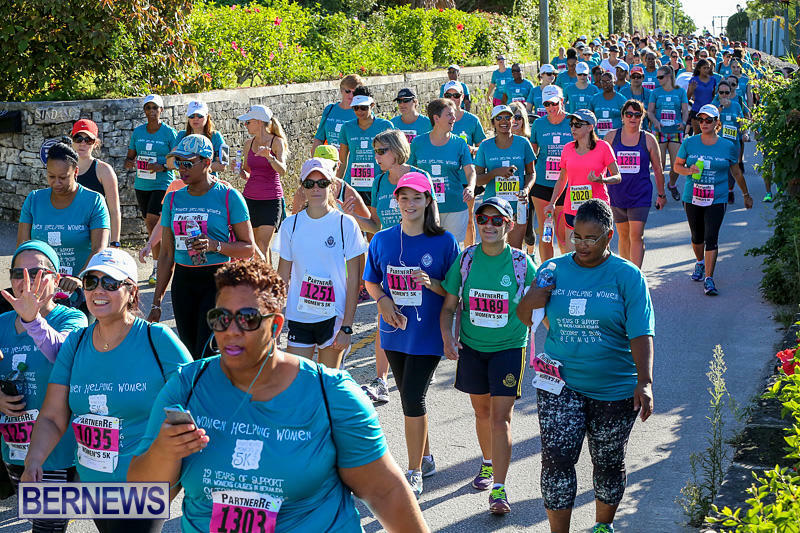 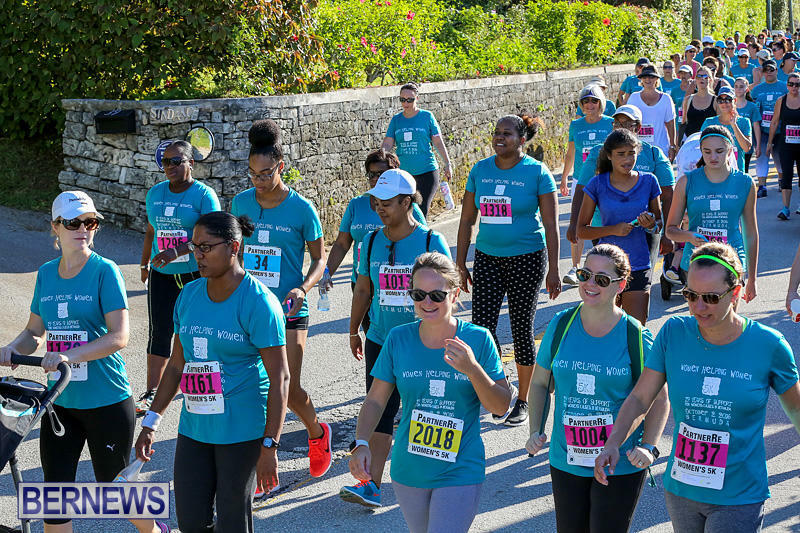 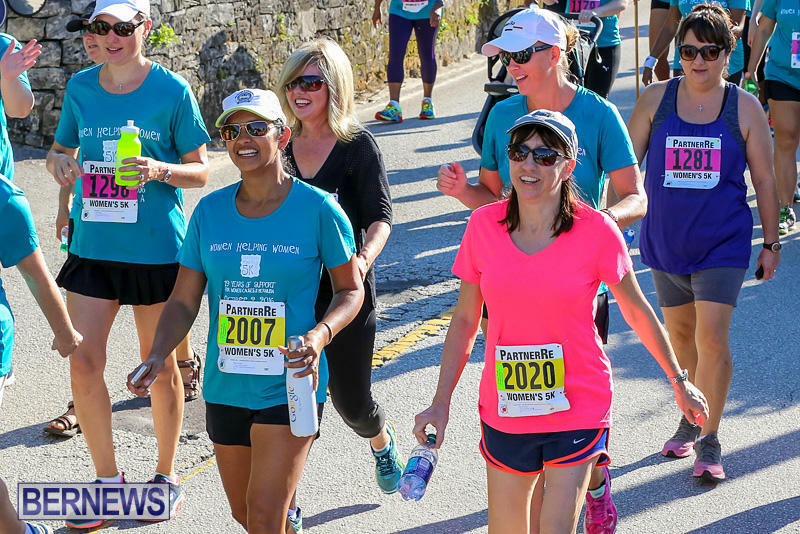 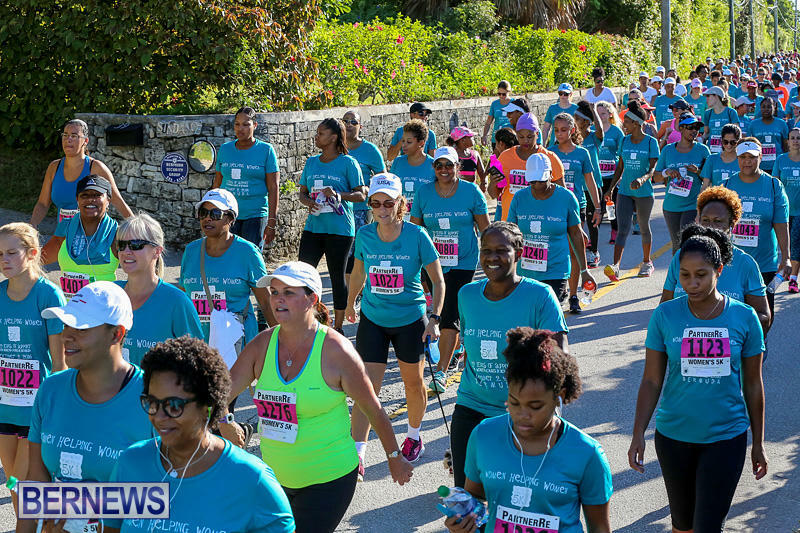 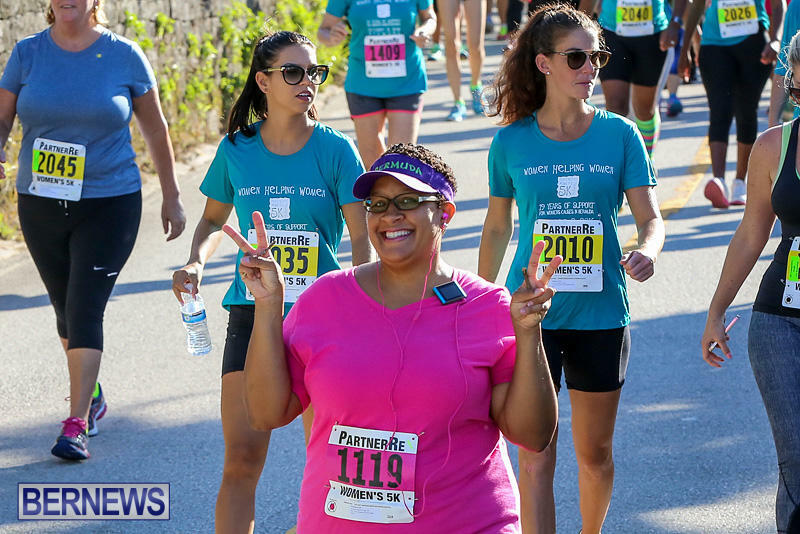 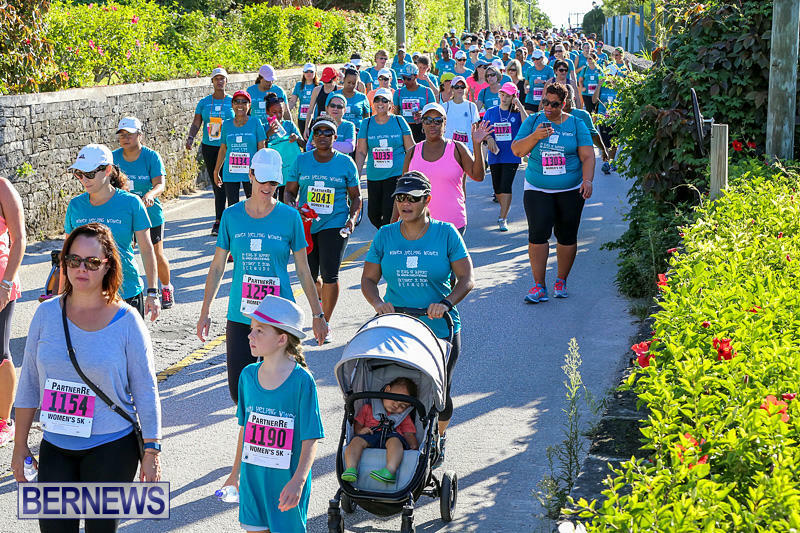 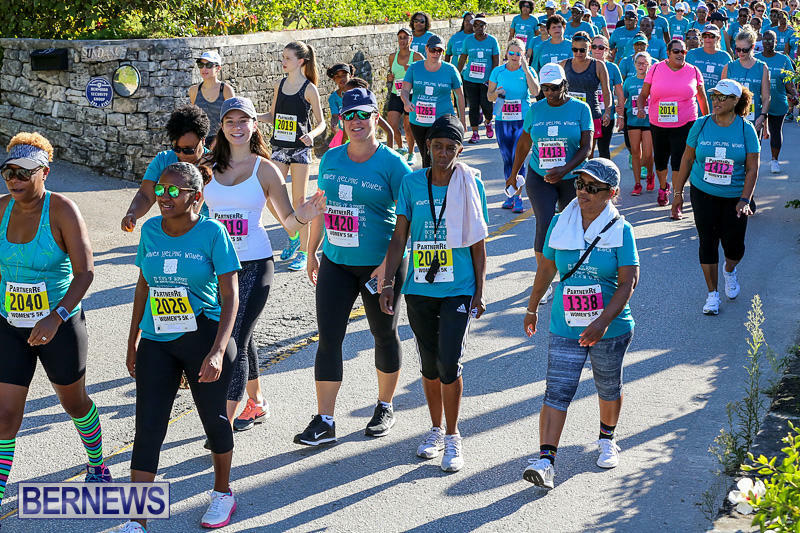 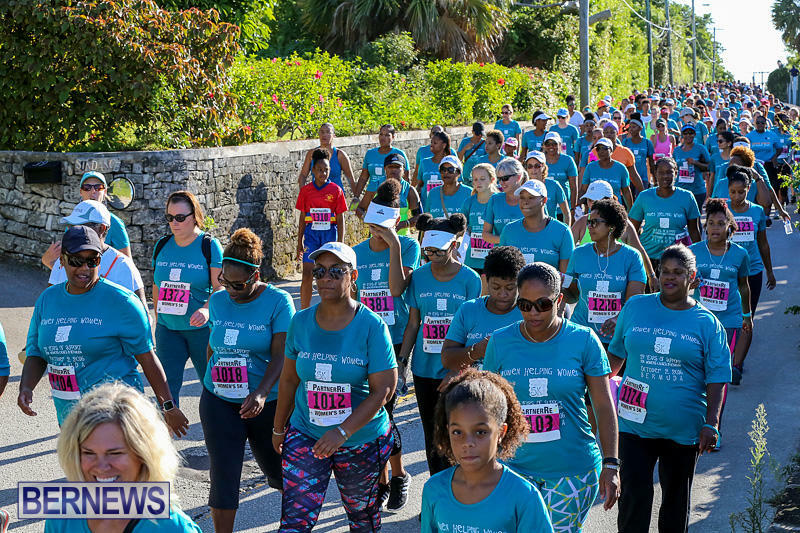 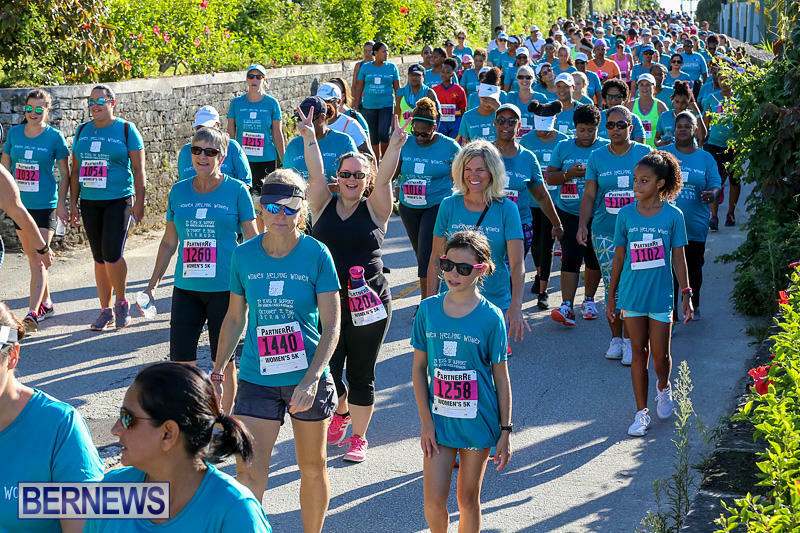 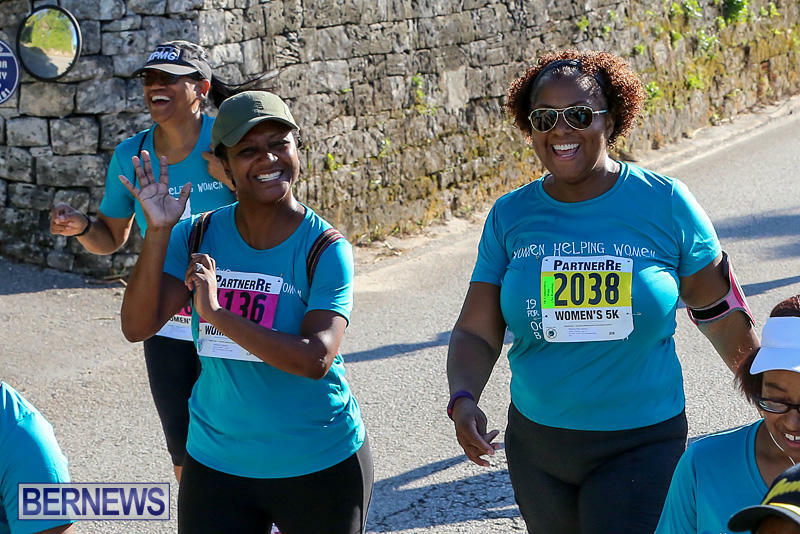 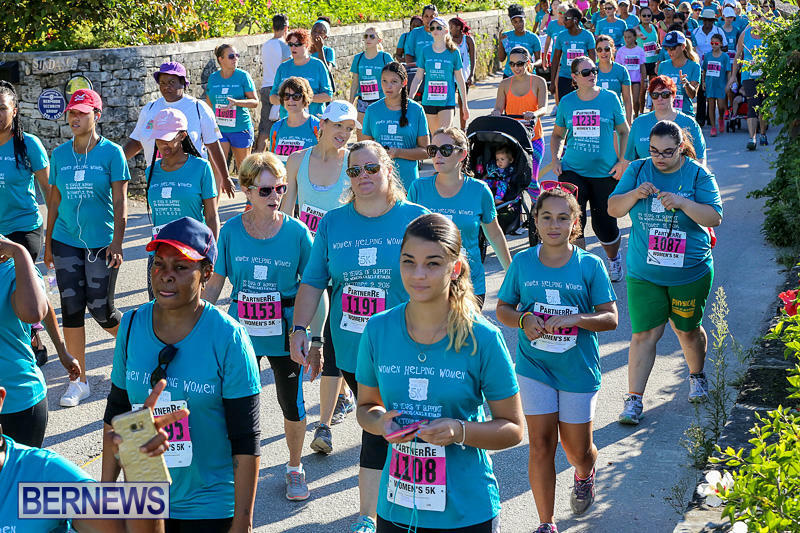 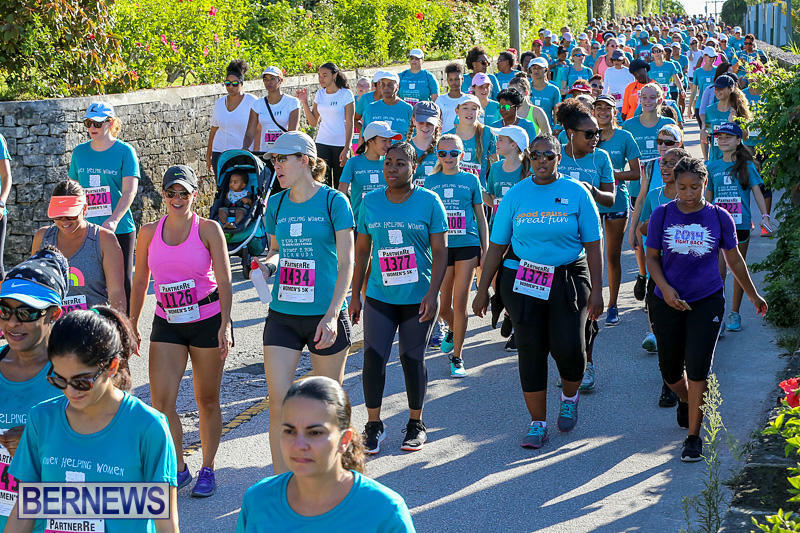 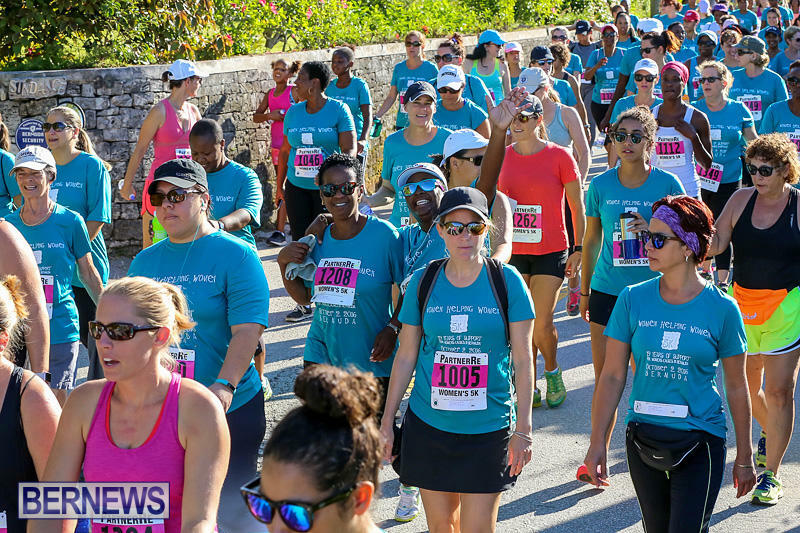 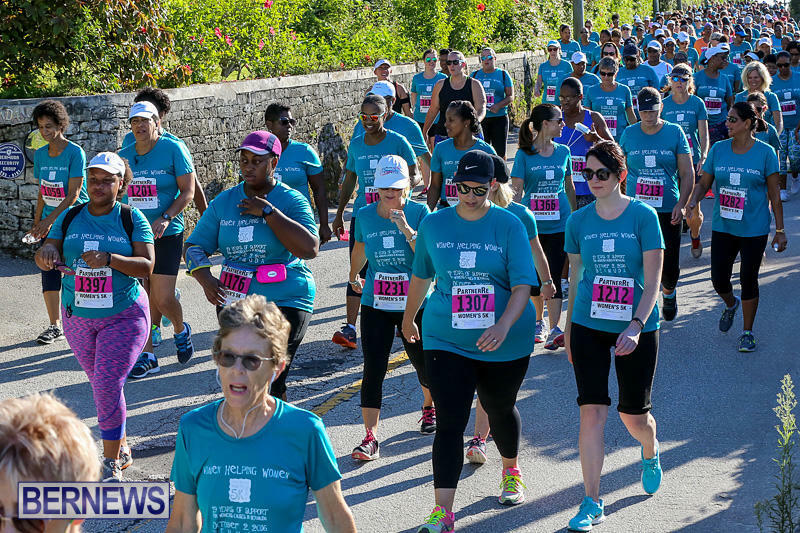 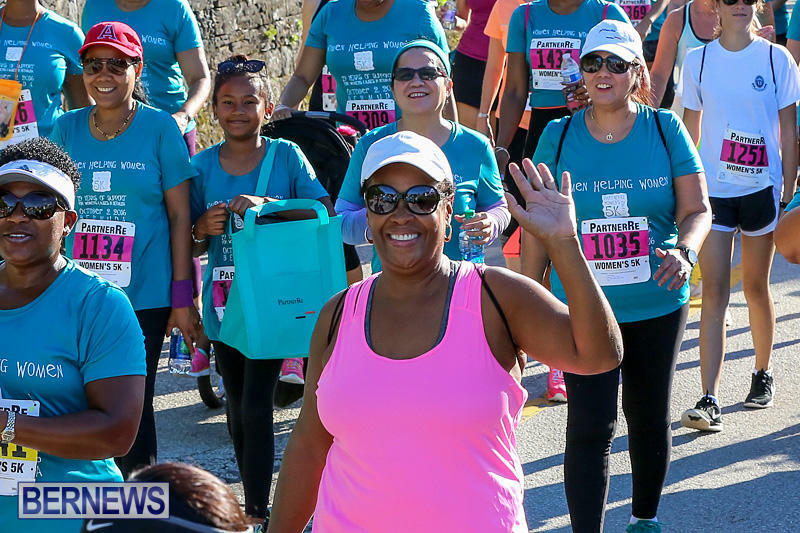 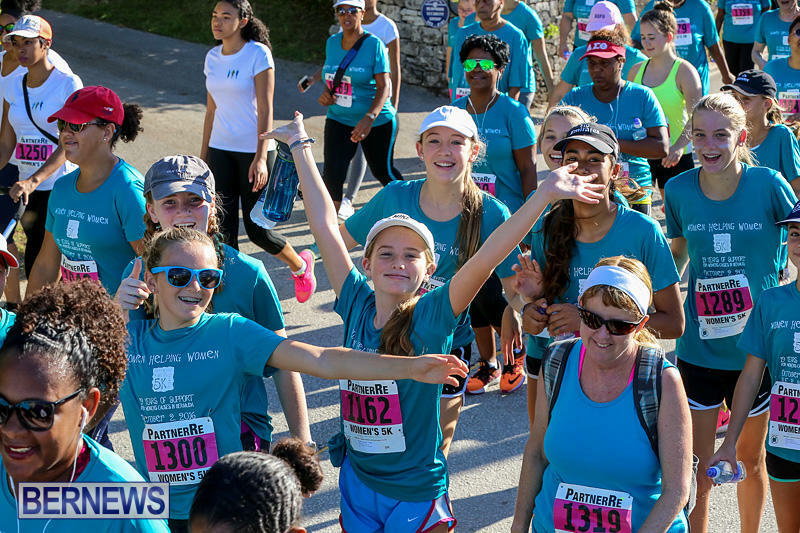 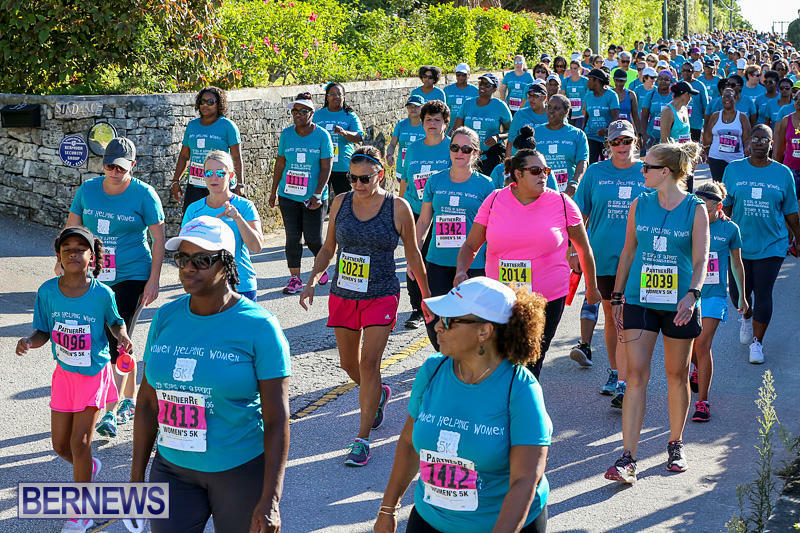 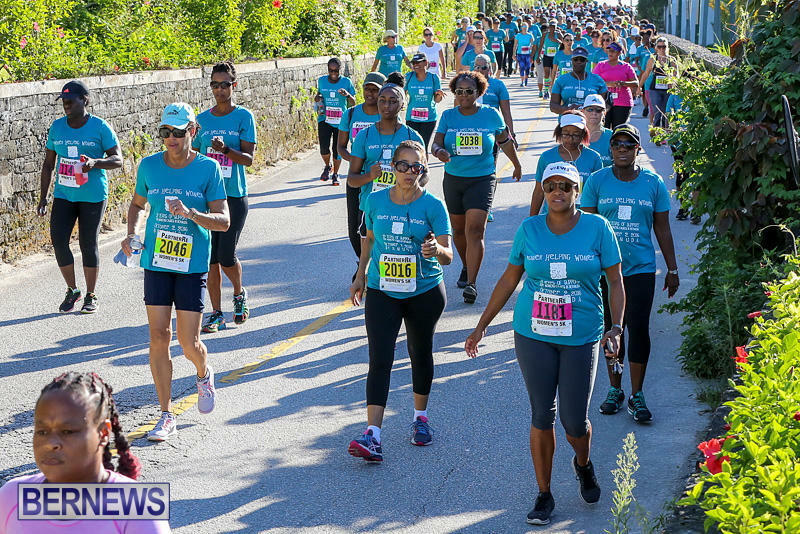 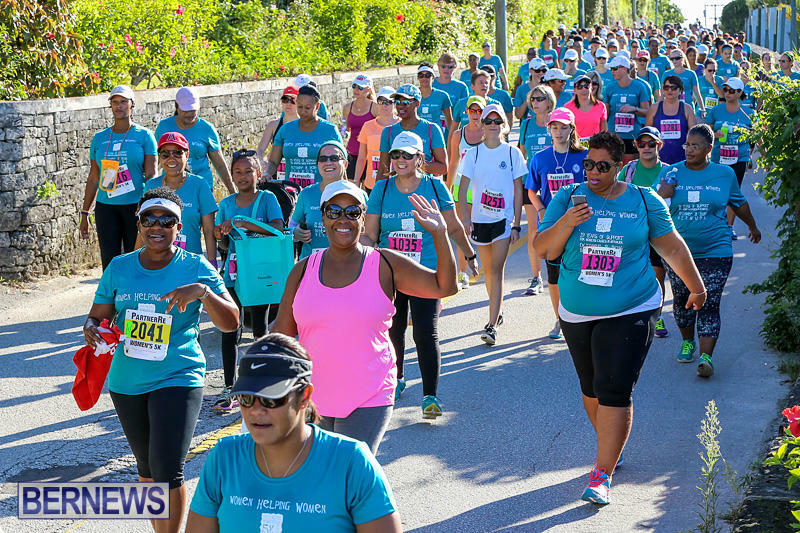 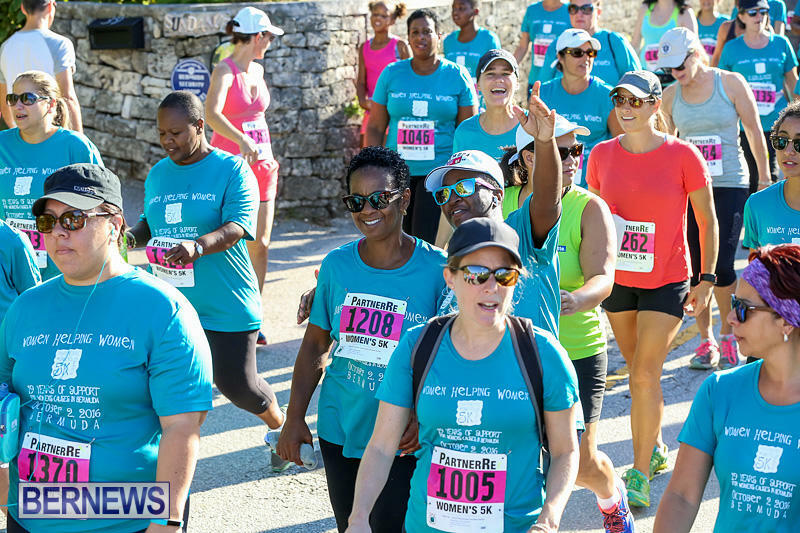 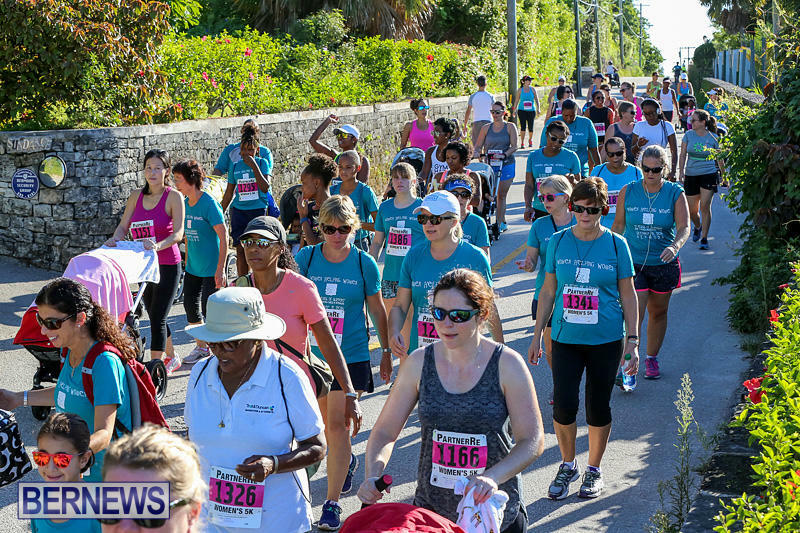 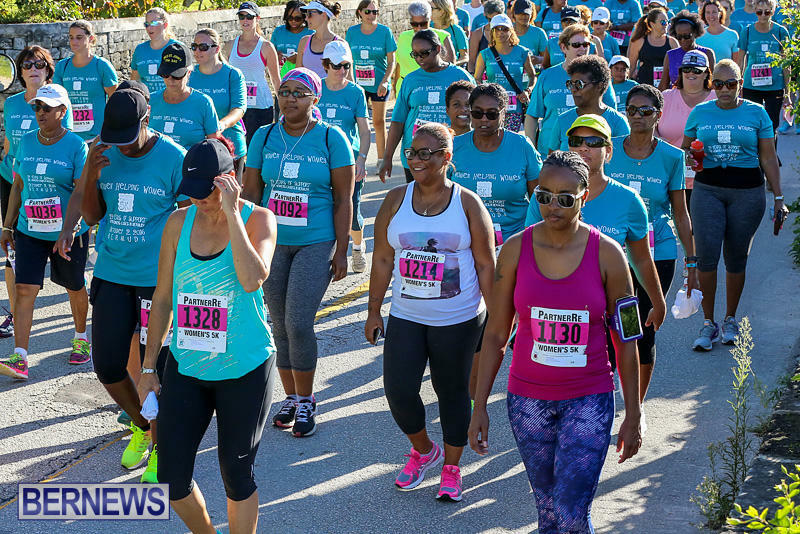 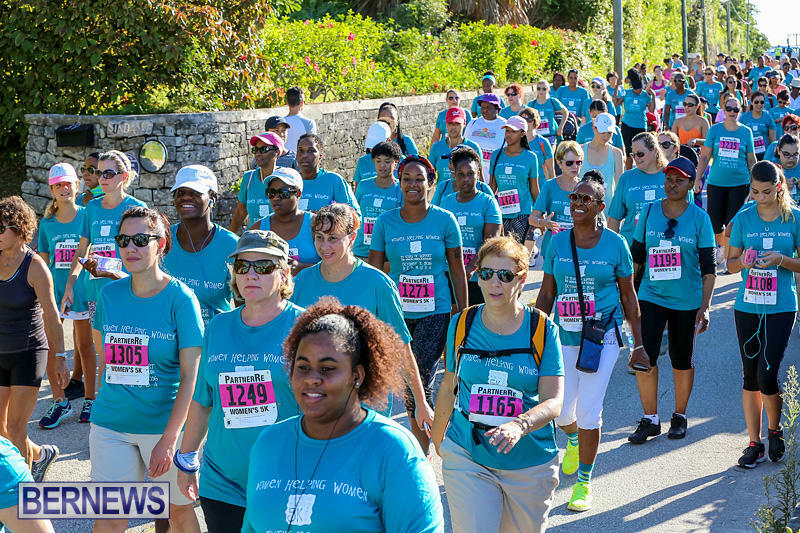 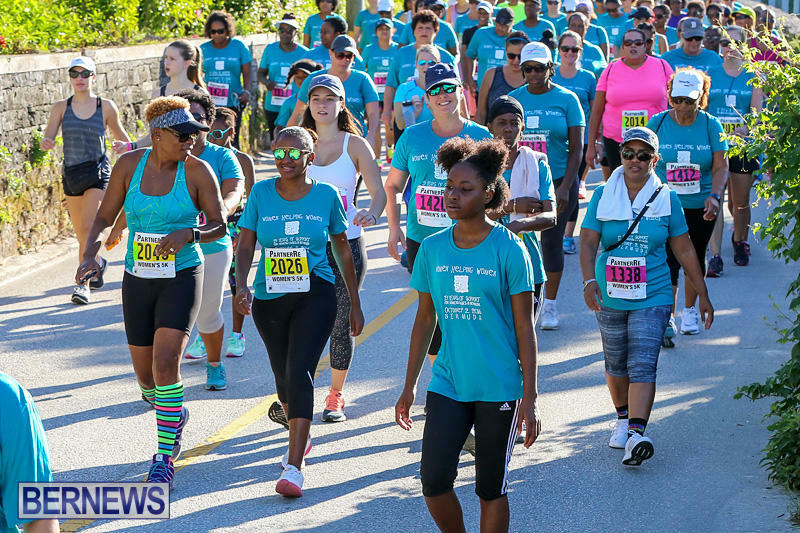 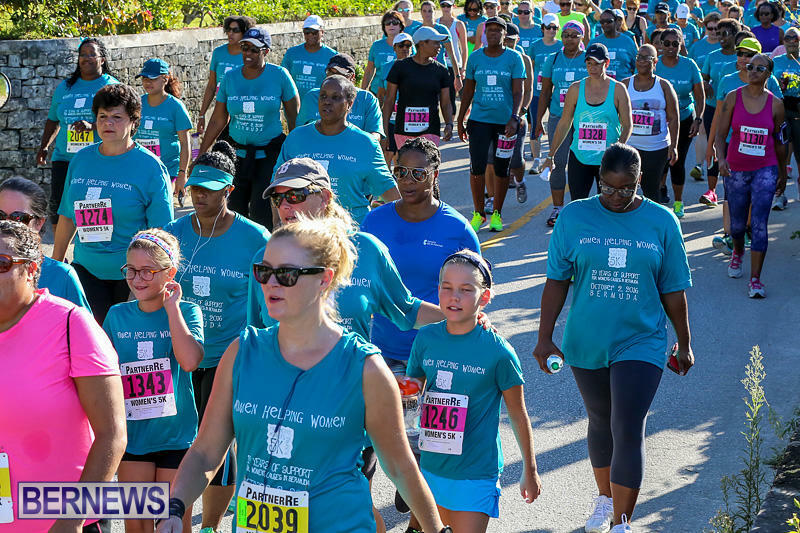 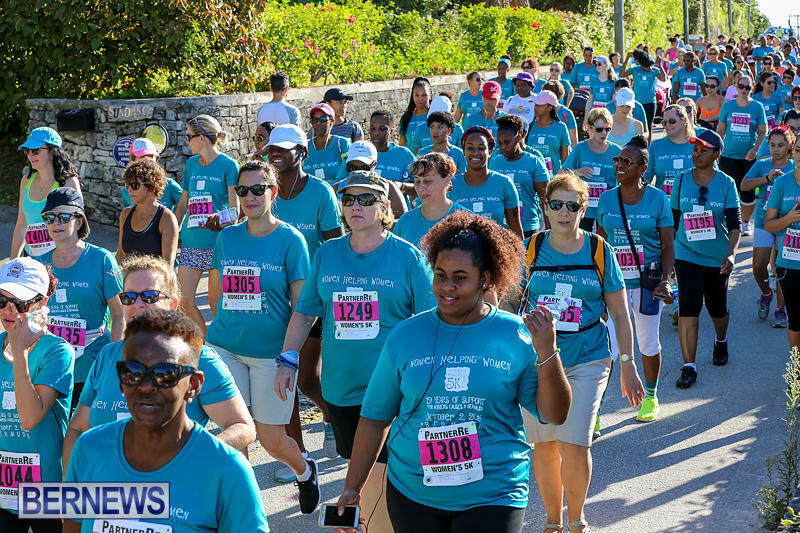 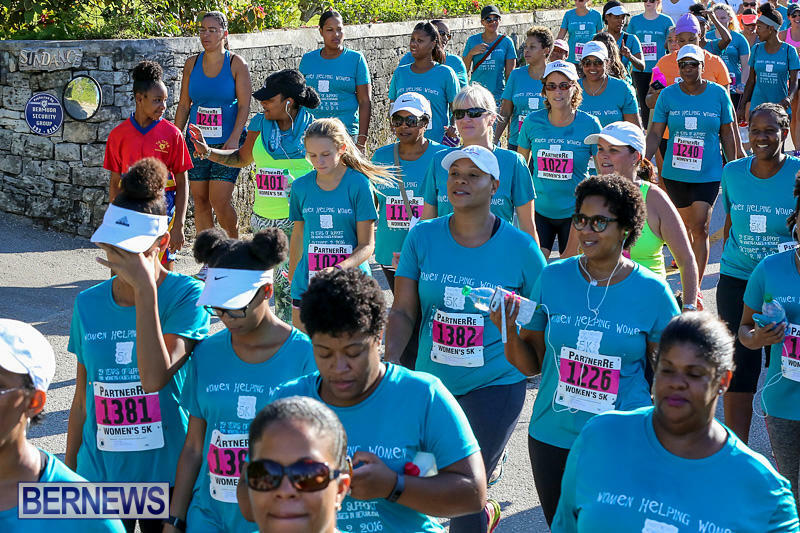 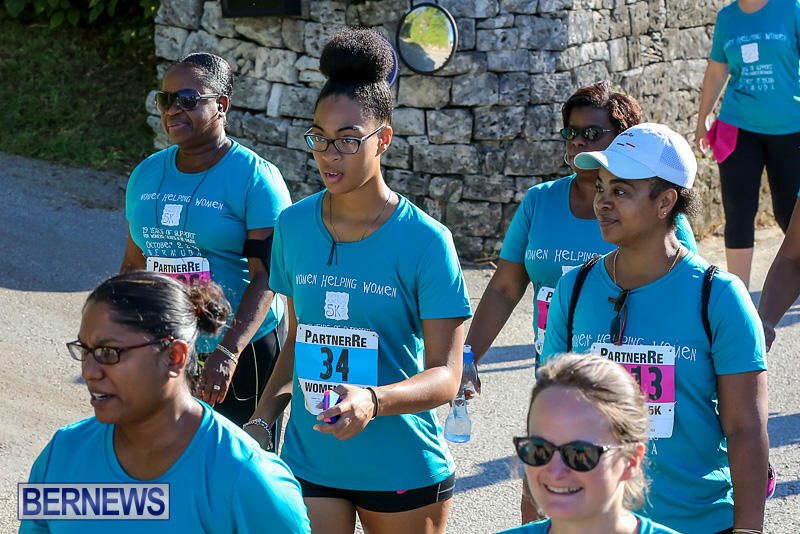 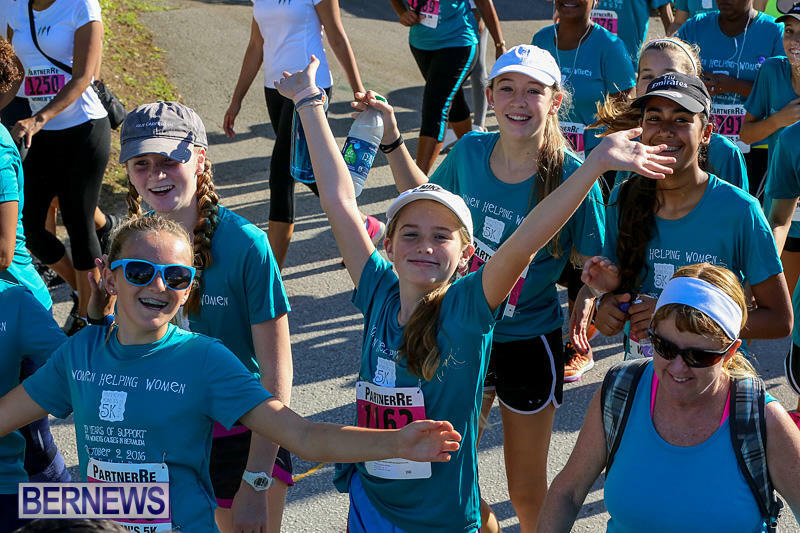 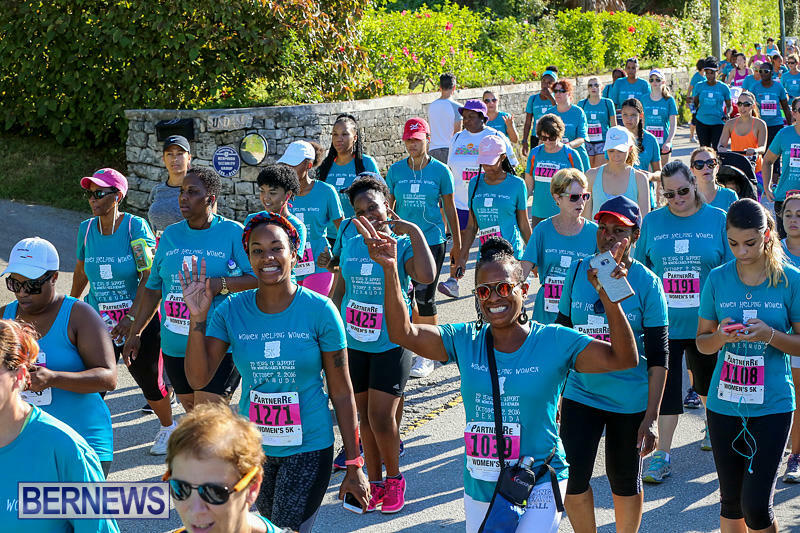 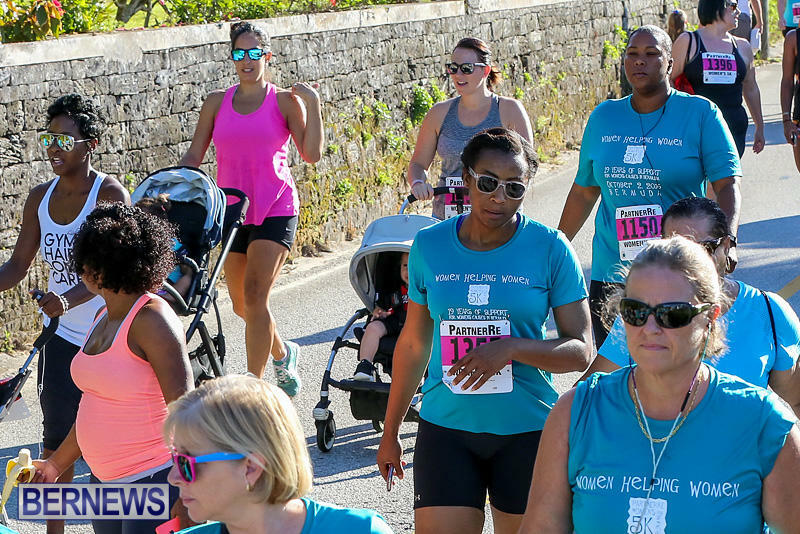 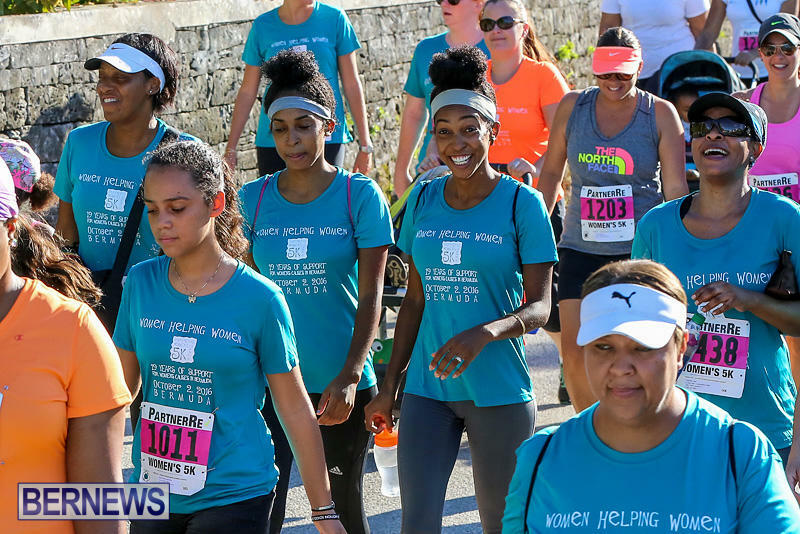 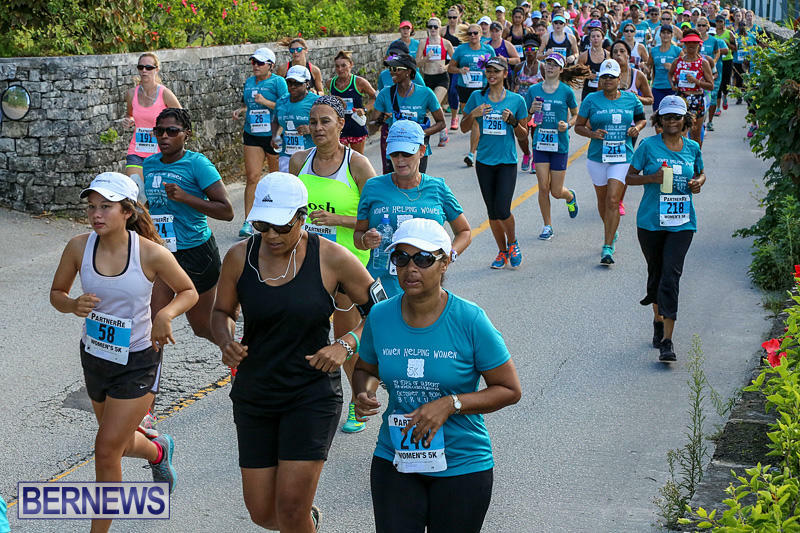 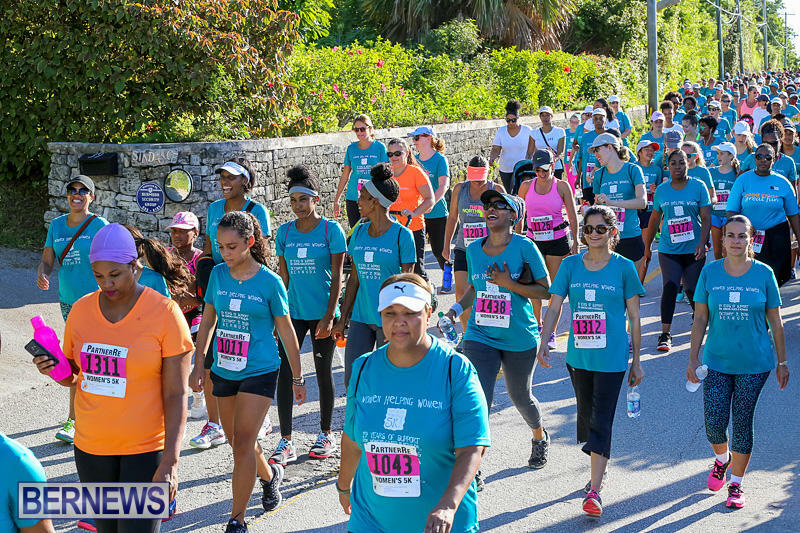 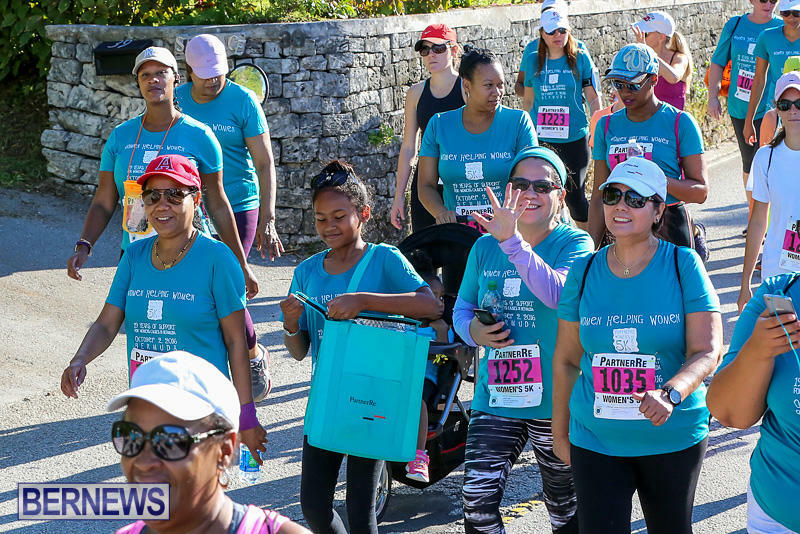 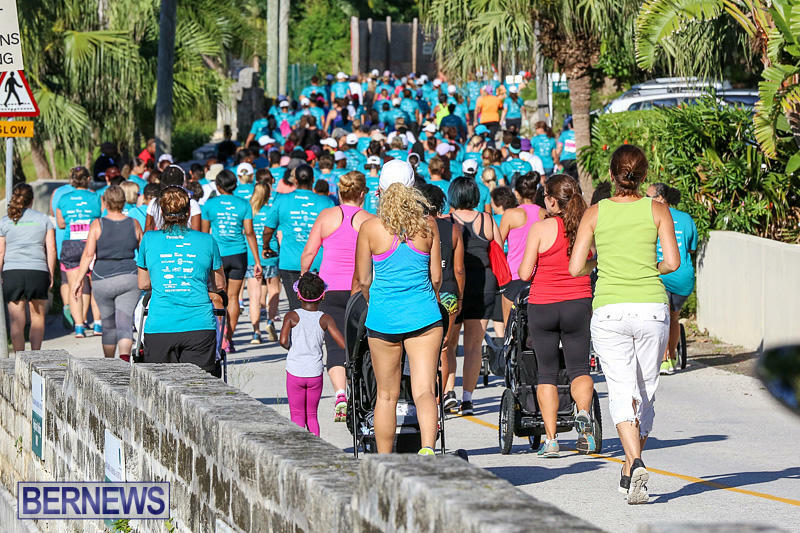 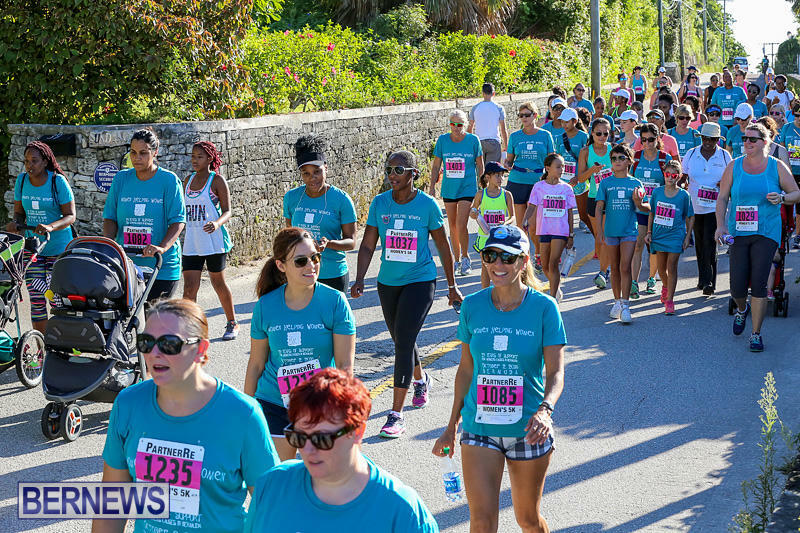 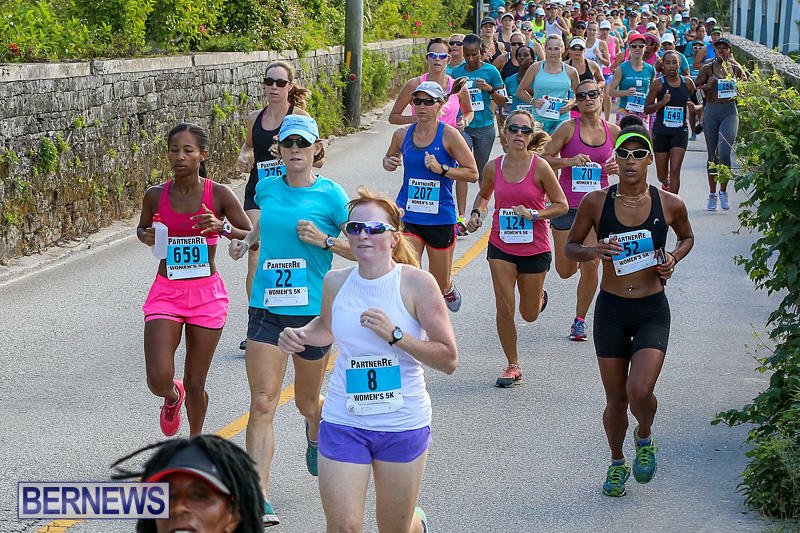 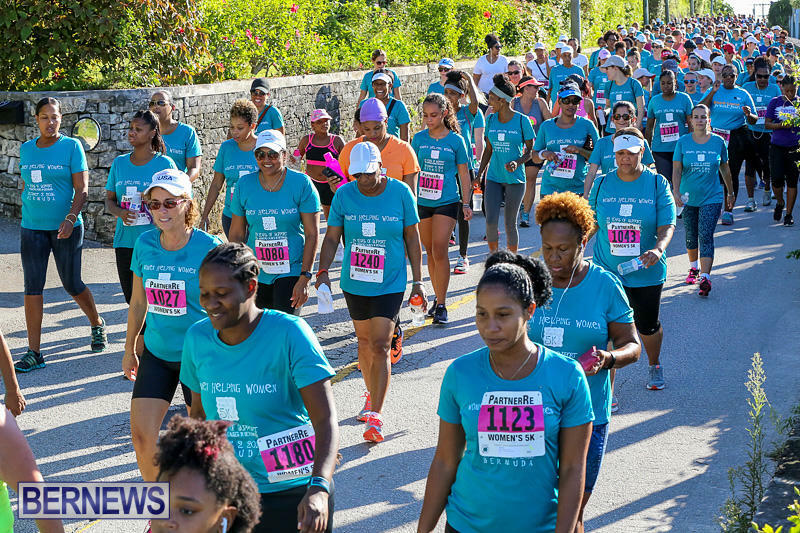 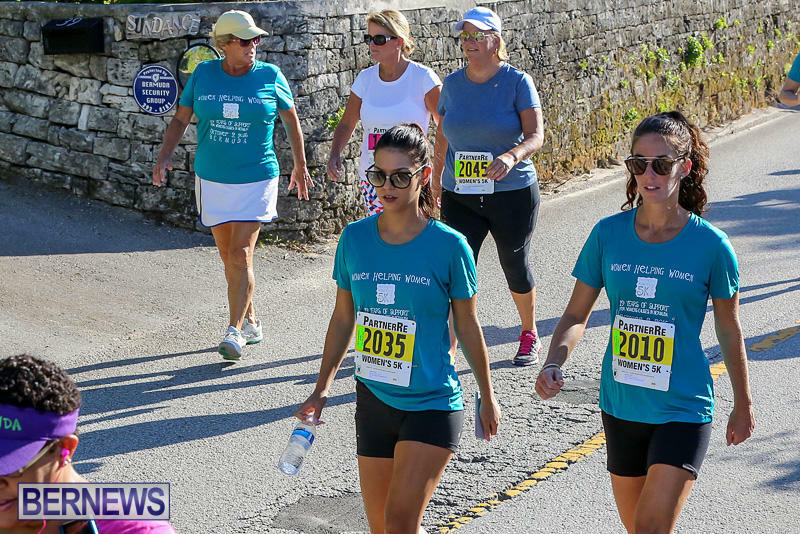 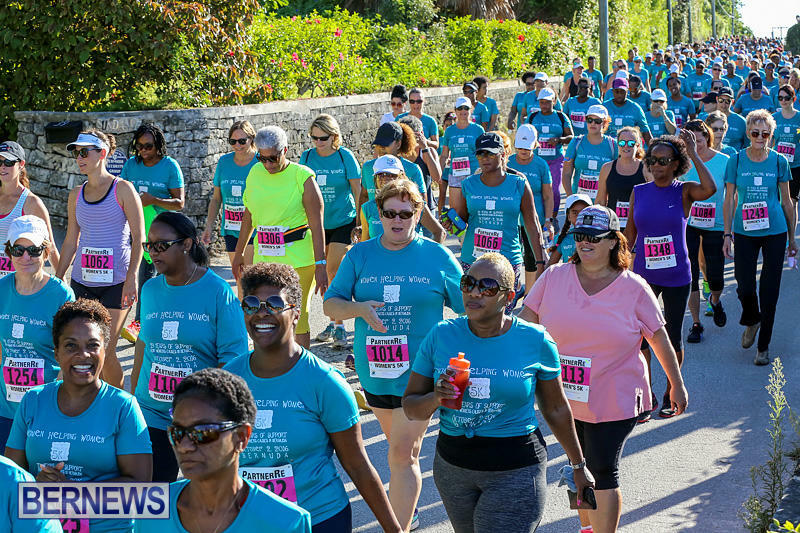 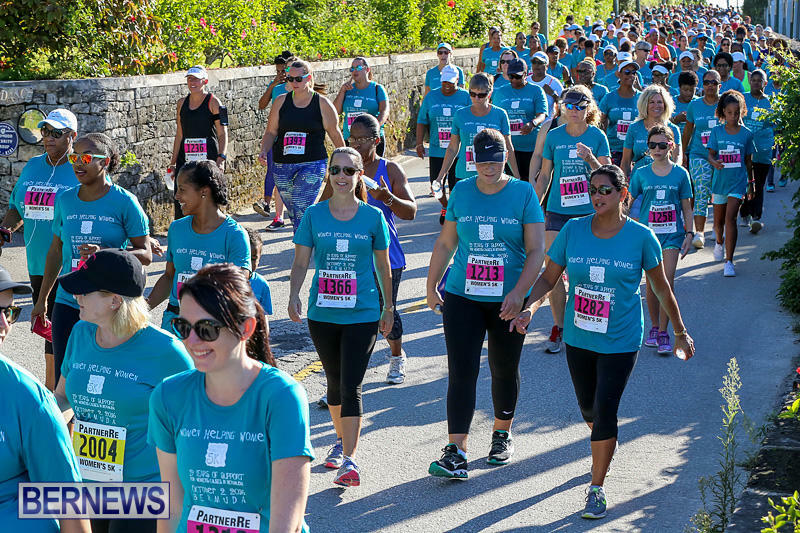 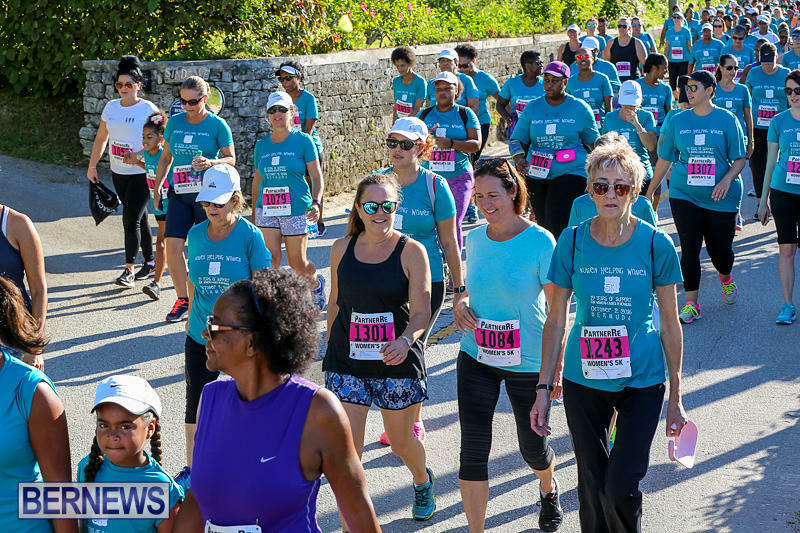 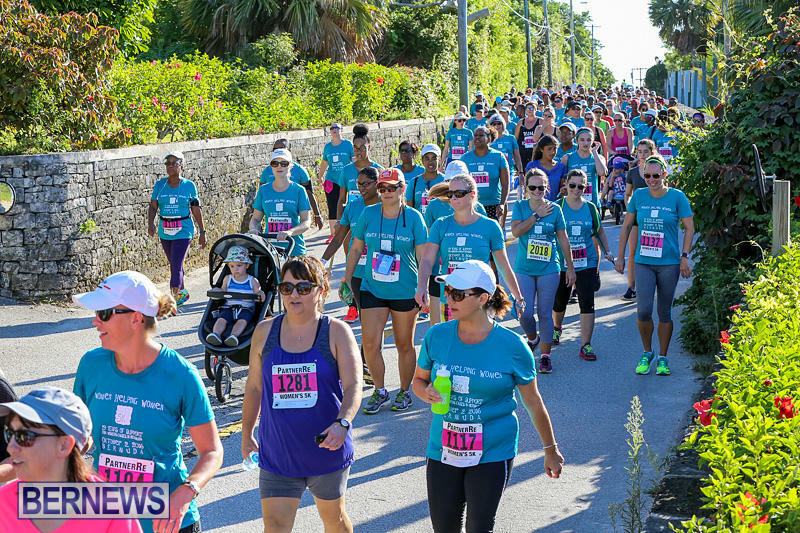 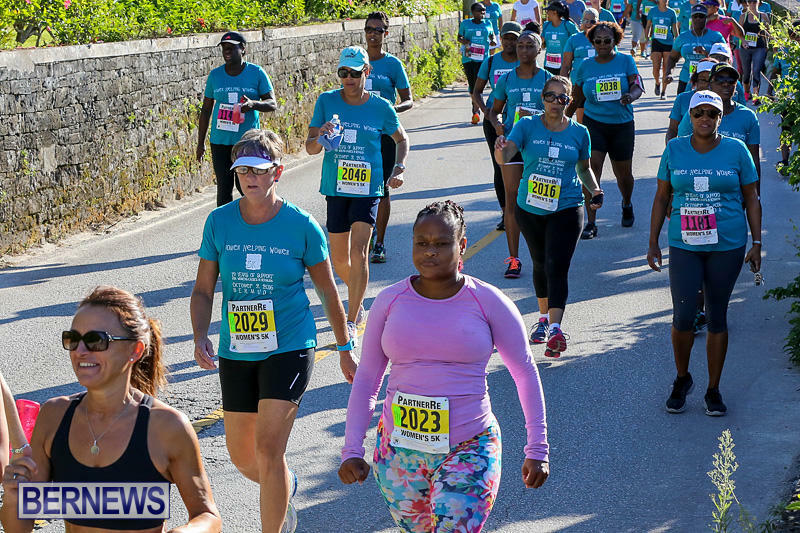 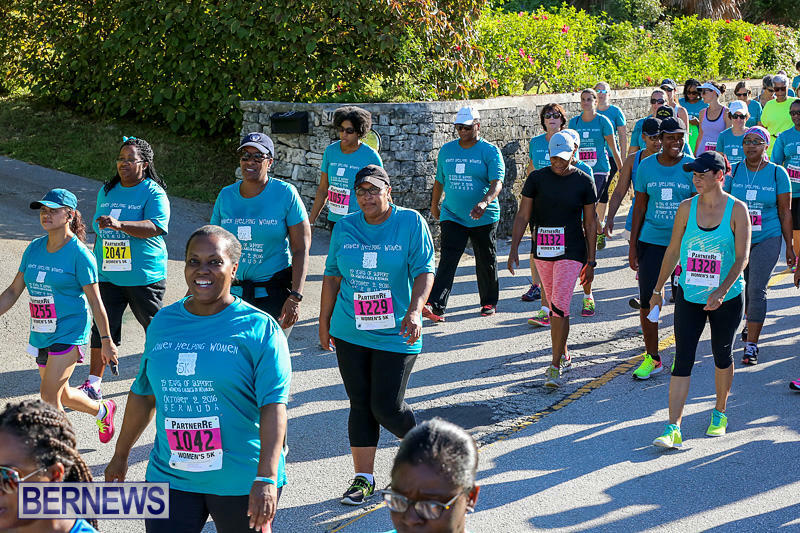 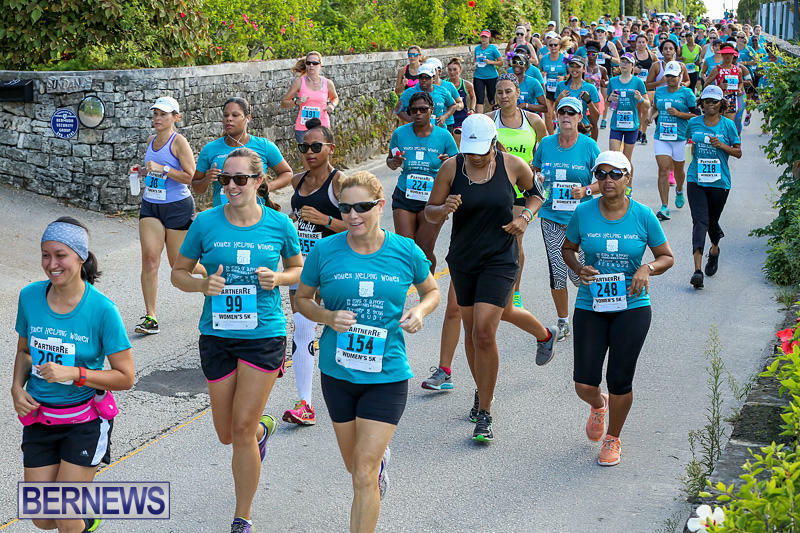 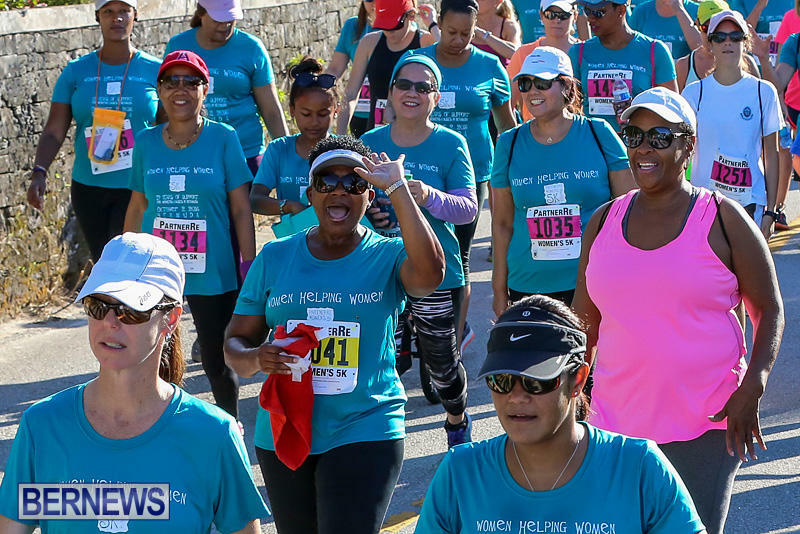 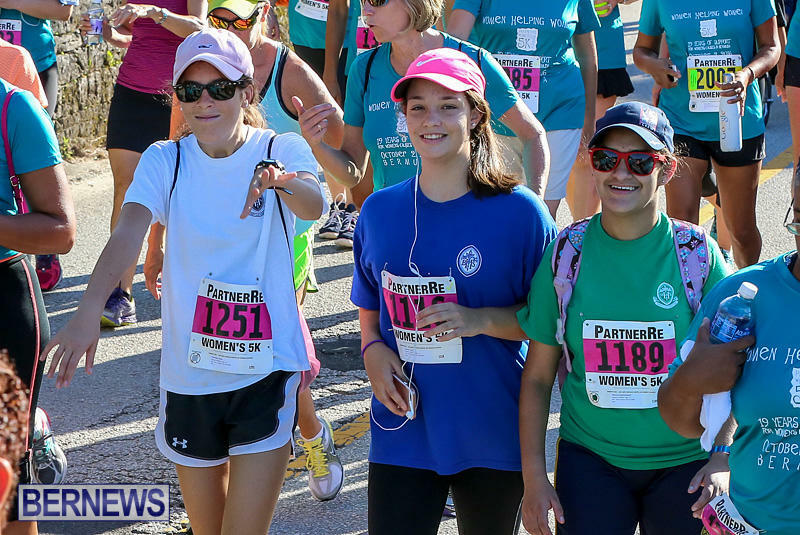 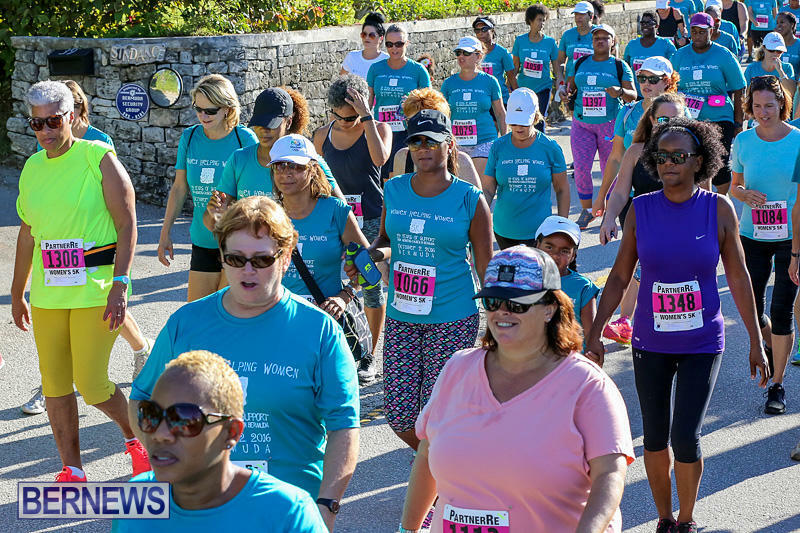 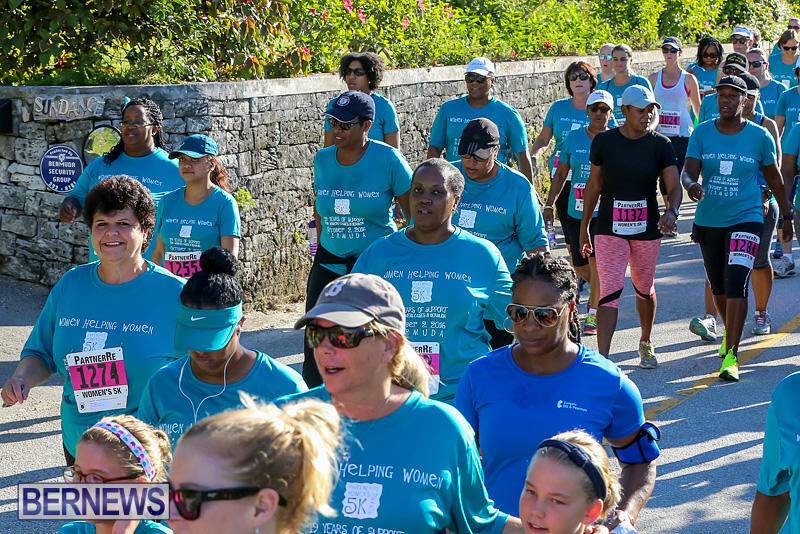 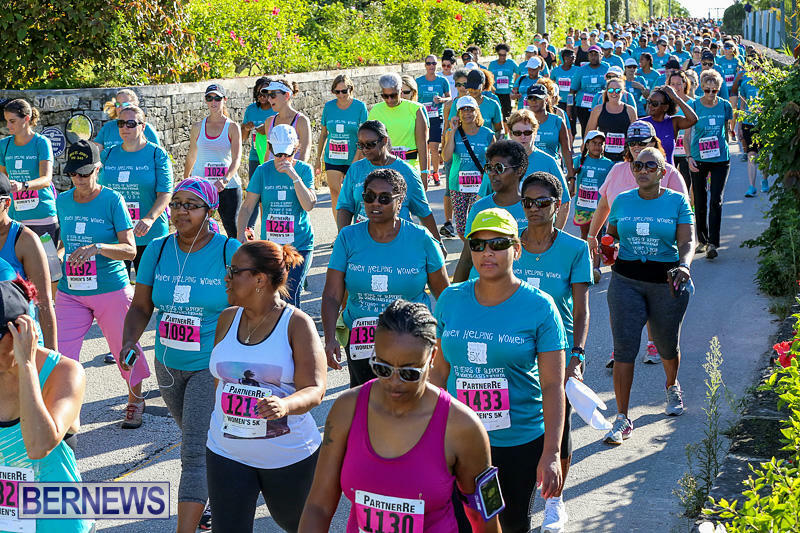 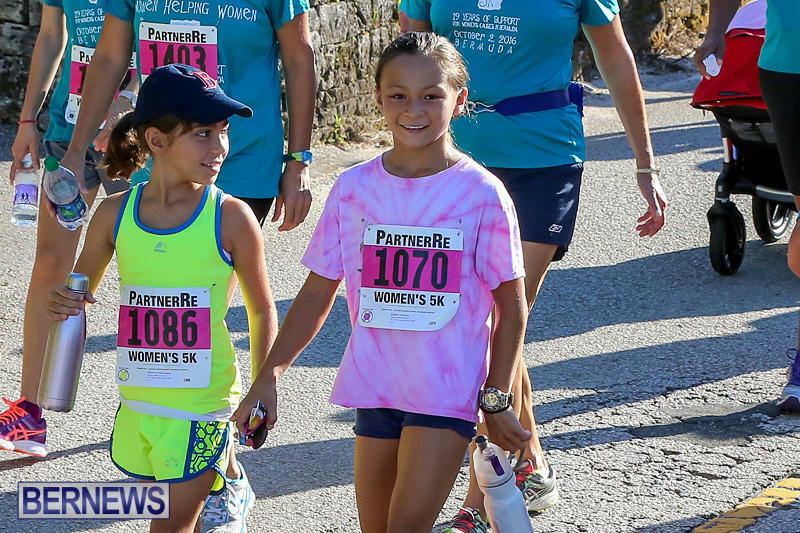 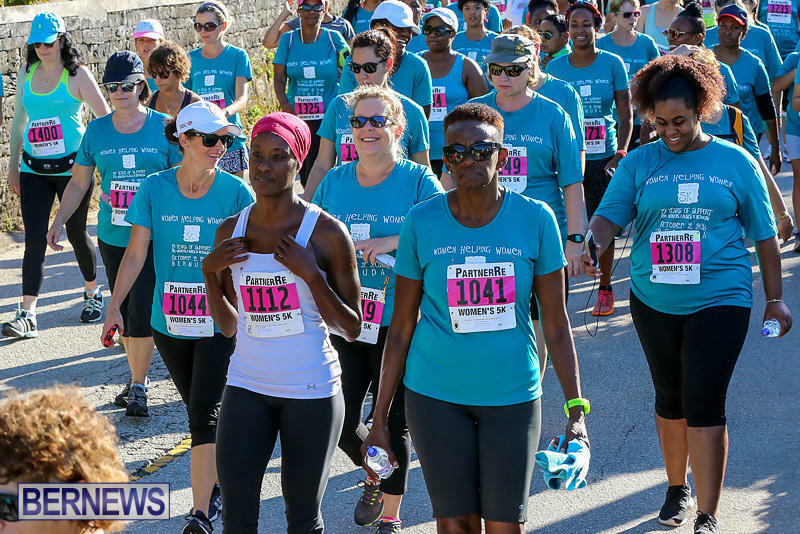 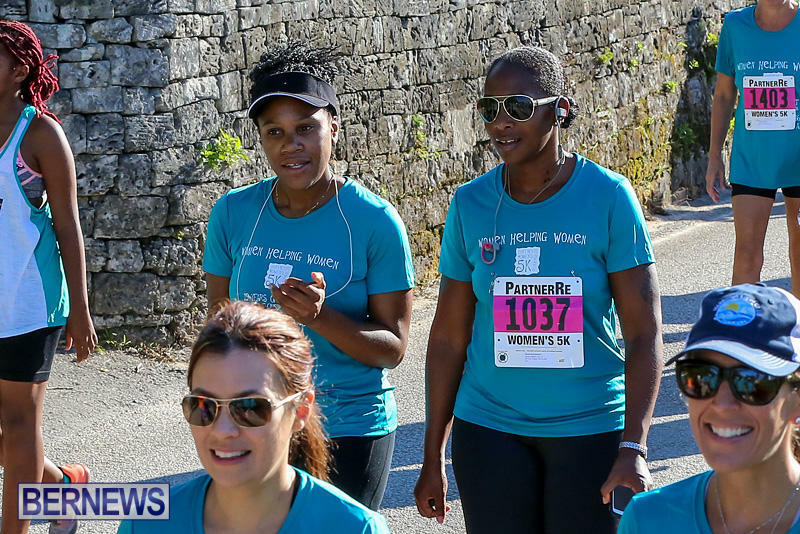 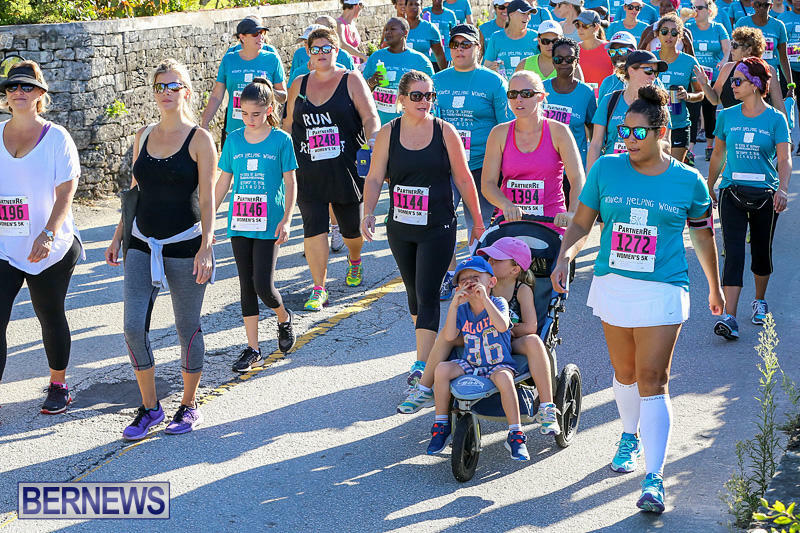 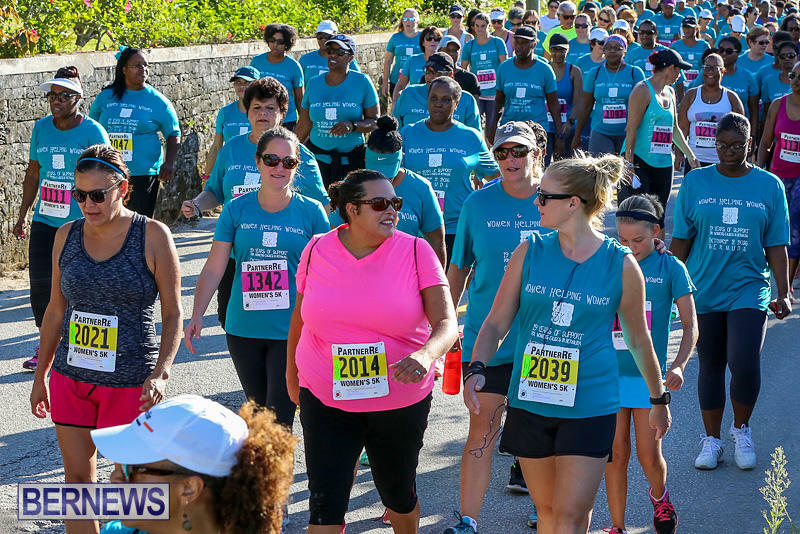 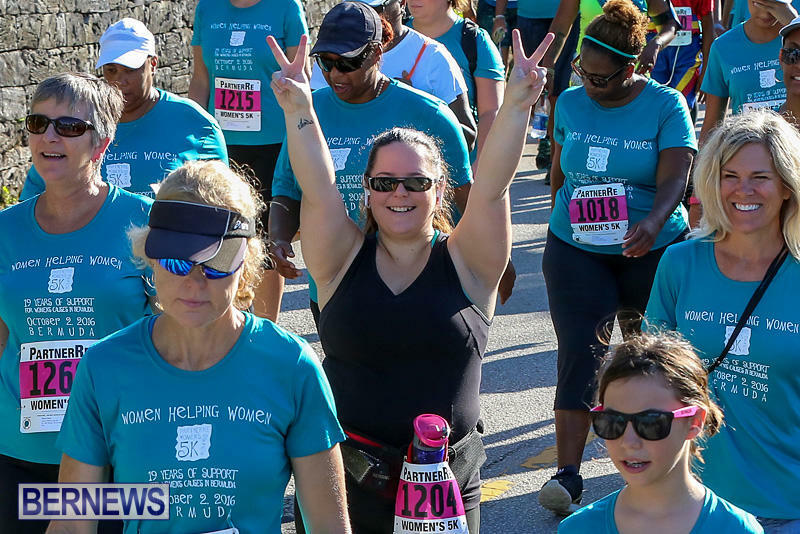 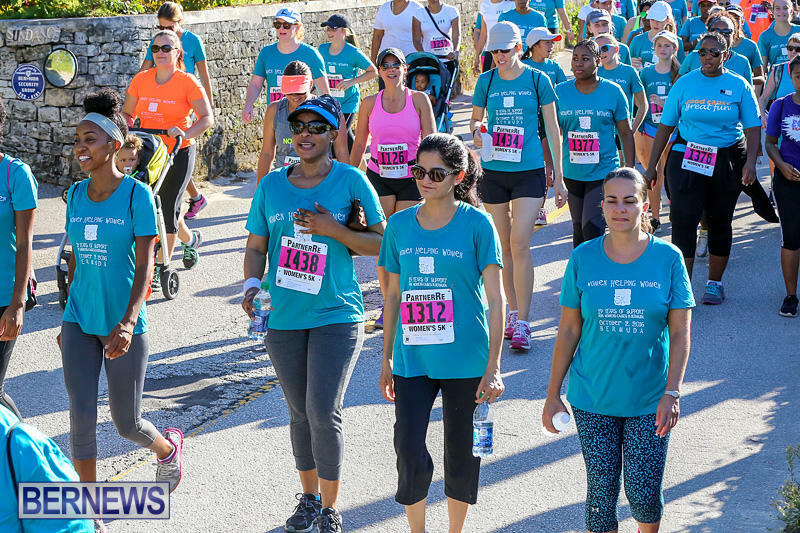 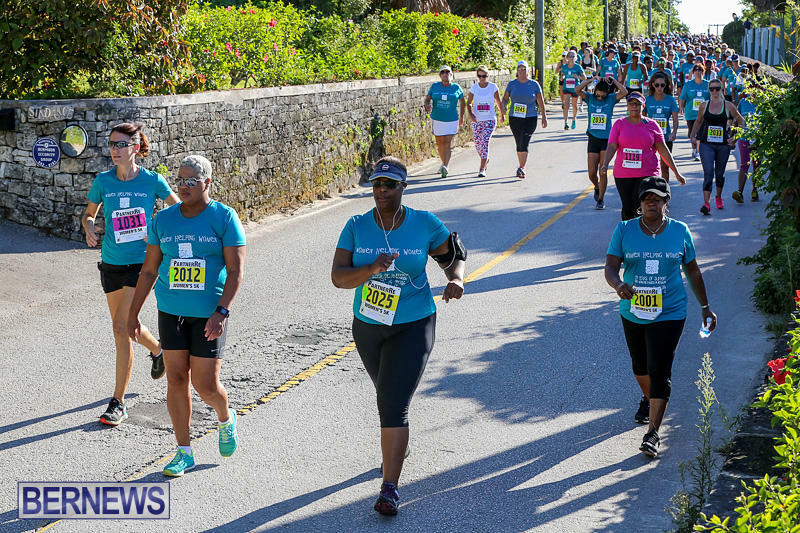 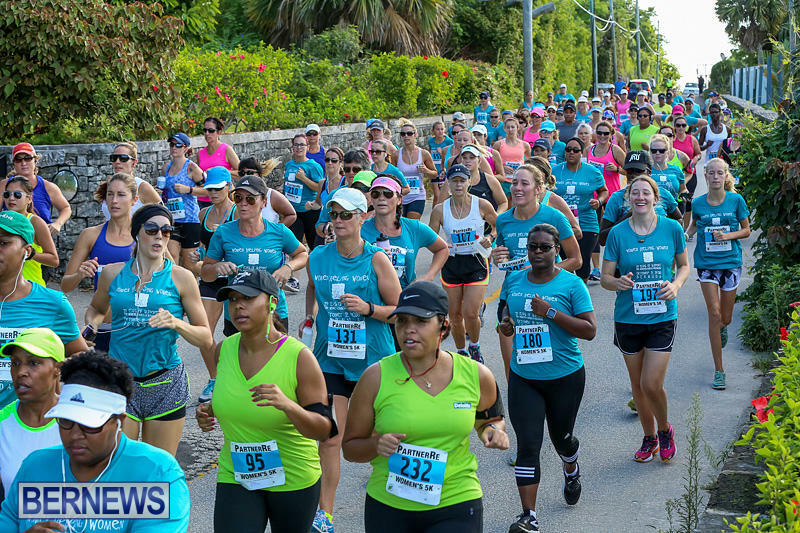 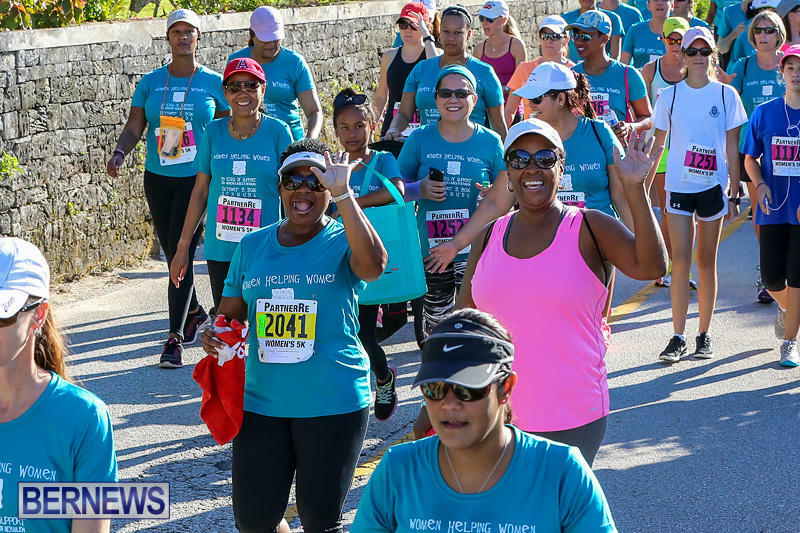 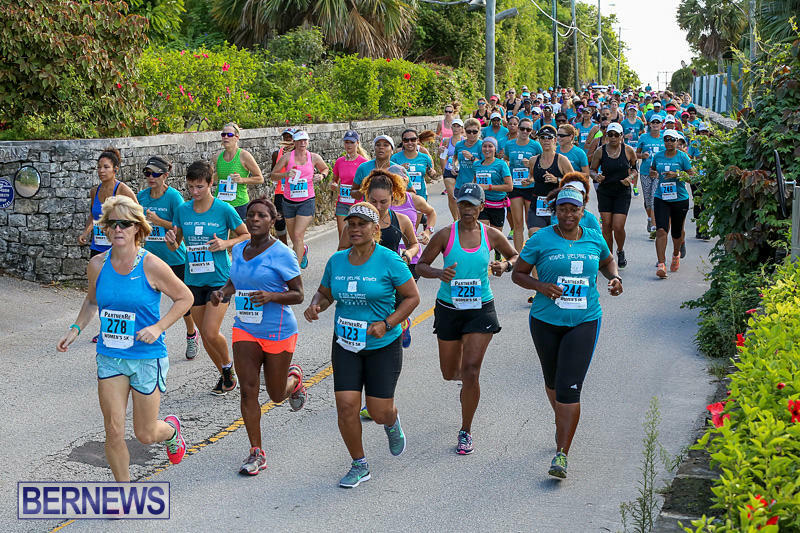 Now in its 19th year, the PartnerRe Women’s 5K Run & Walk is presented by Mid-Atlantic Athletic Club, sponsored by PartnerRe Ltd, and sanctioned by the Bermuda National Athletics Association. 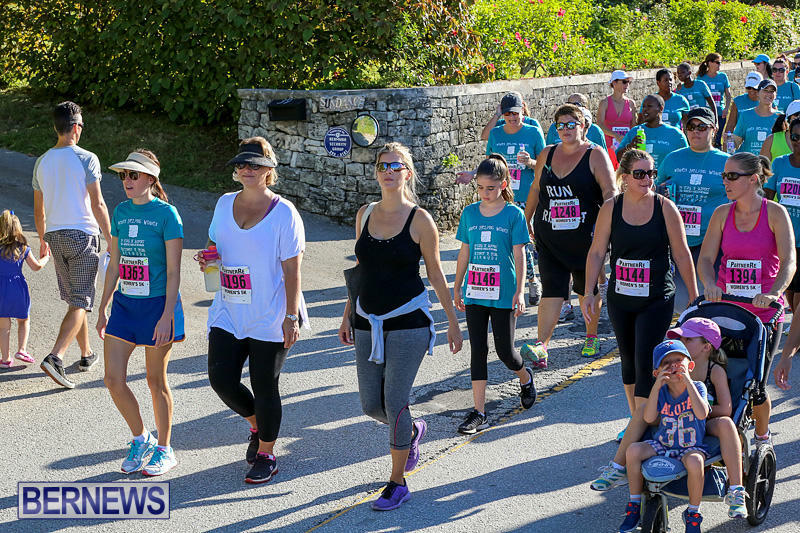 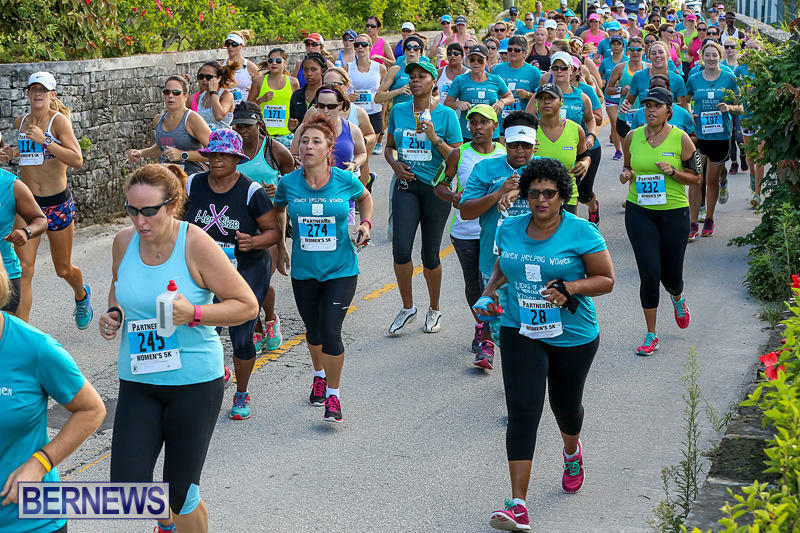 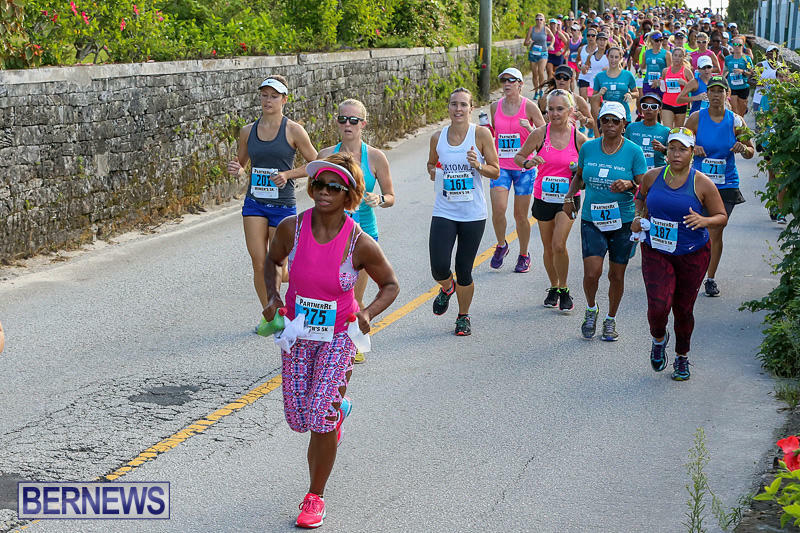 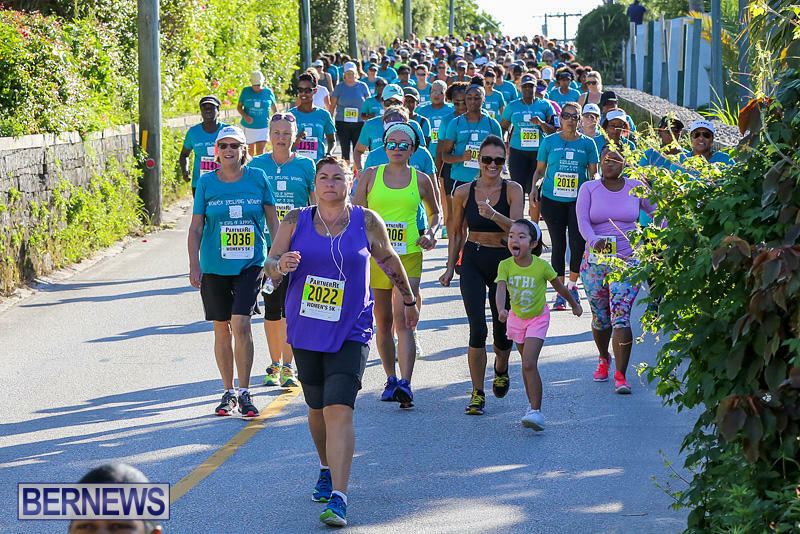 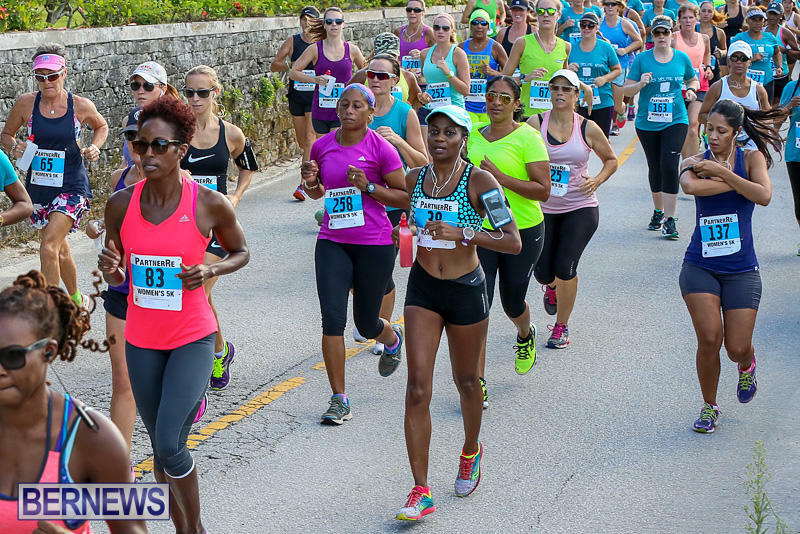 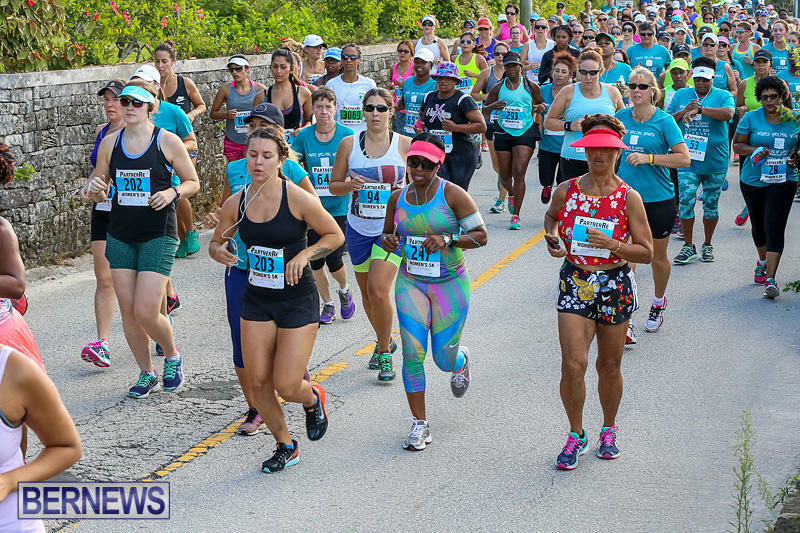 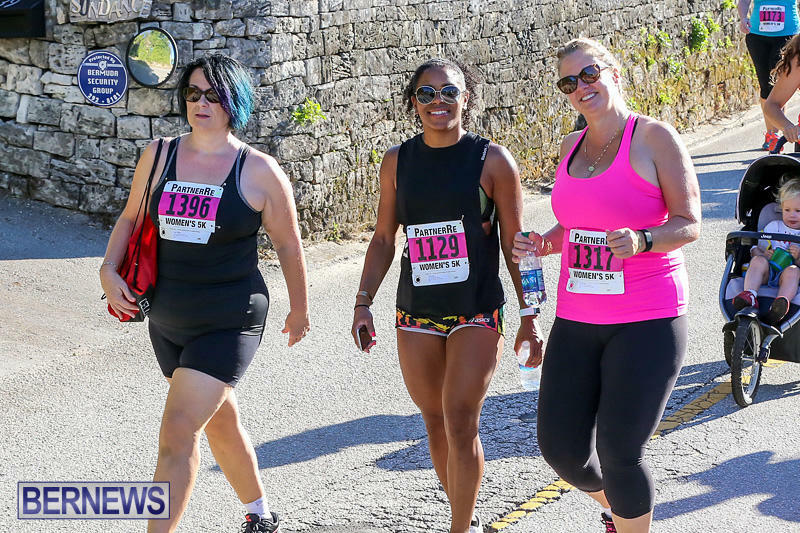 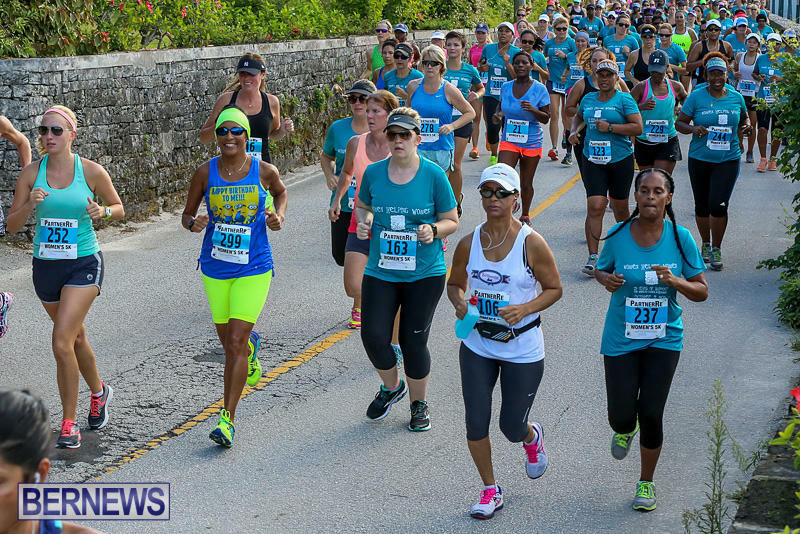 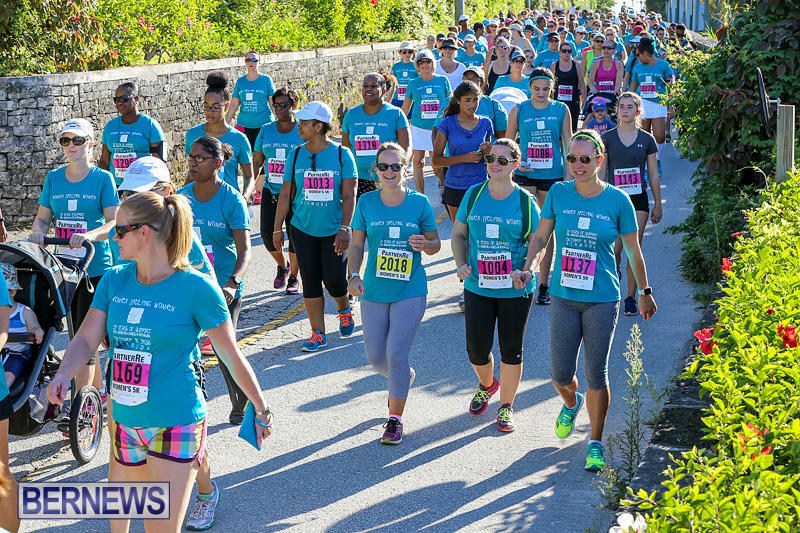 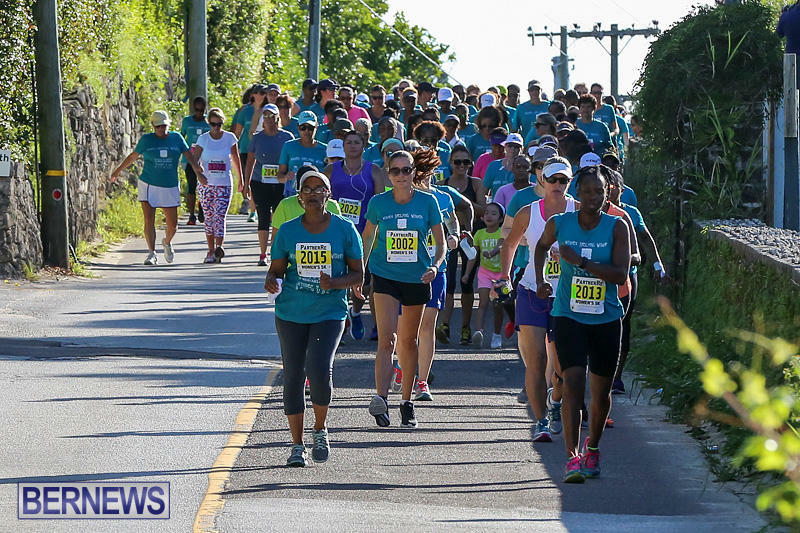 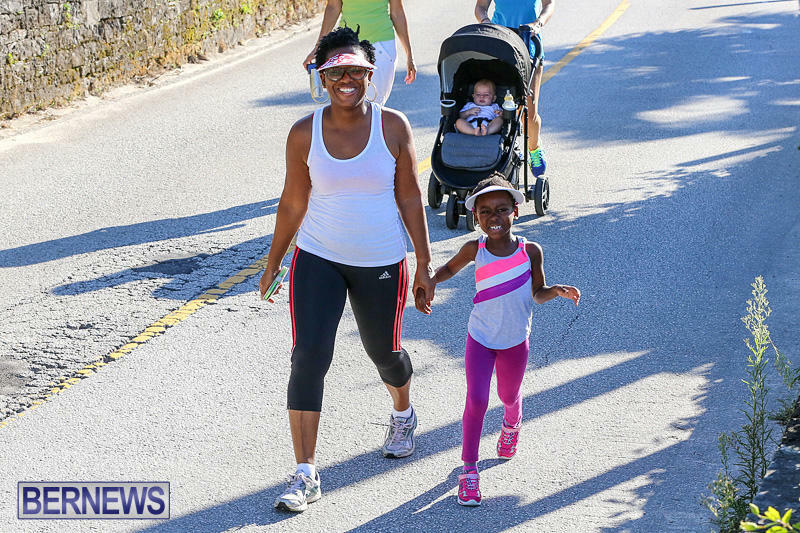 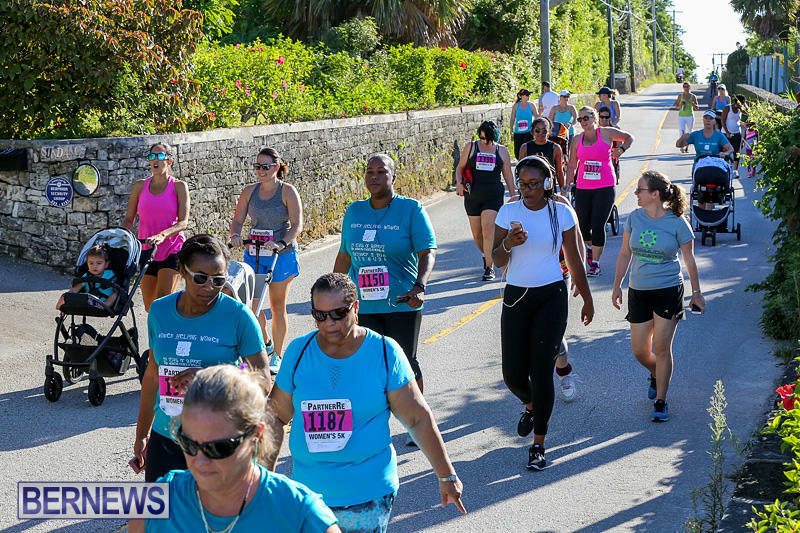 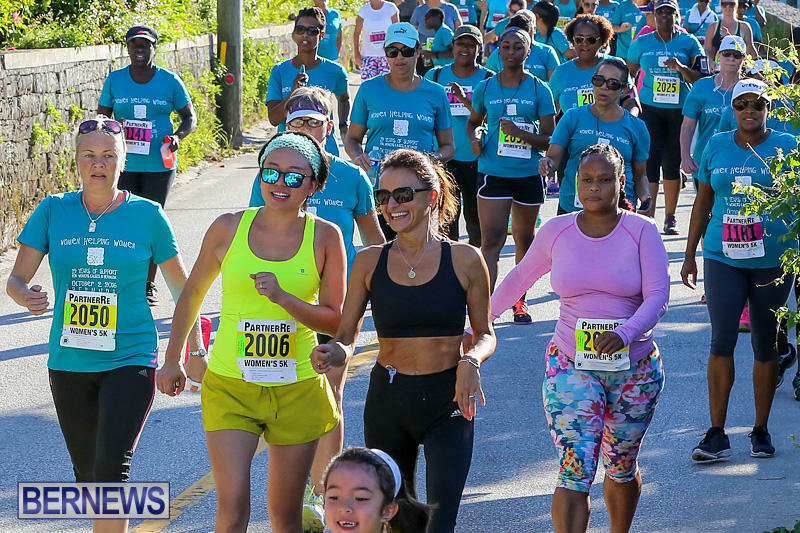 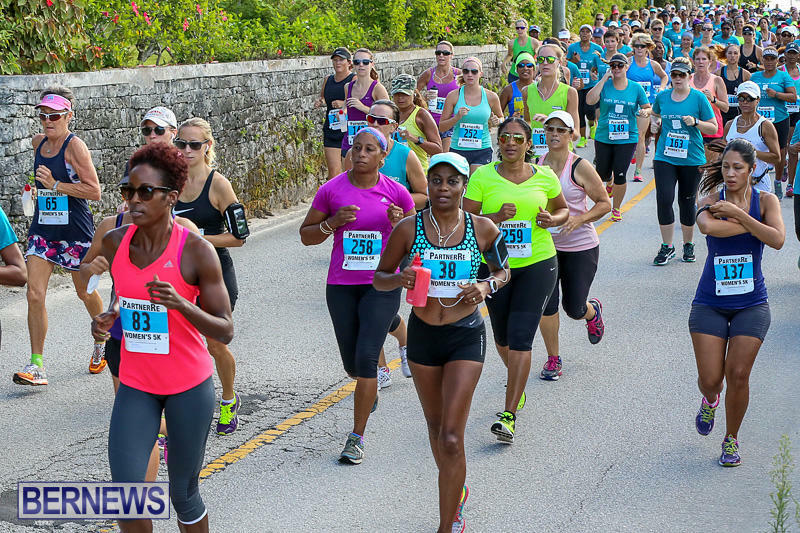 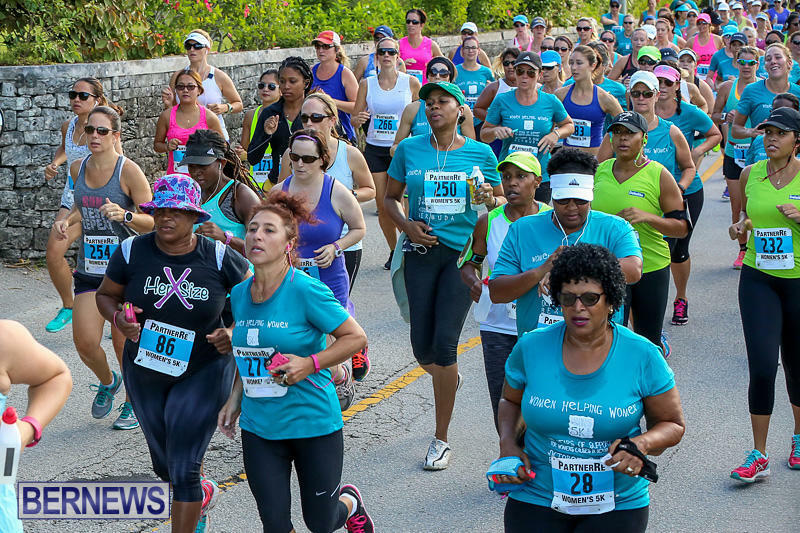 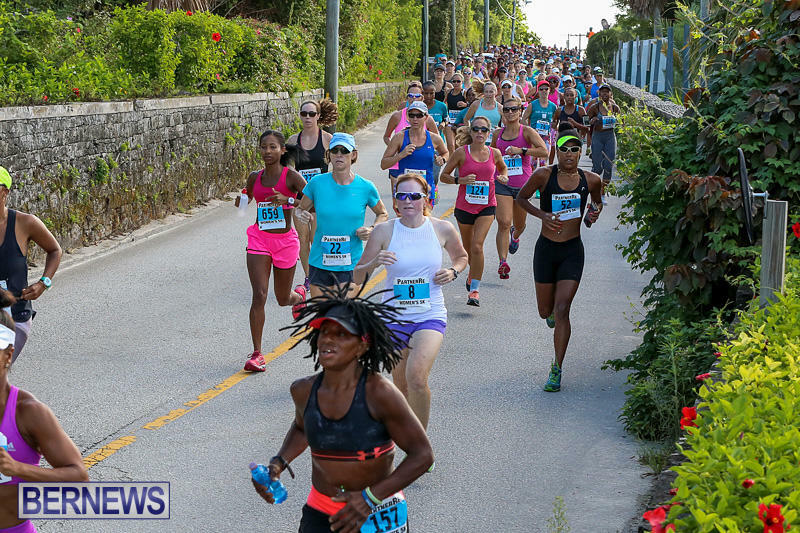 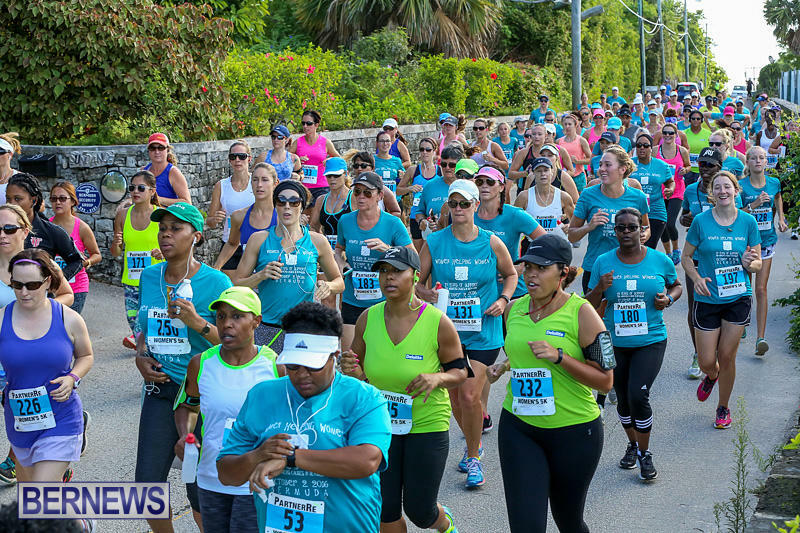 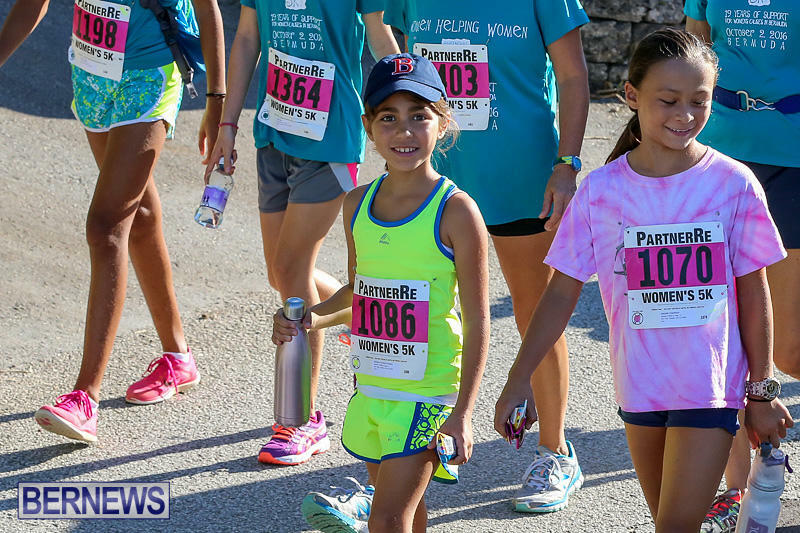 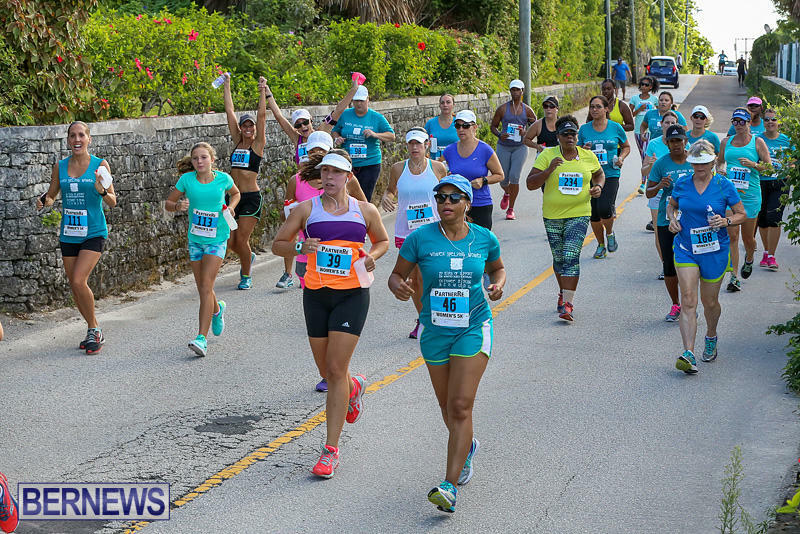 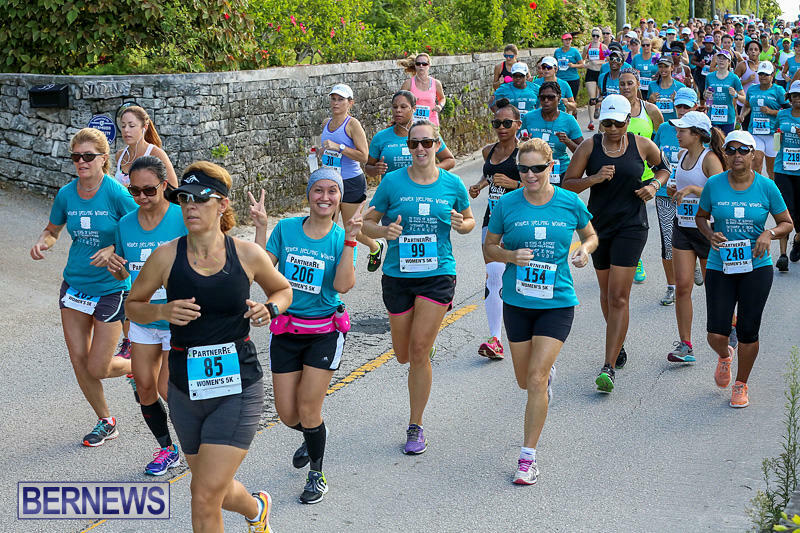 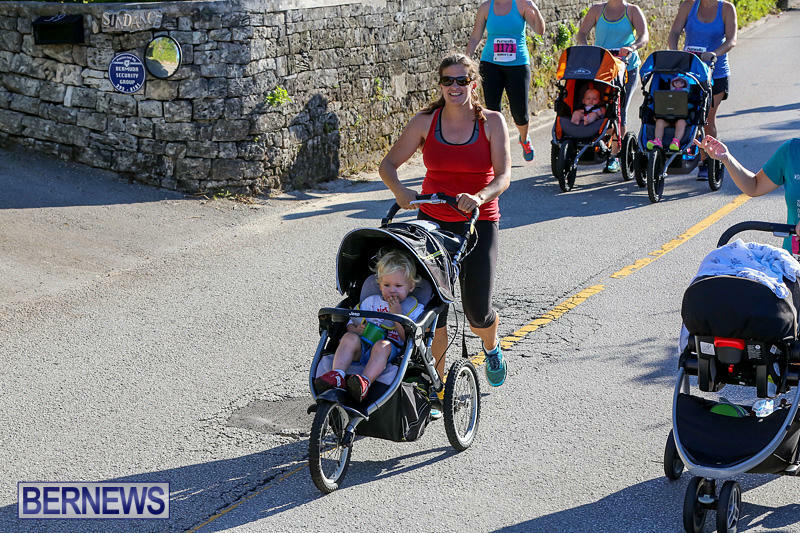 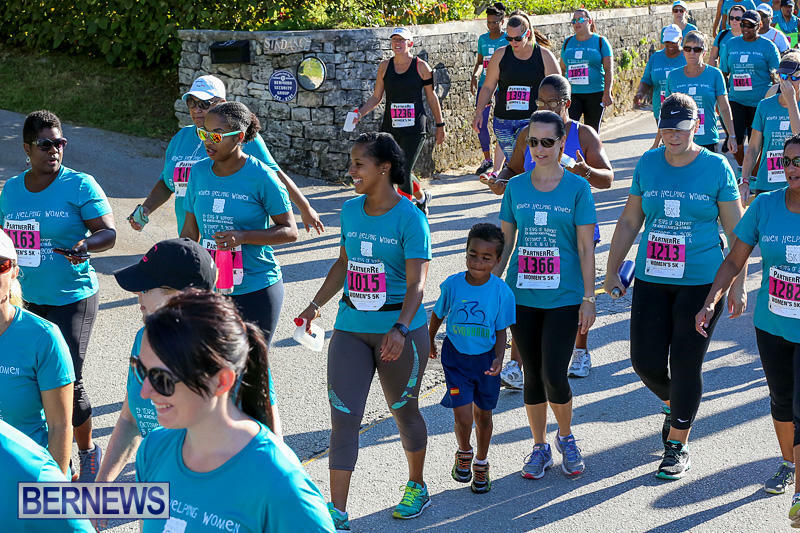 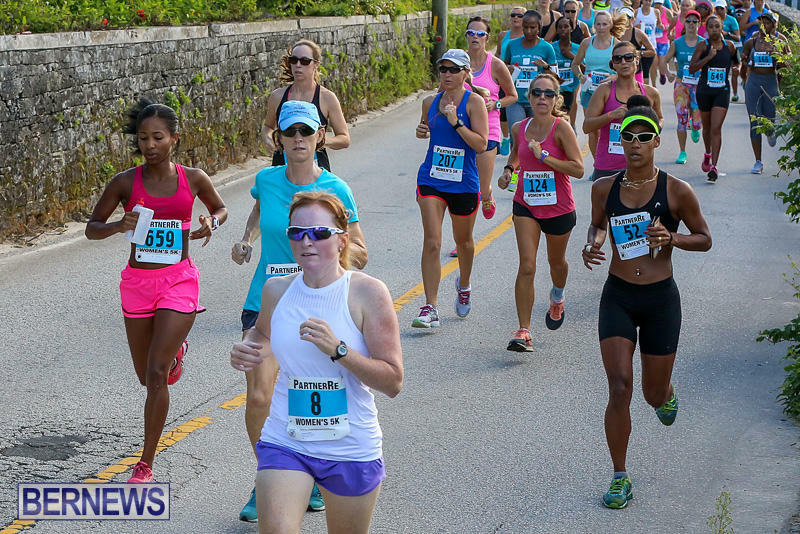 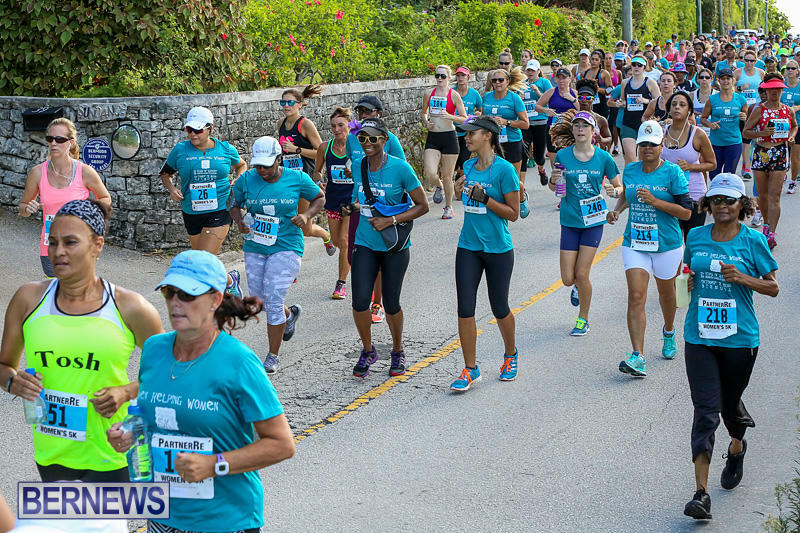 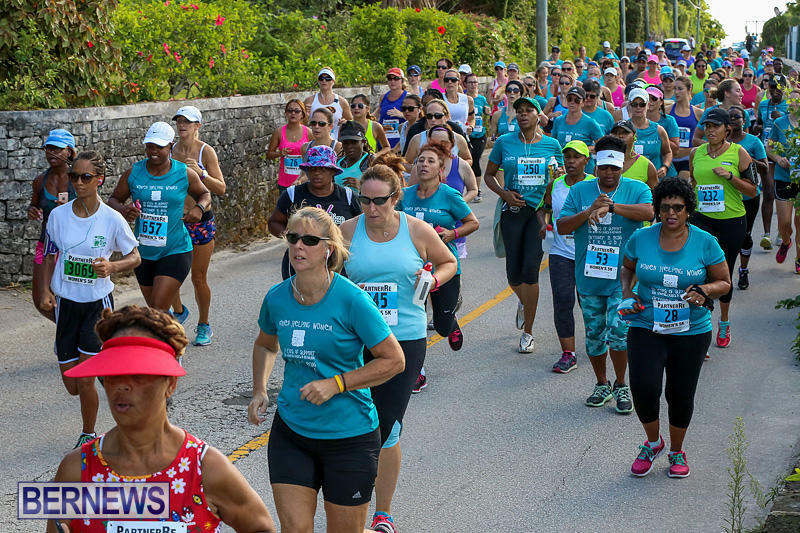 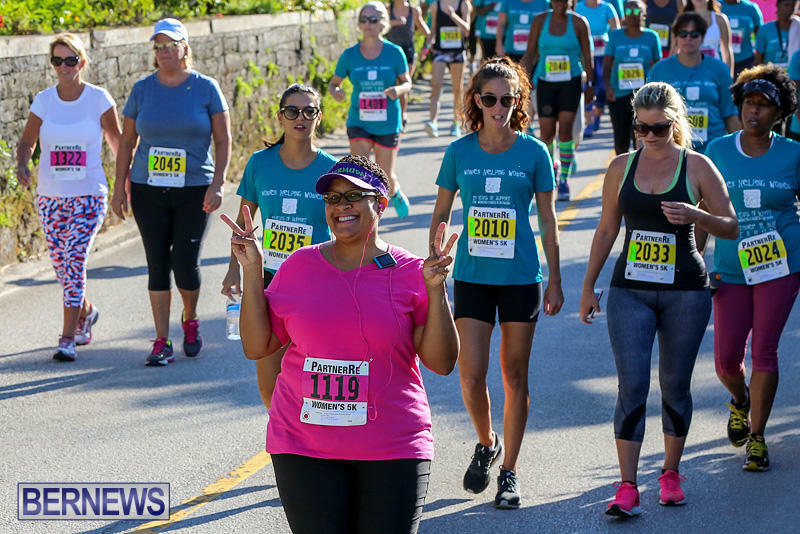 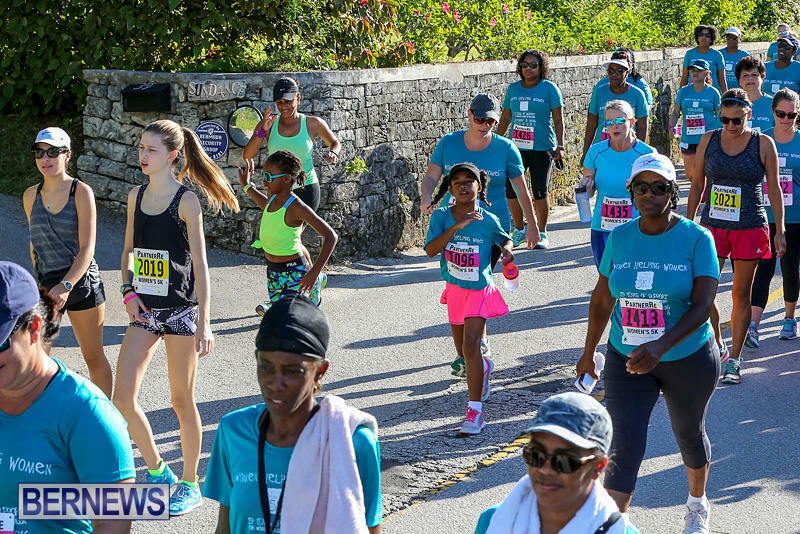 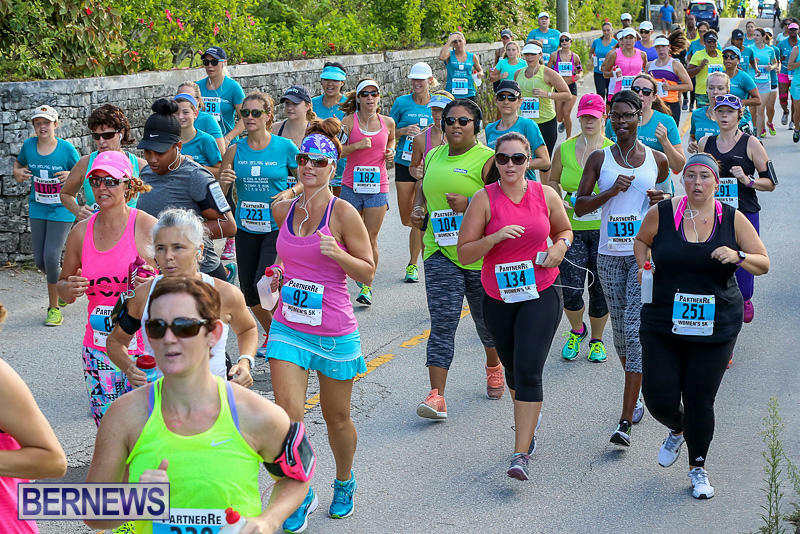 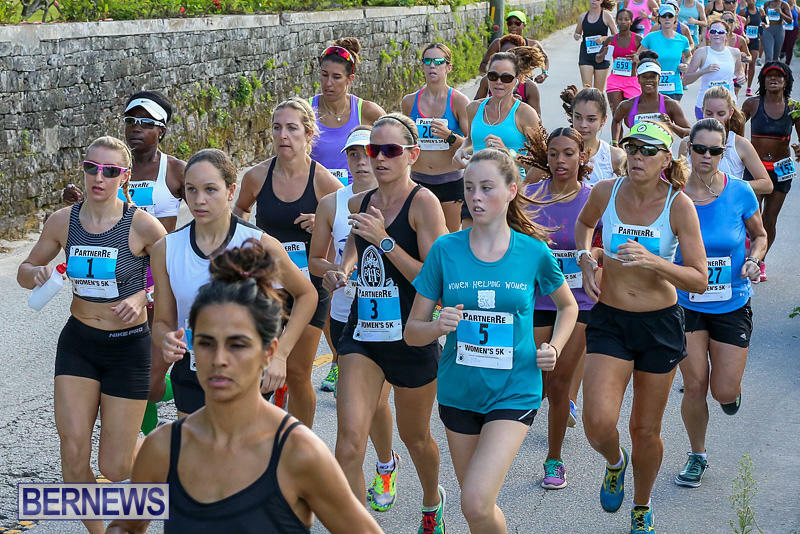 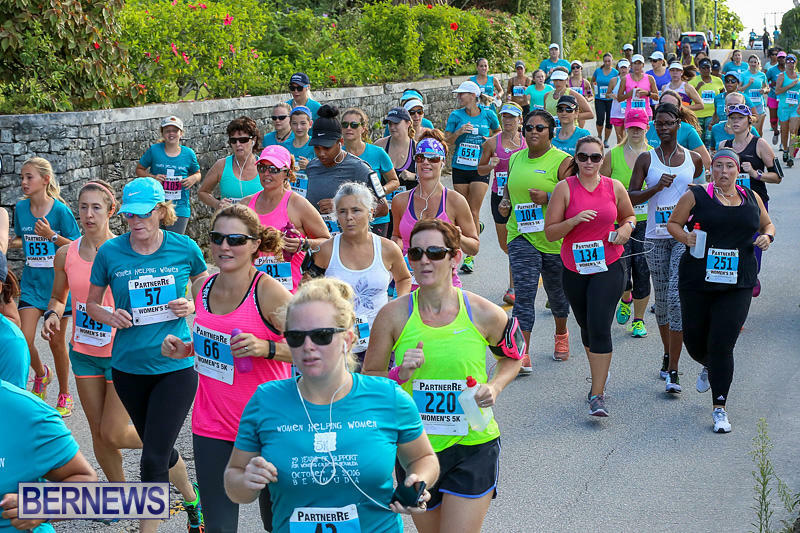 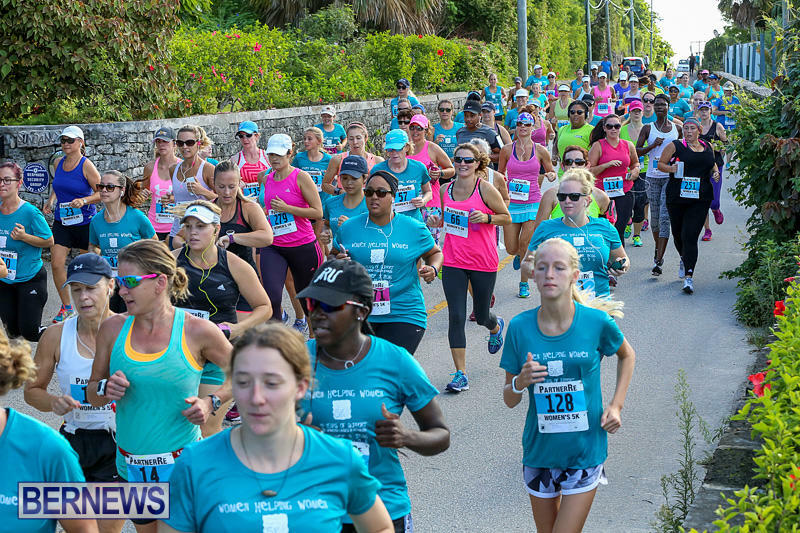 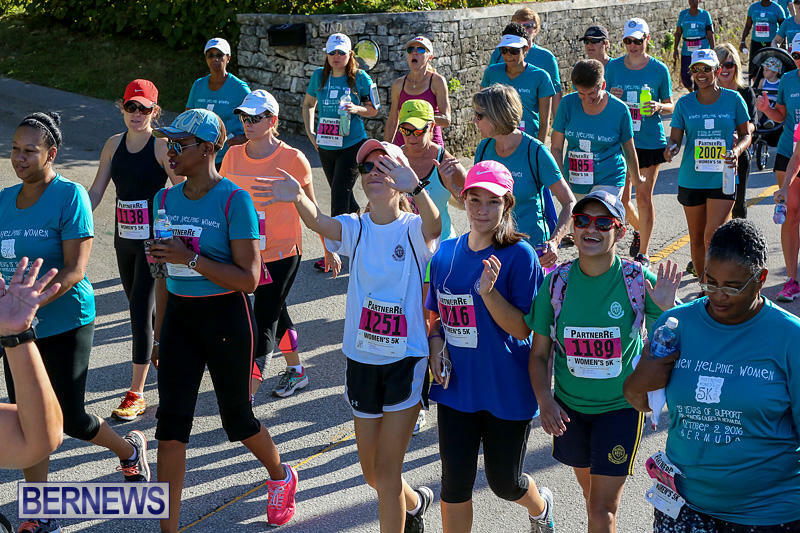 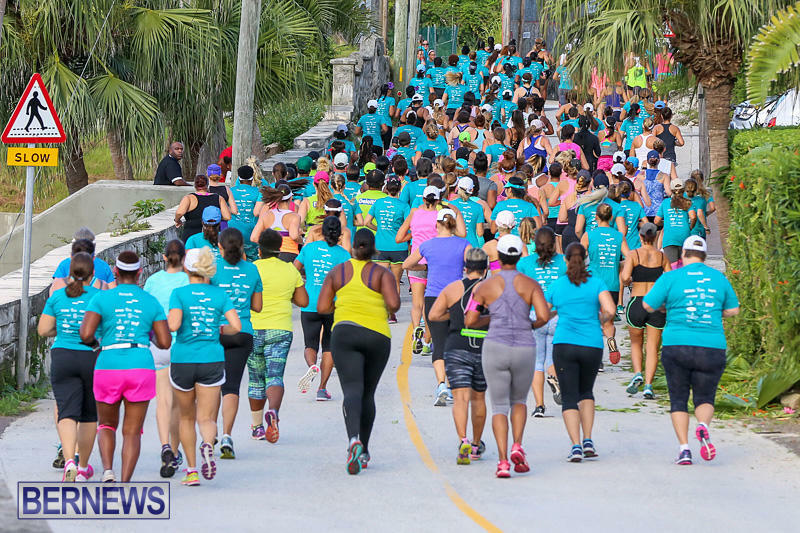 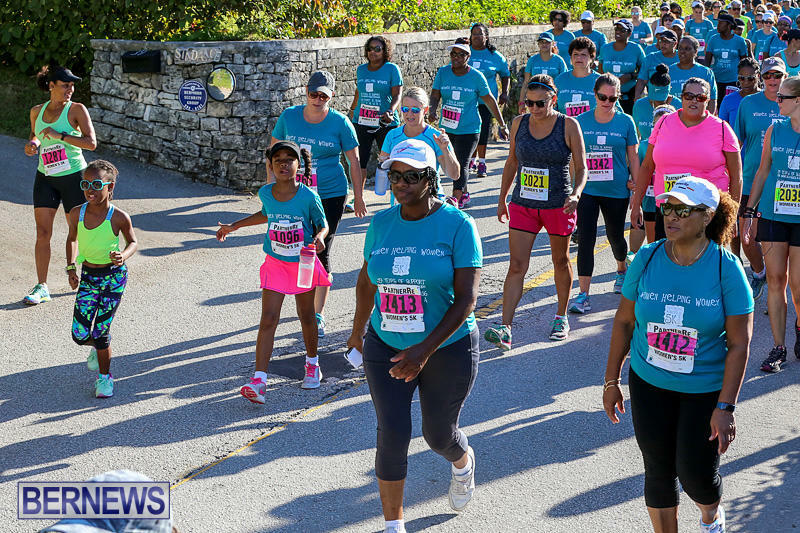 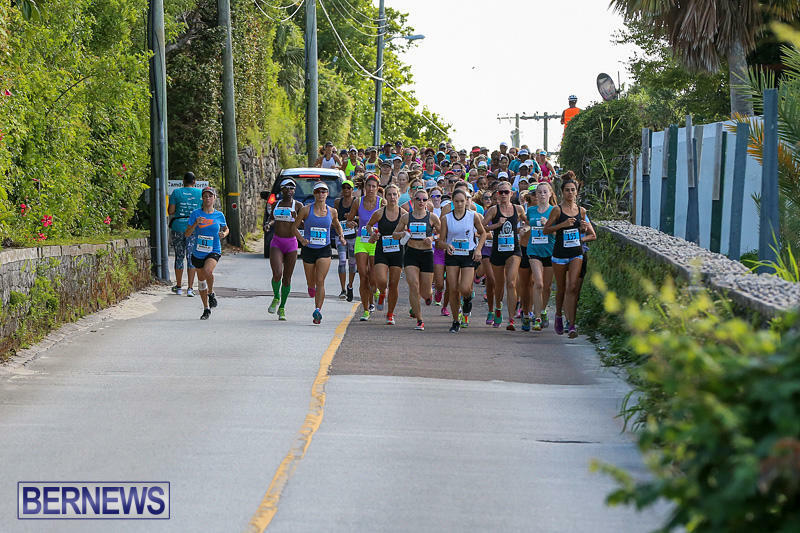 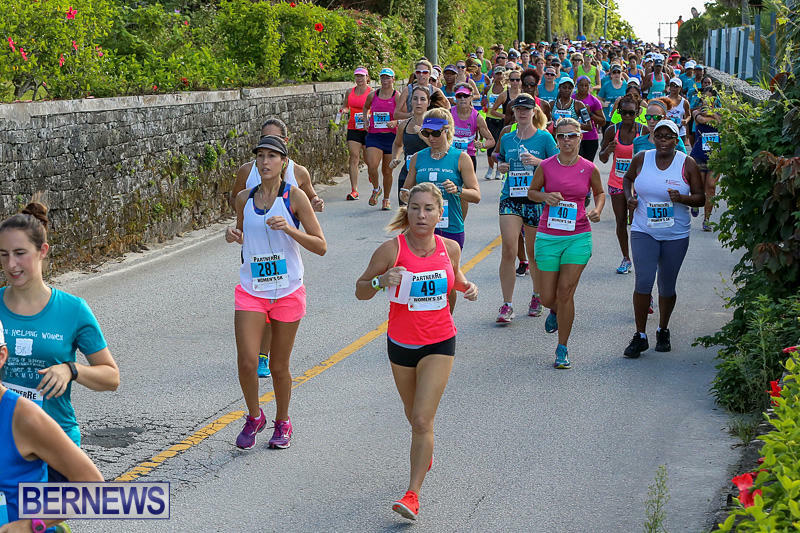 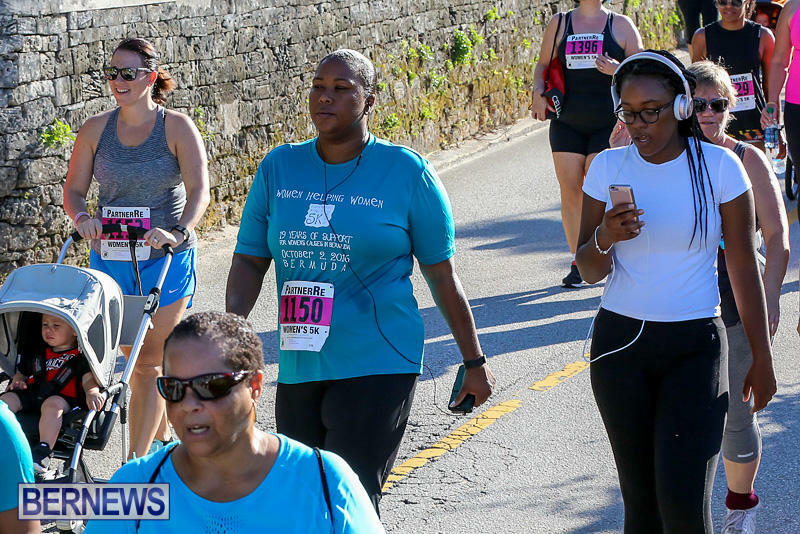 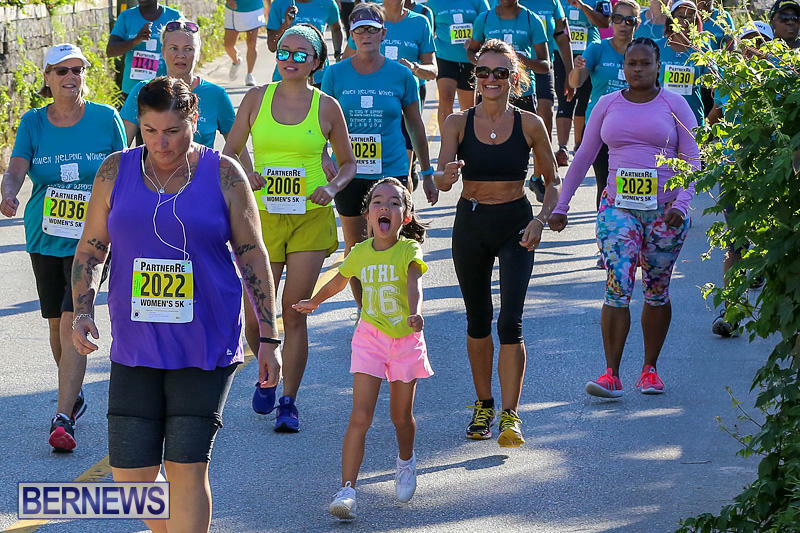 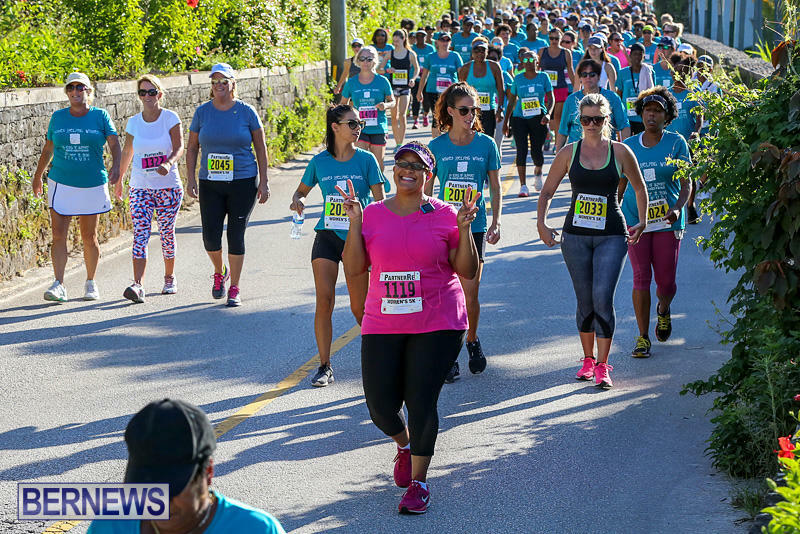 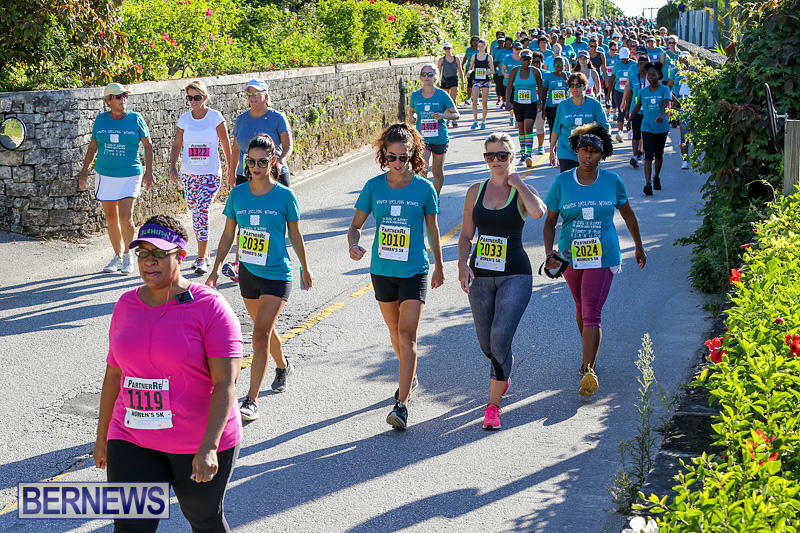 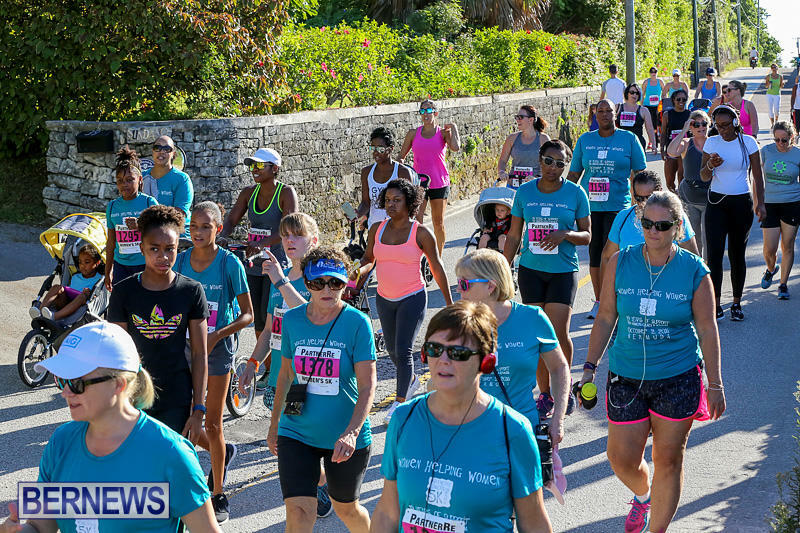 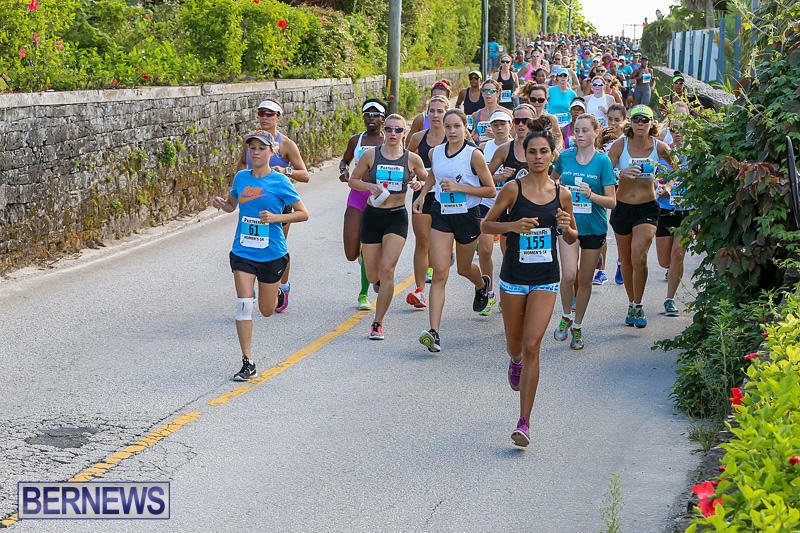 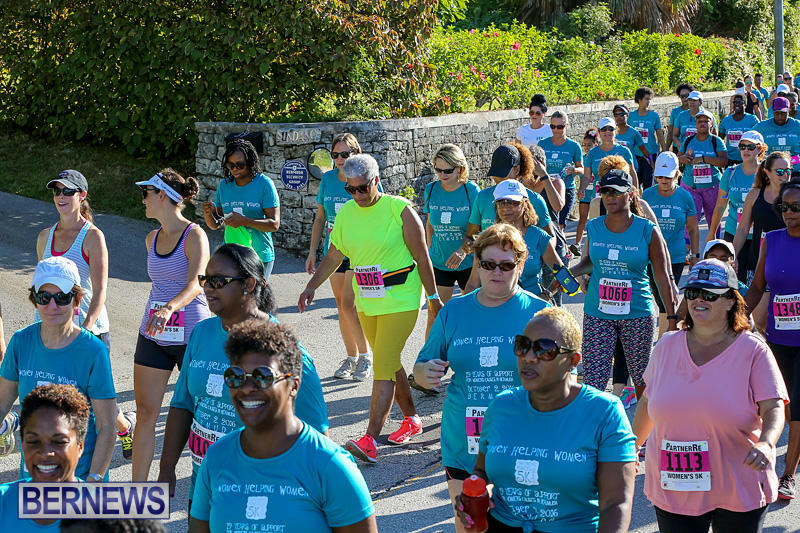 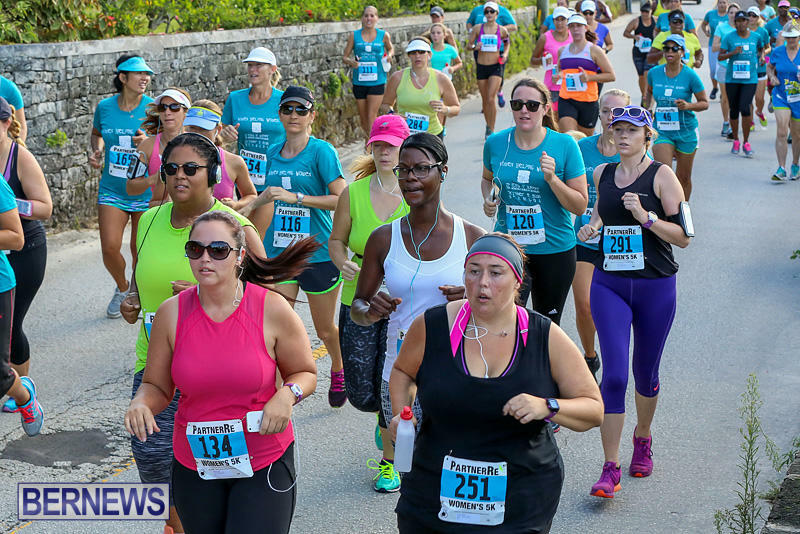 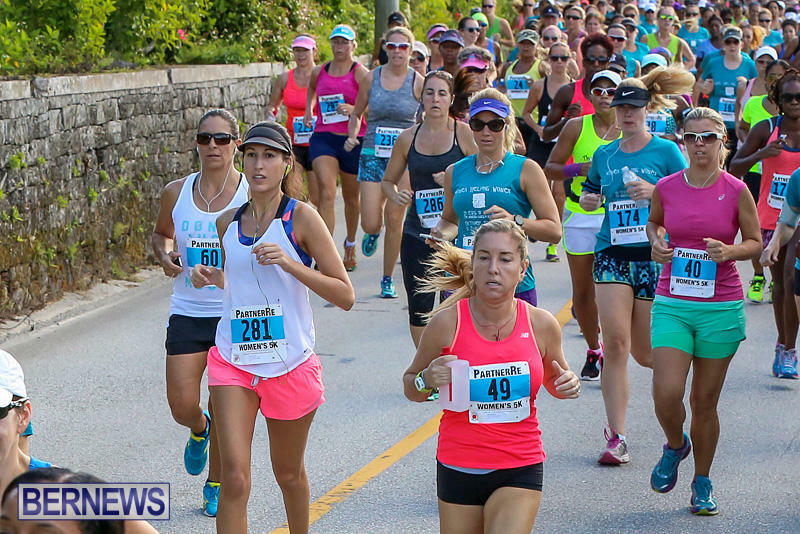 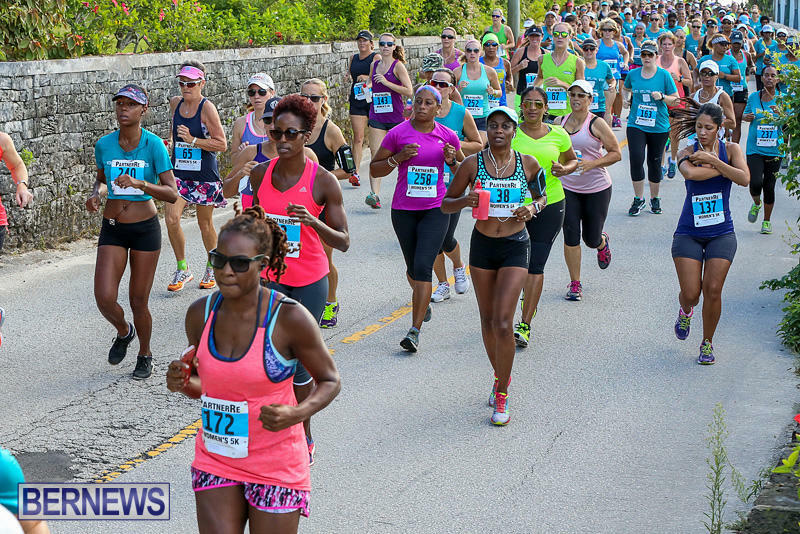 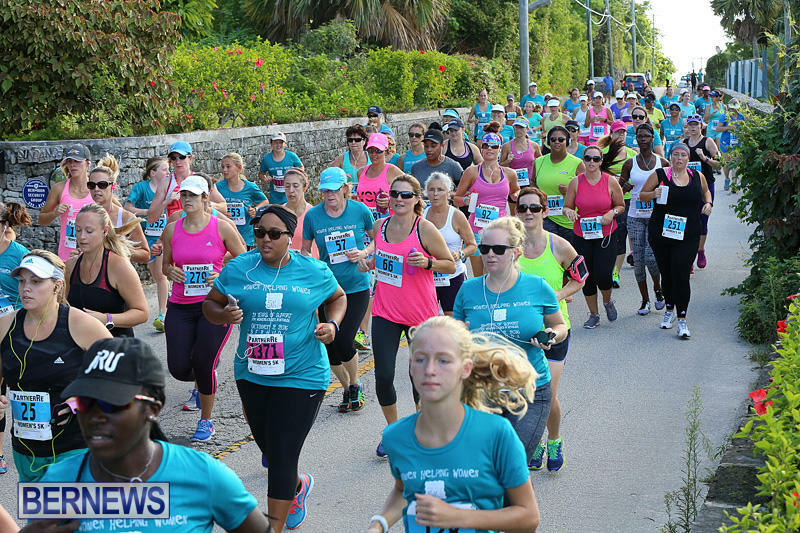 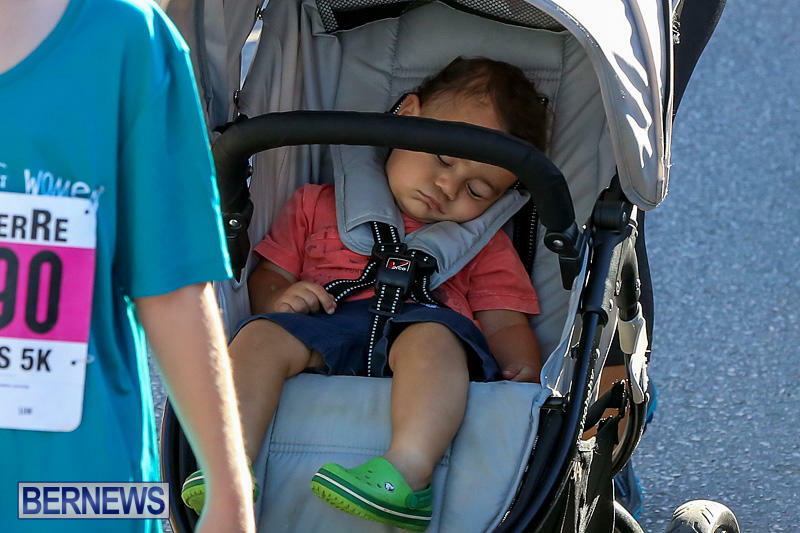 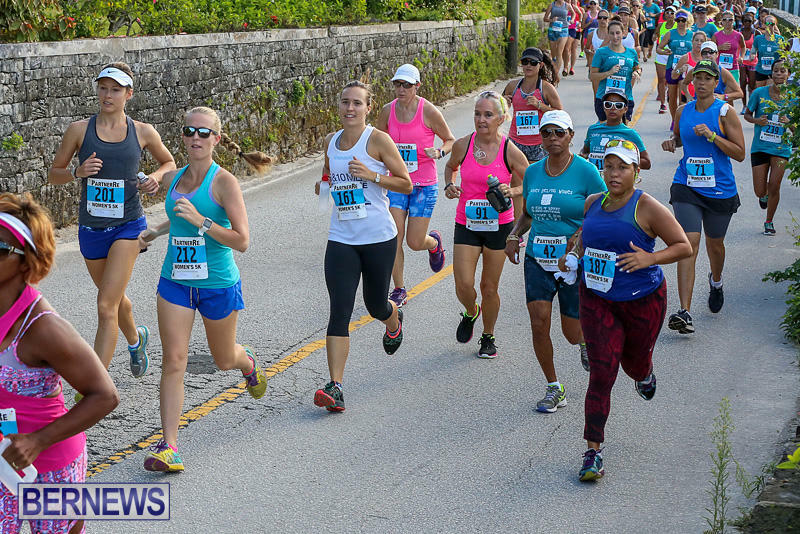 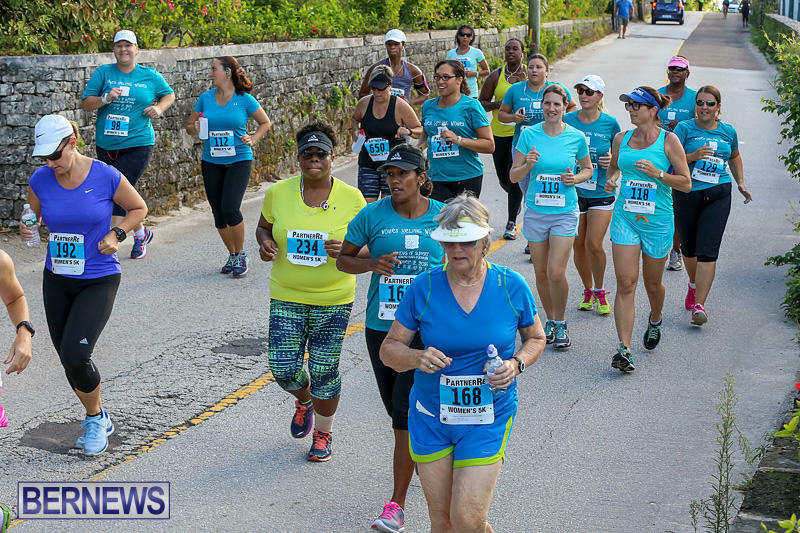 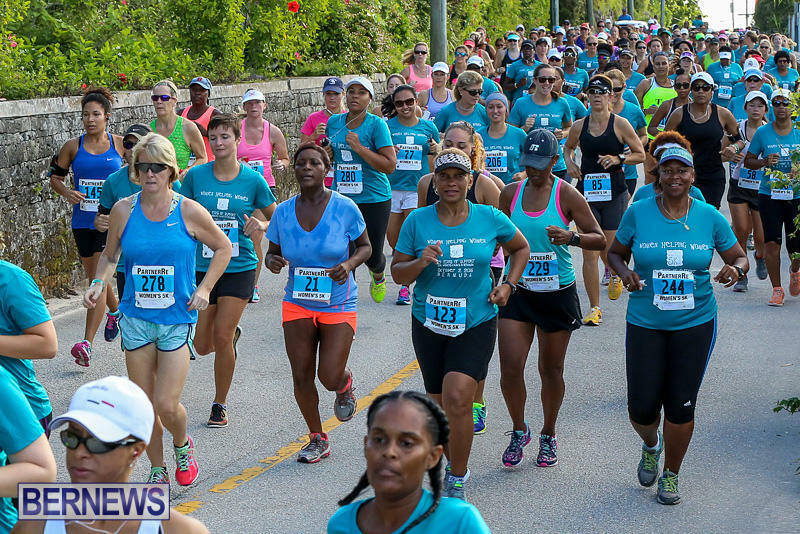 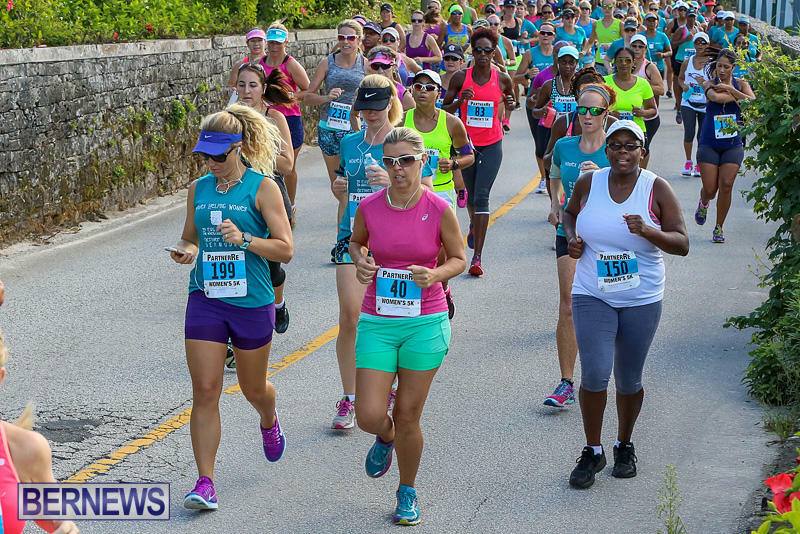 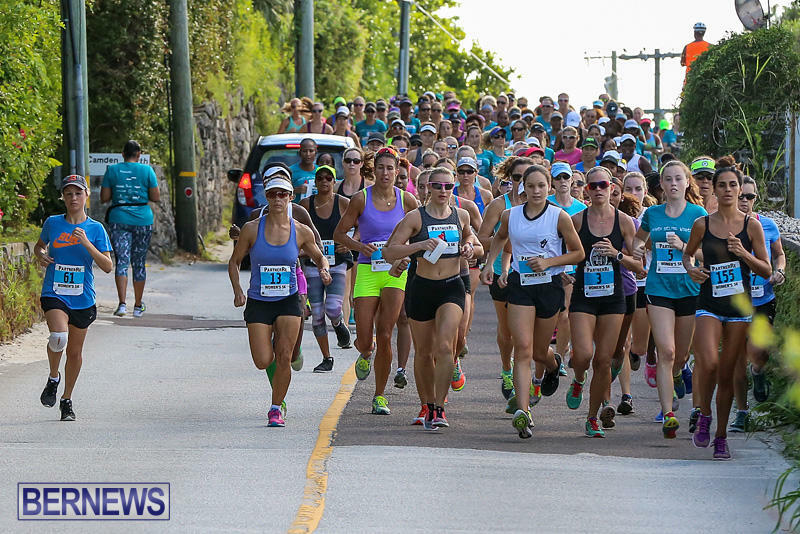 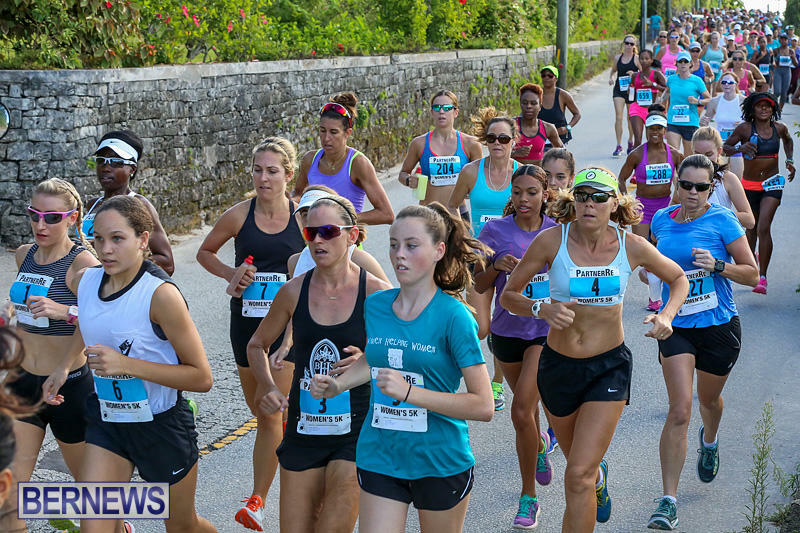 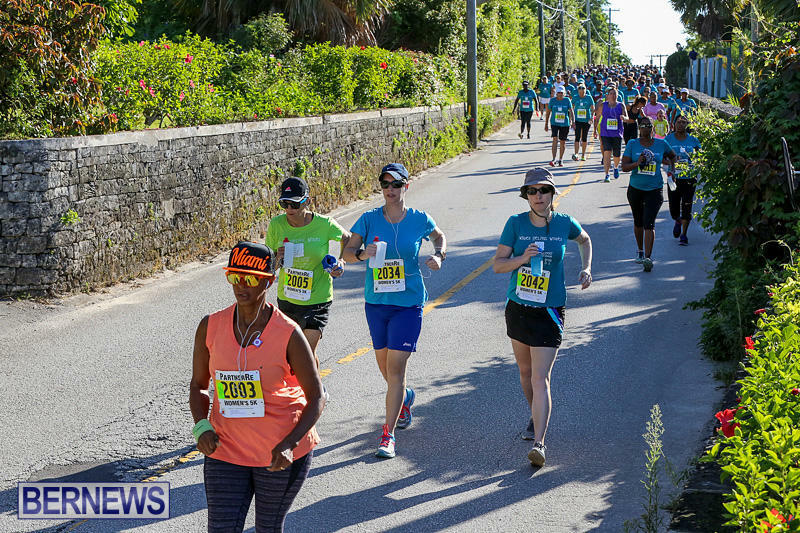 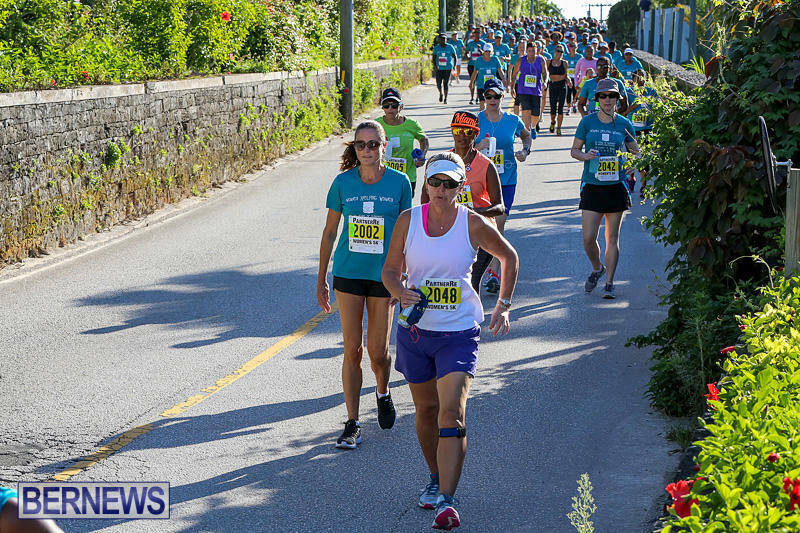 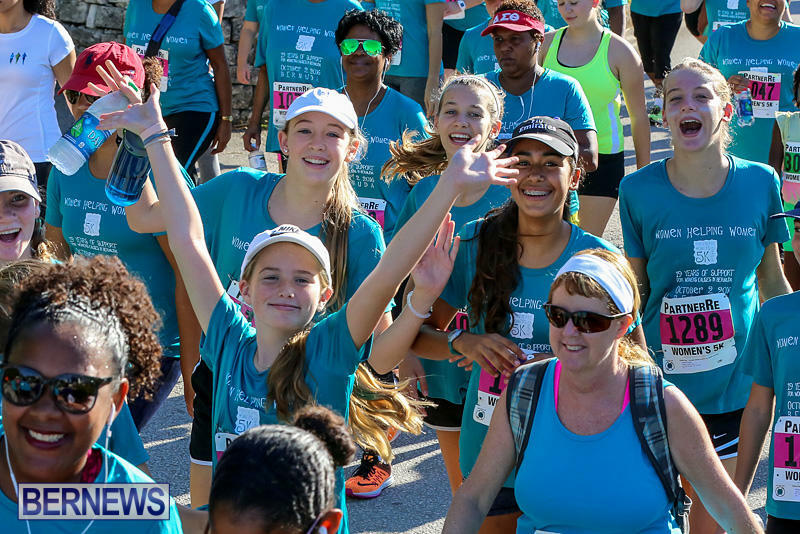 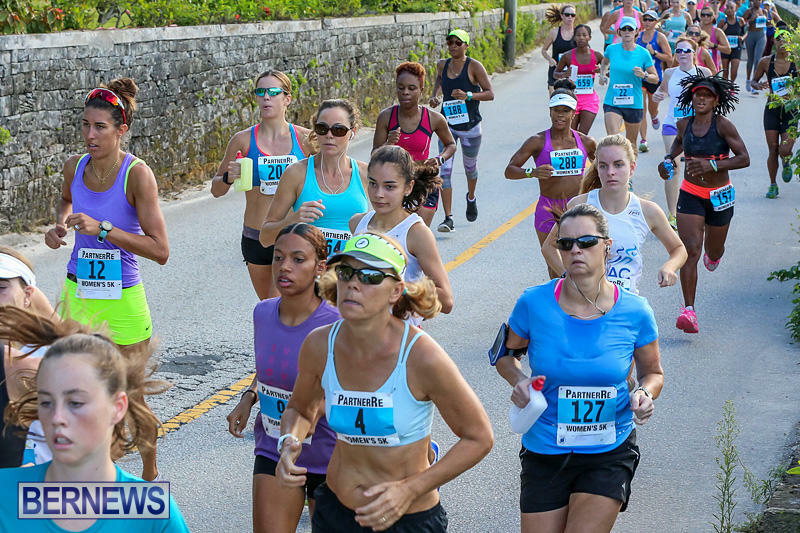 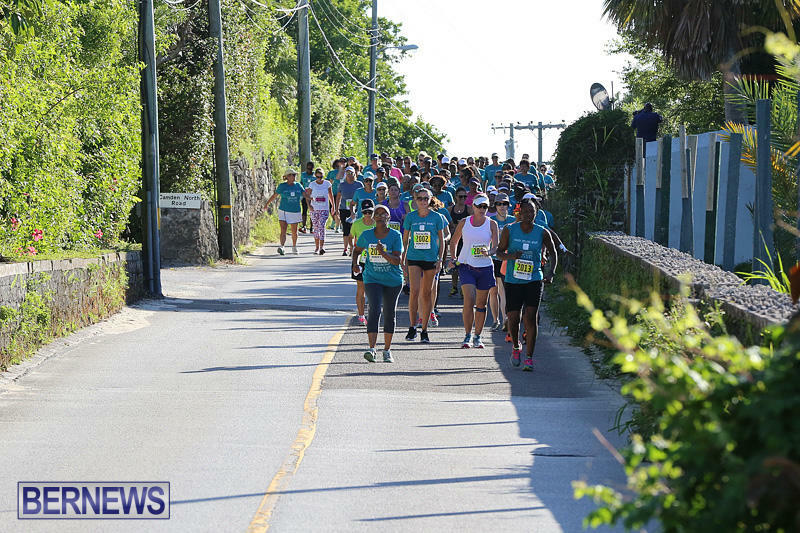 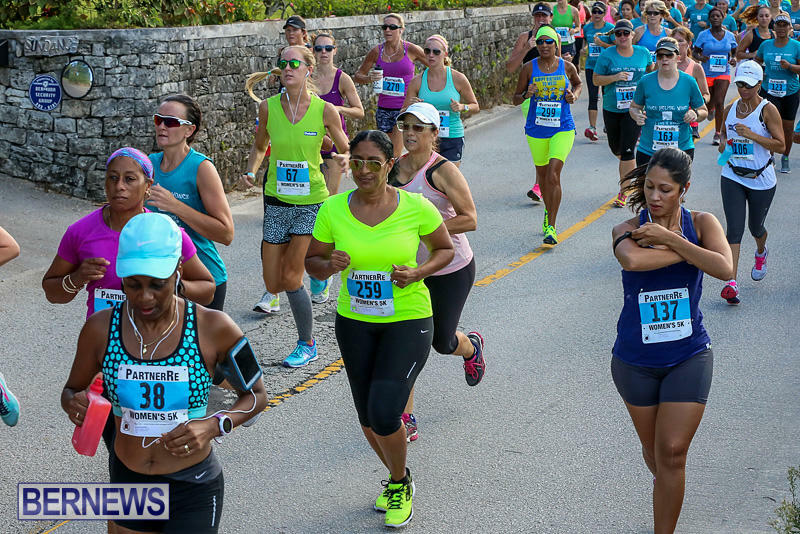 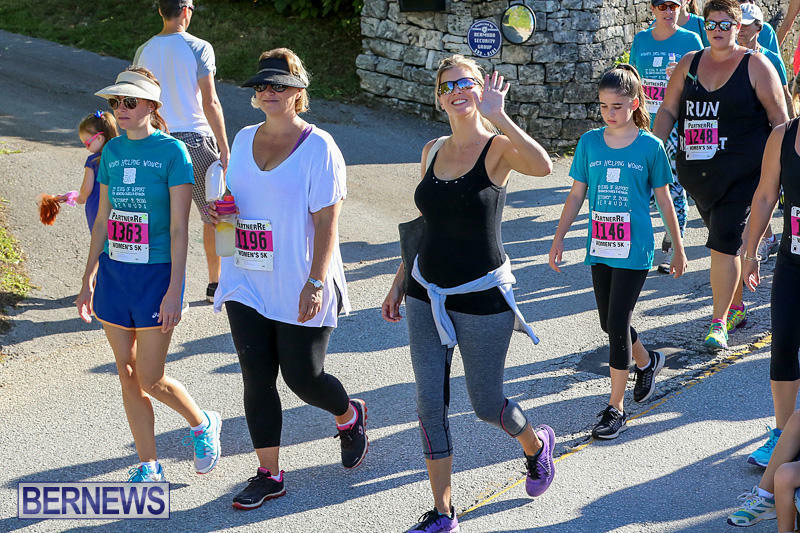 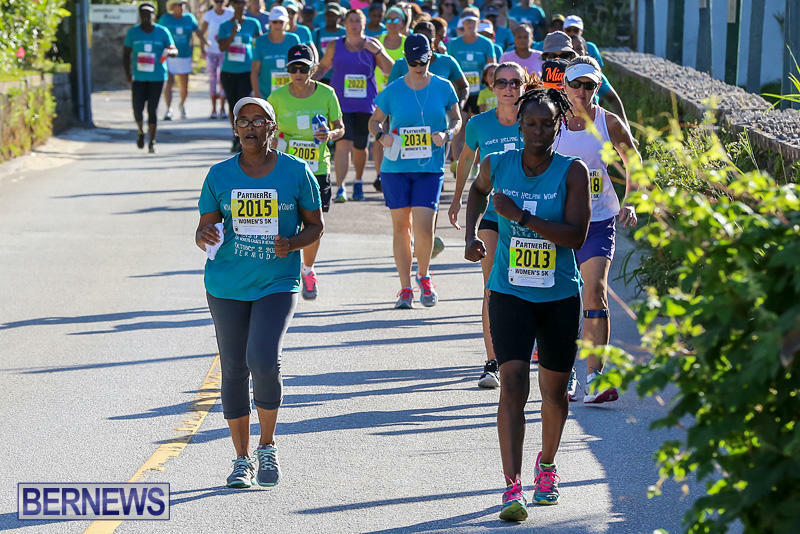 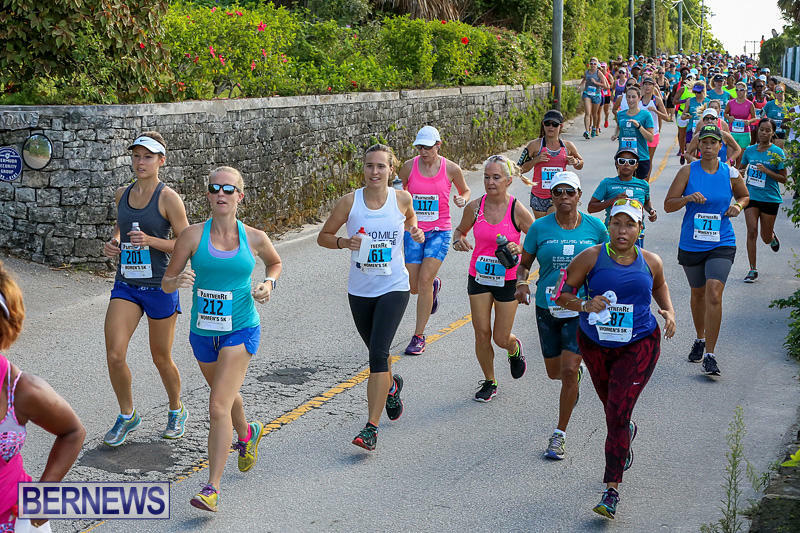 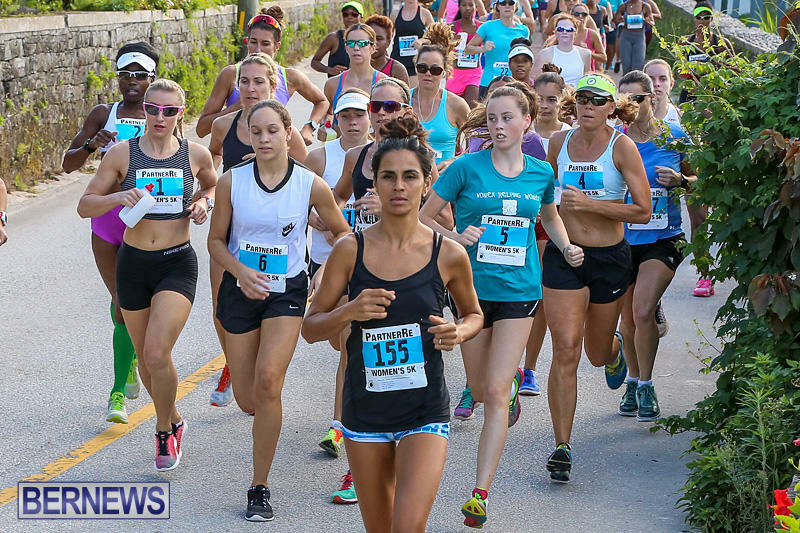 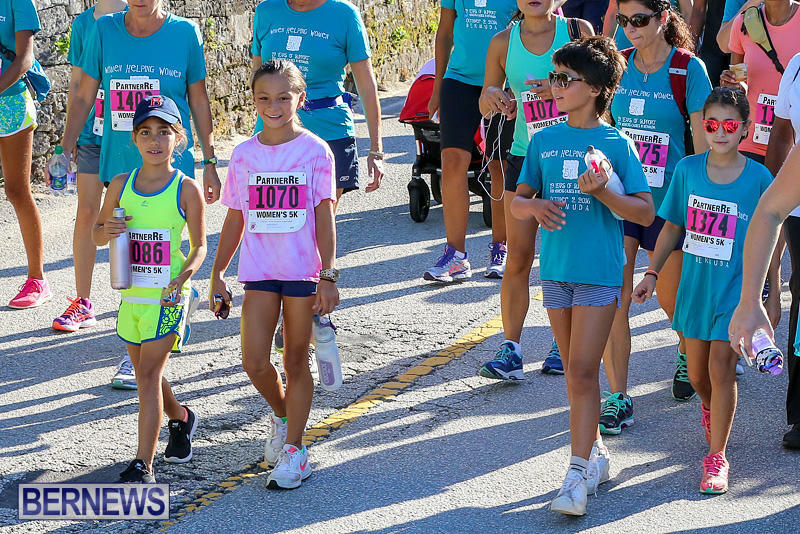 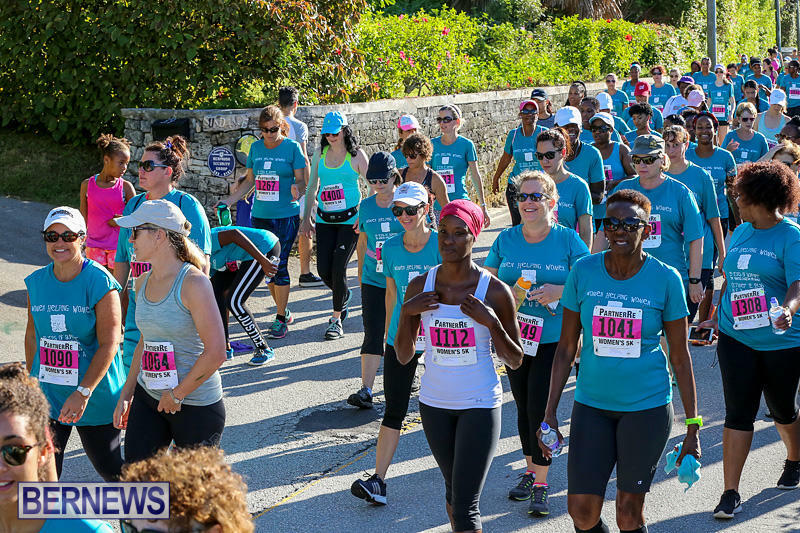 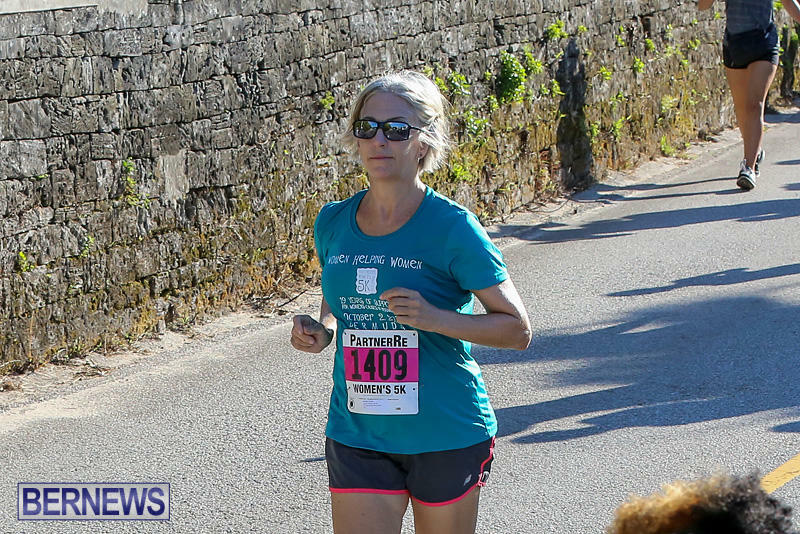 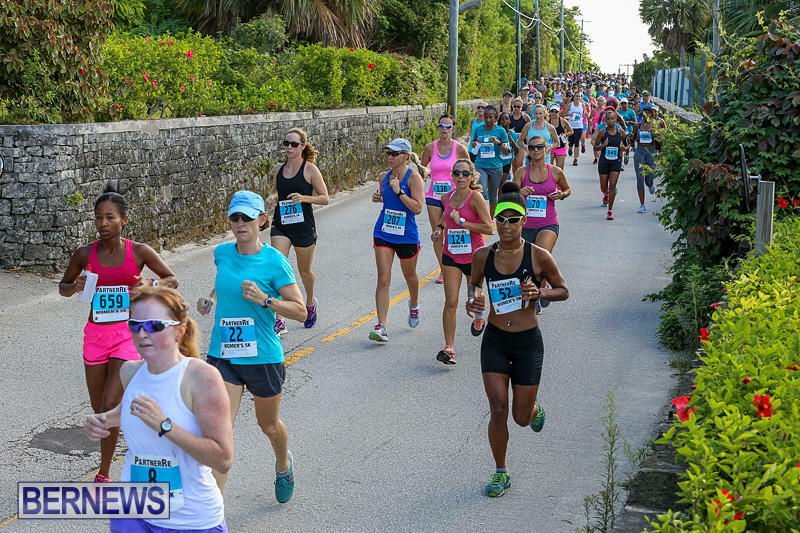 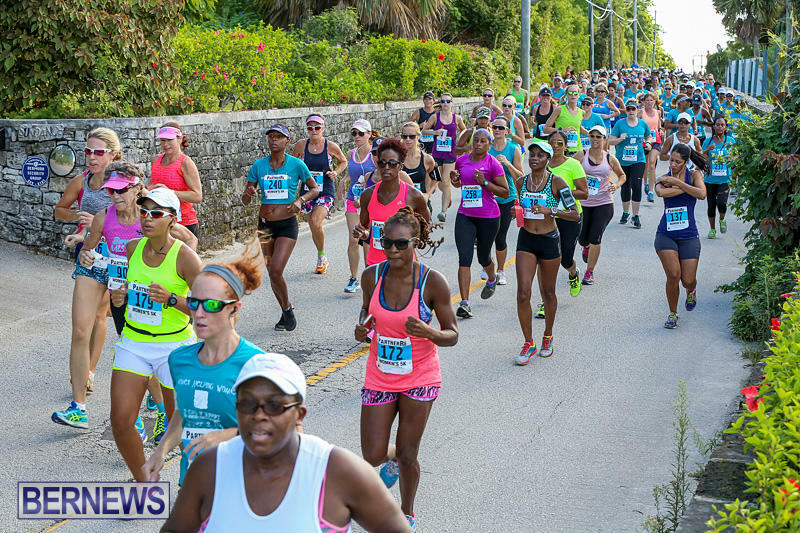 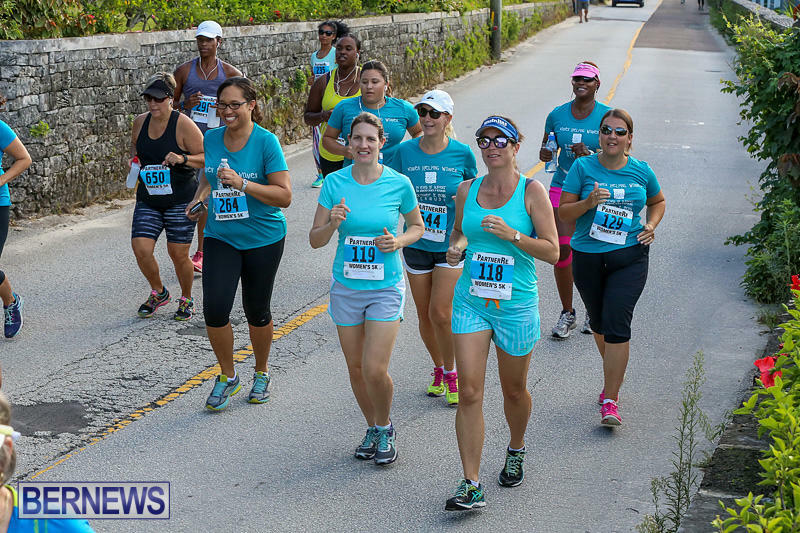 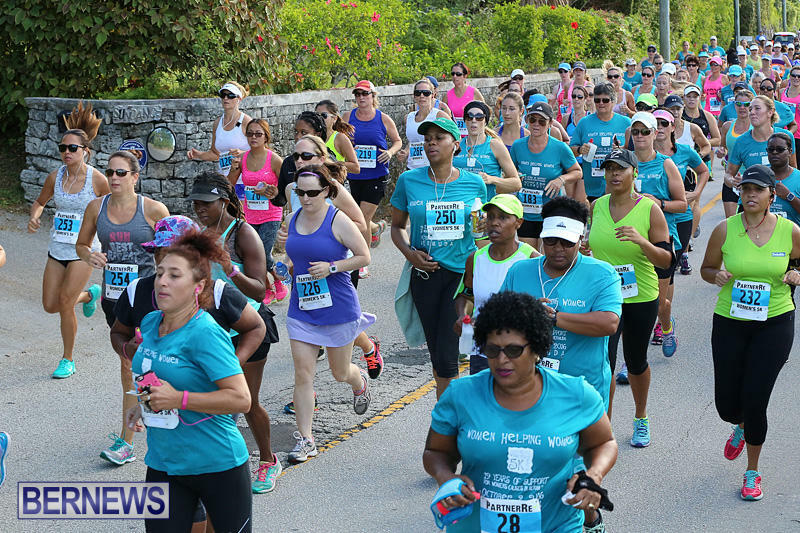 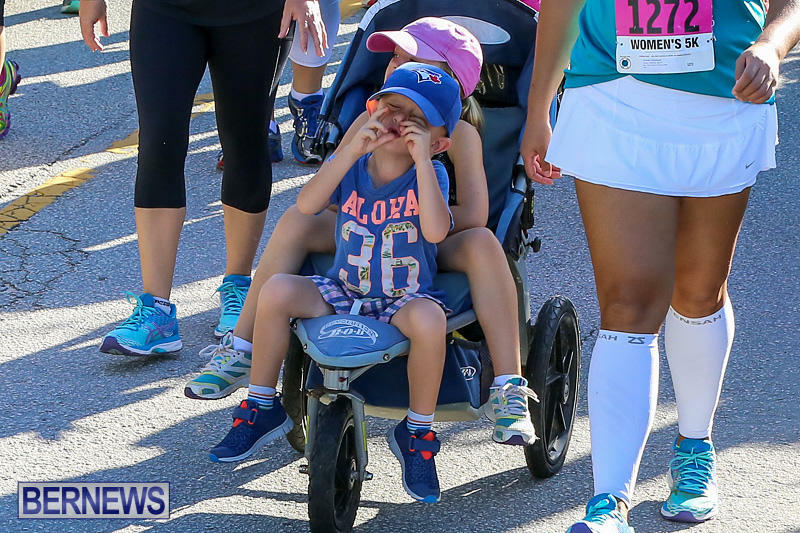 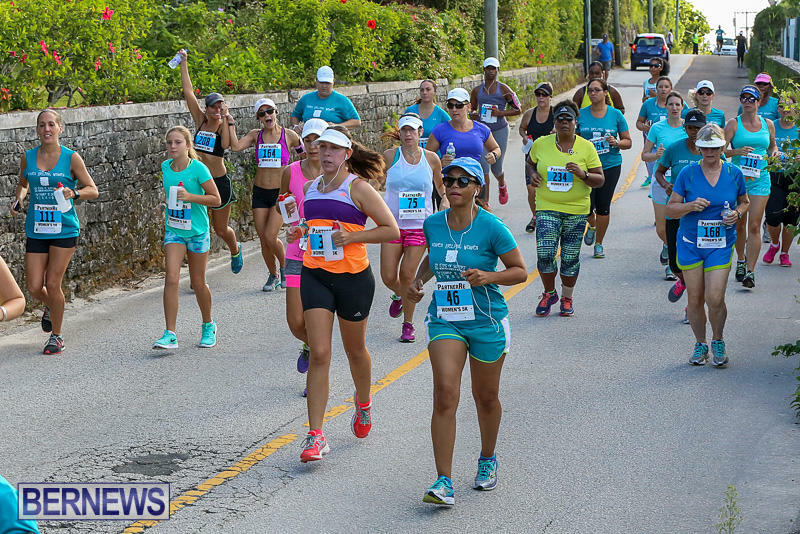 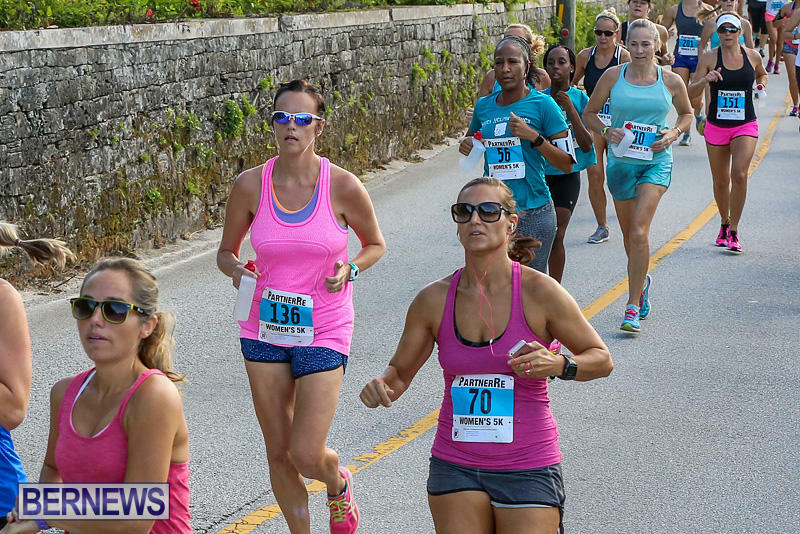 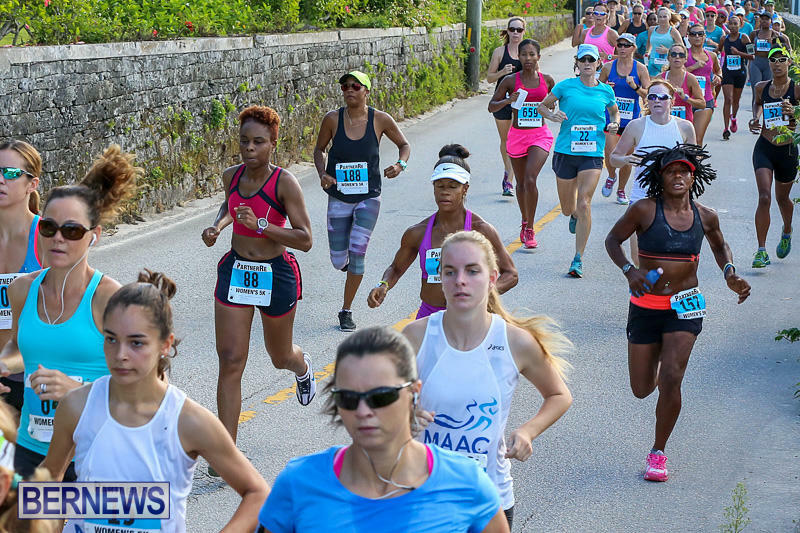 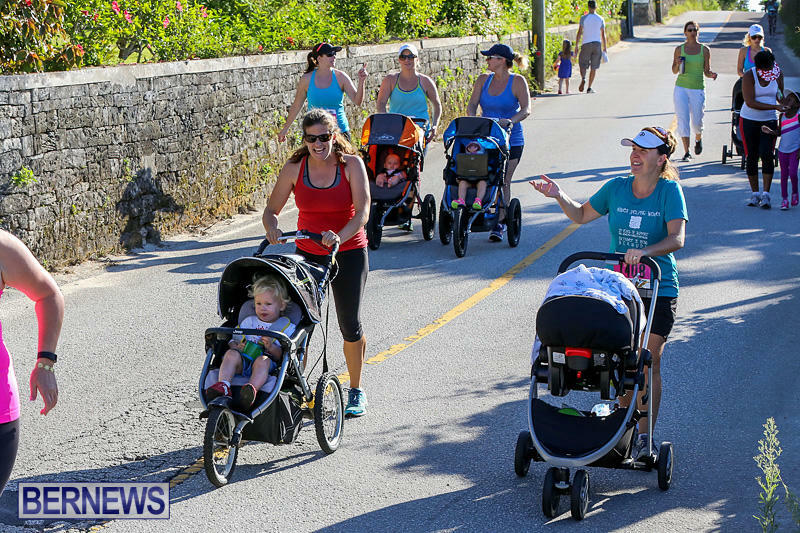 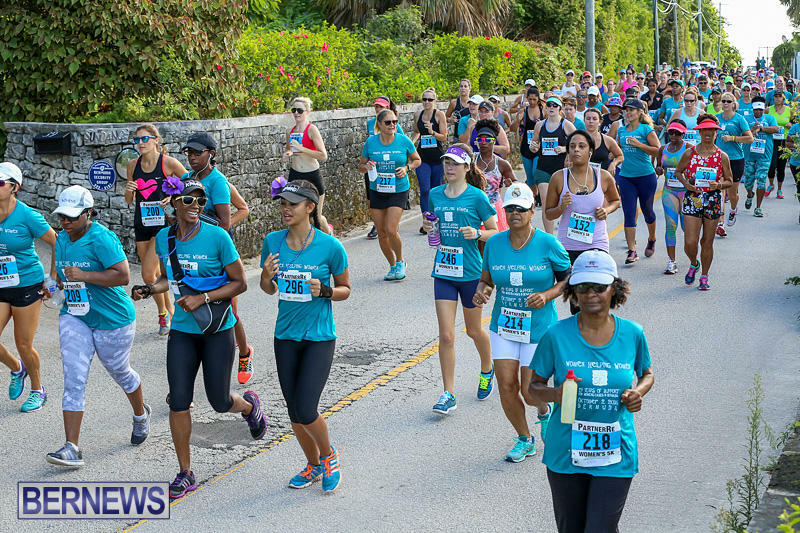 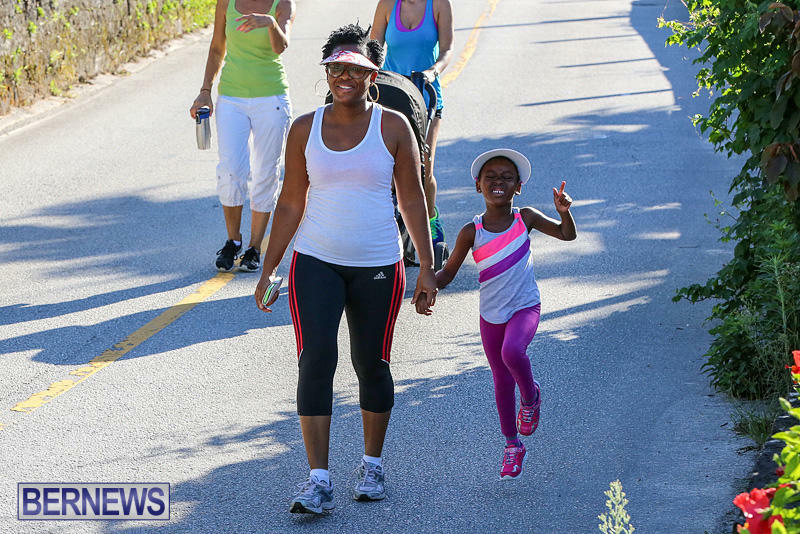 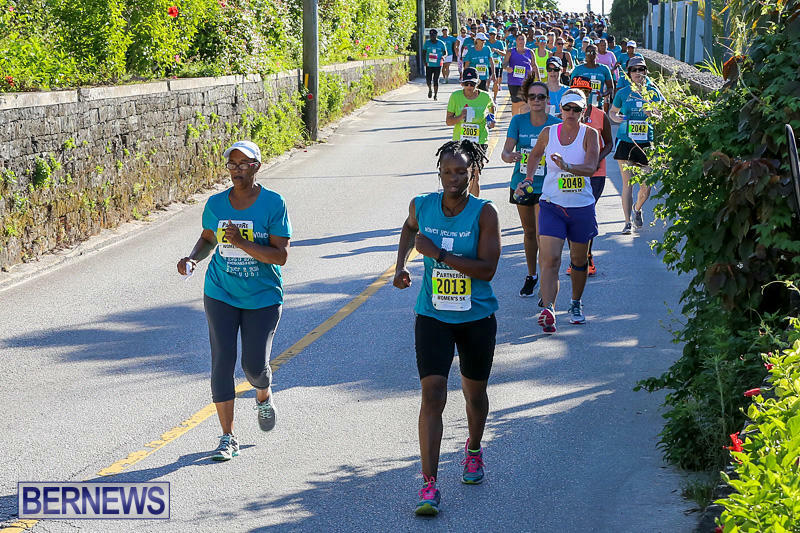 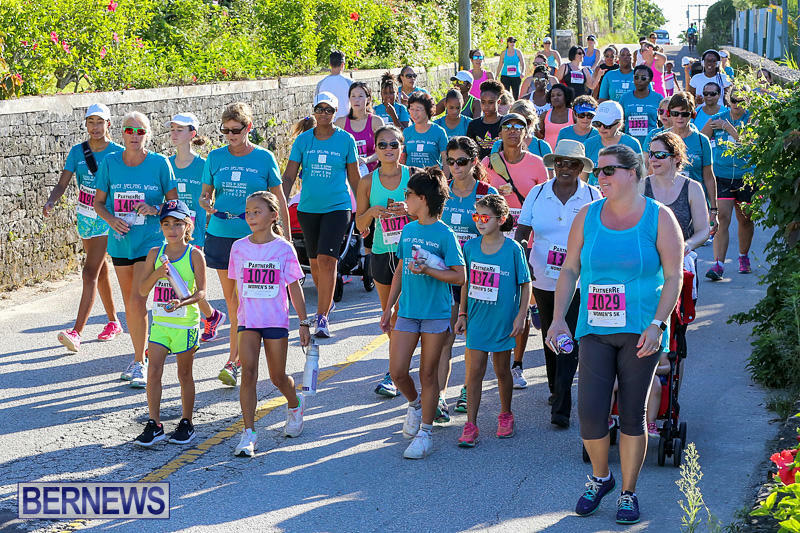 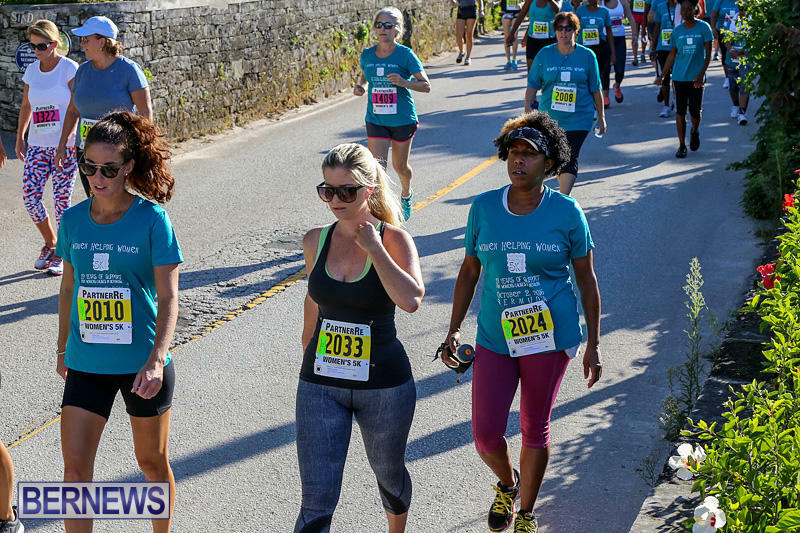 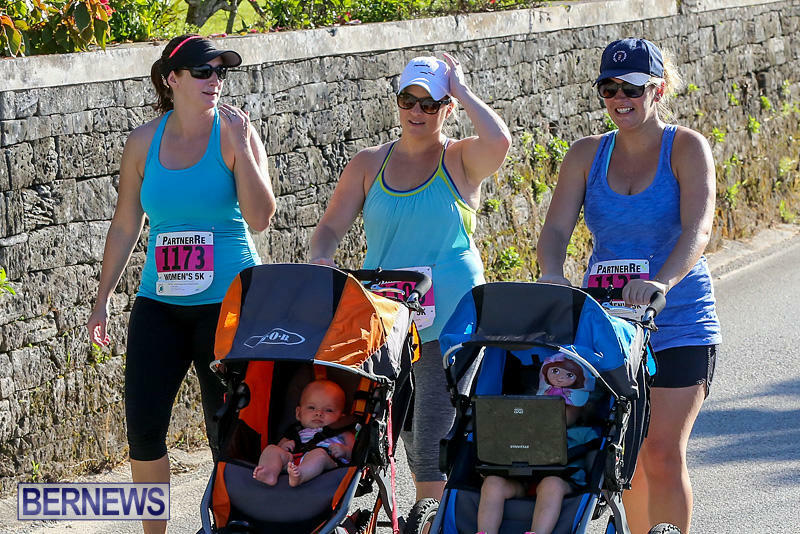 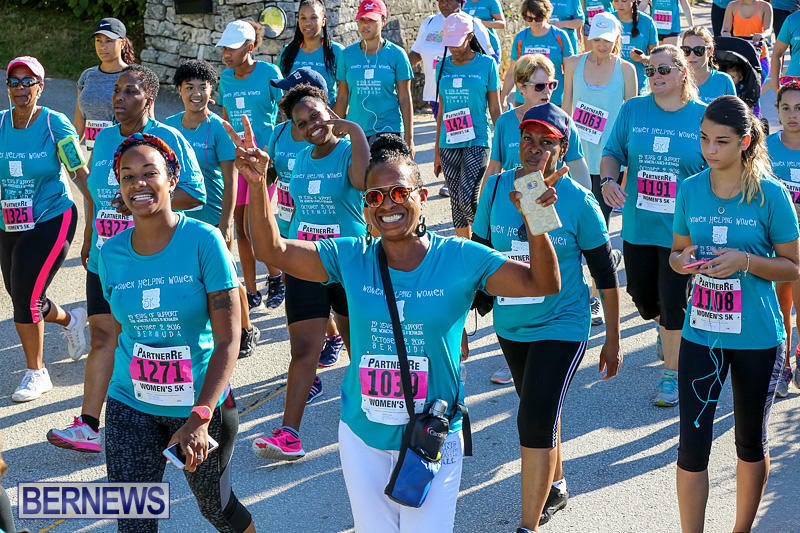 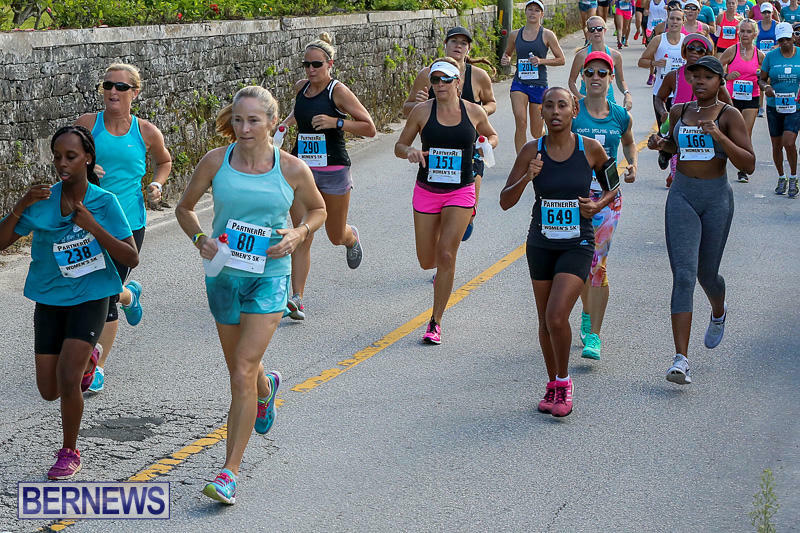 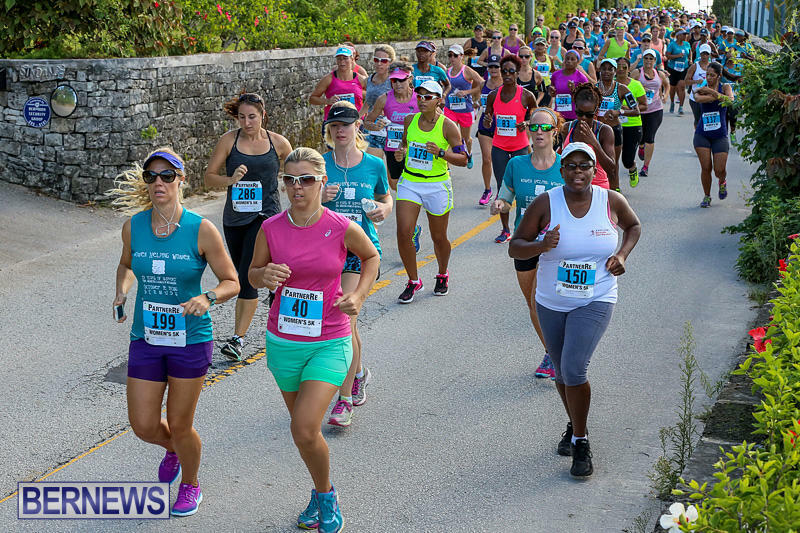 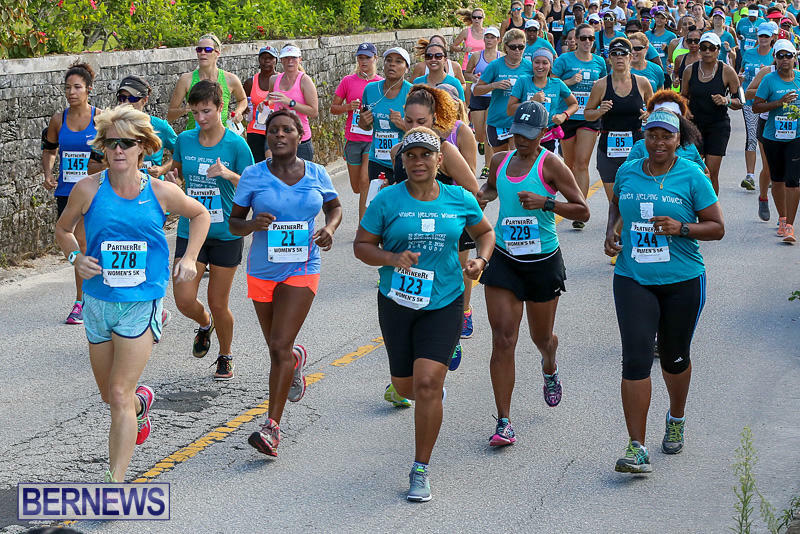 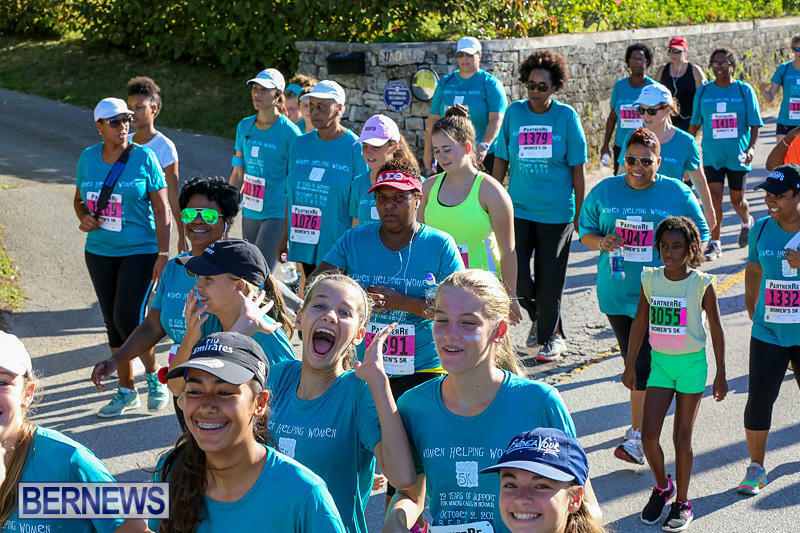 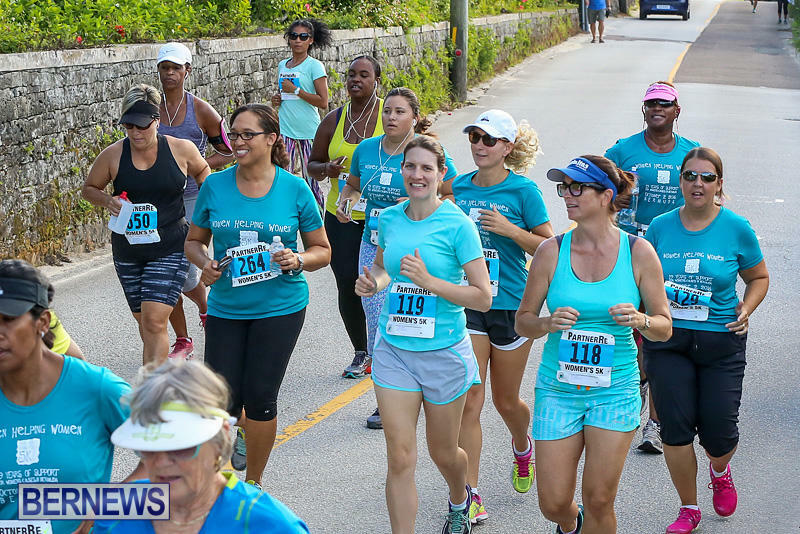 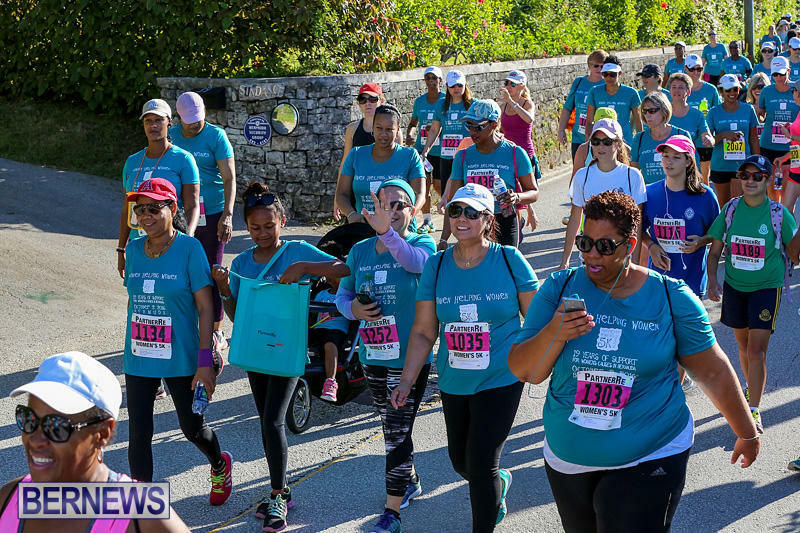 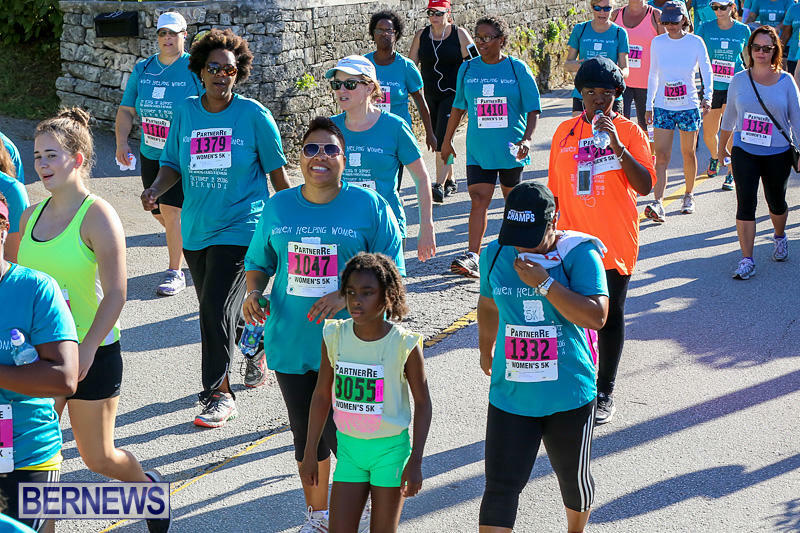 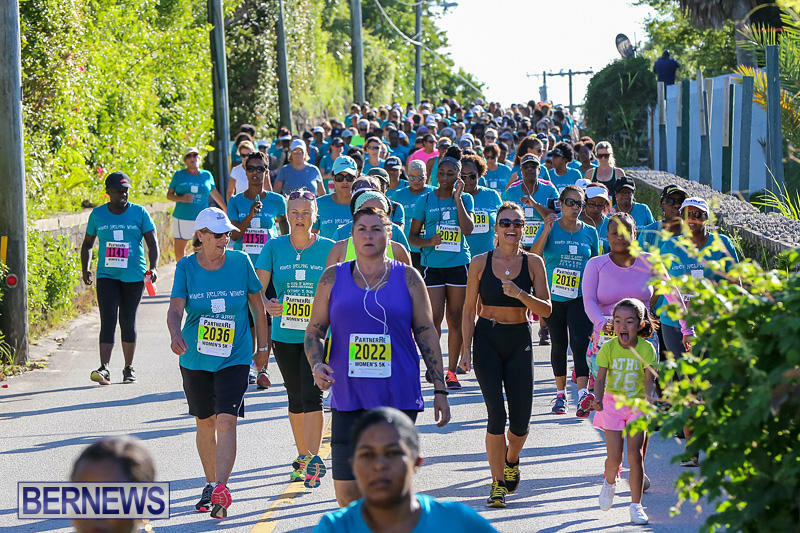 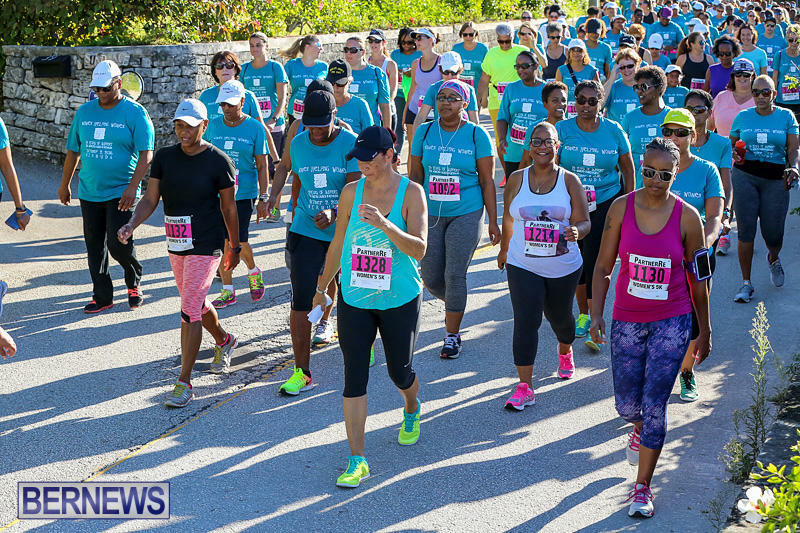 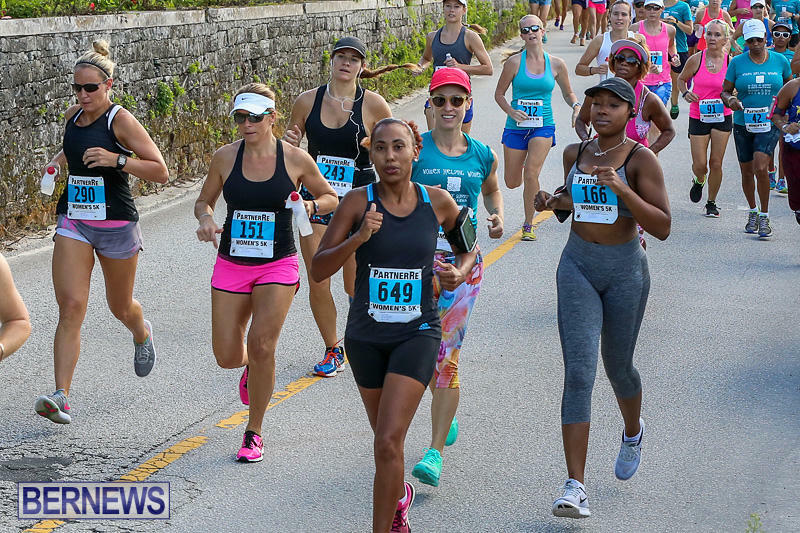 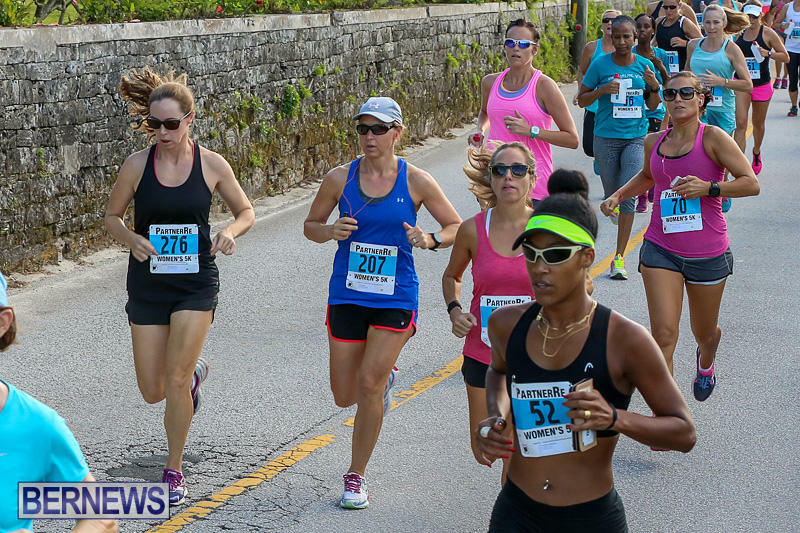 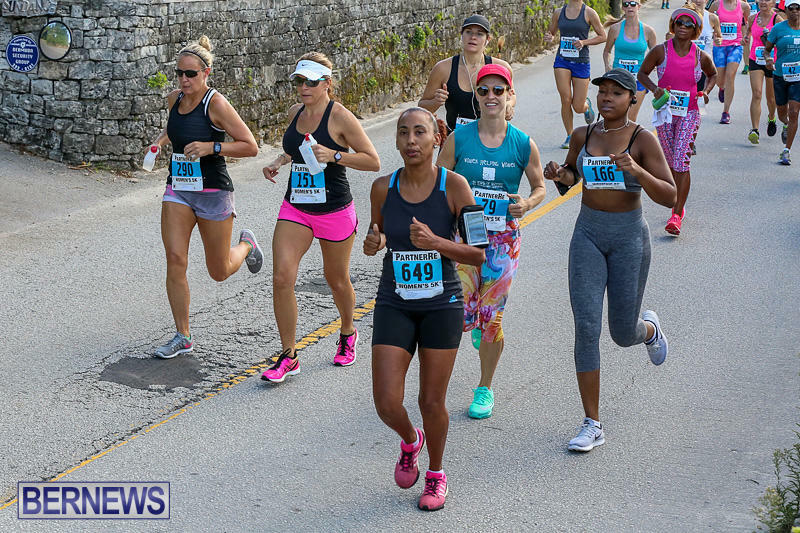 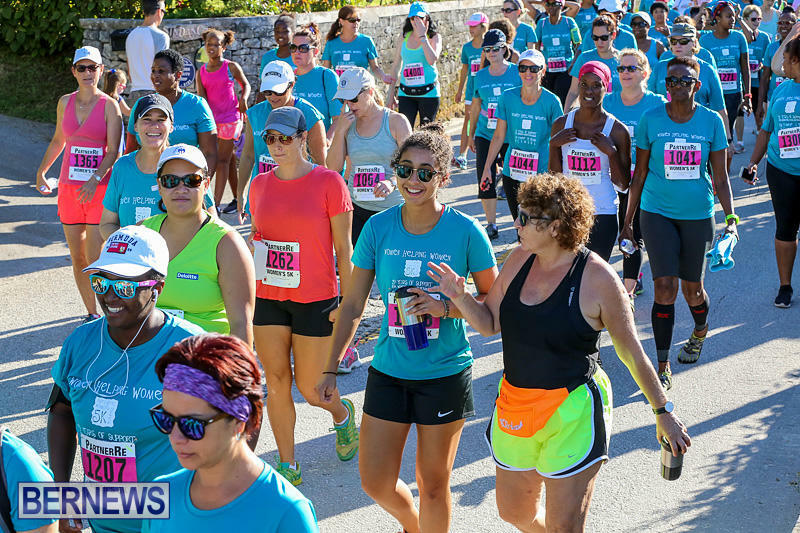 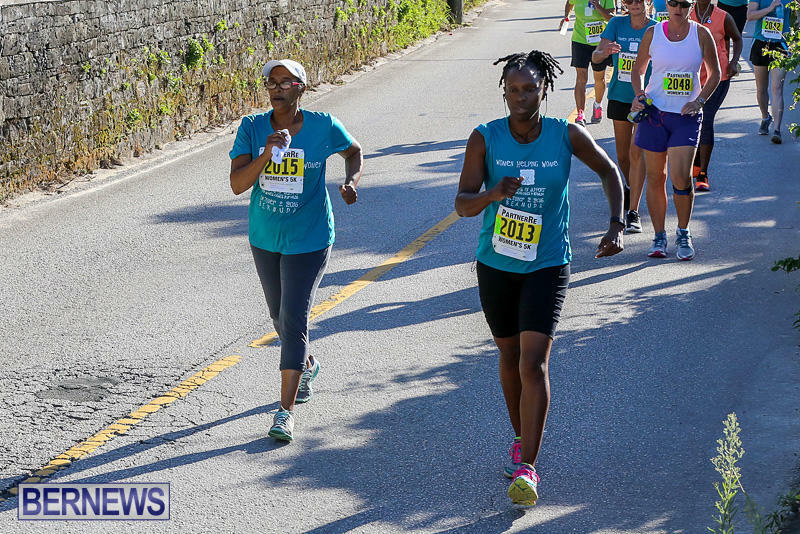 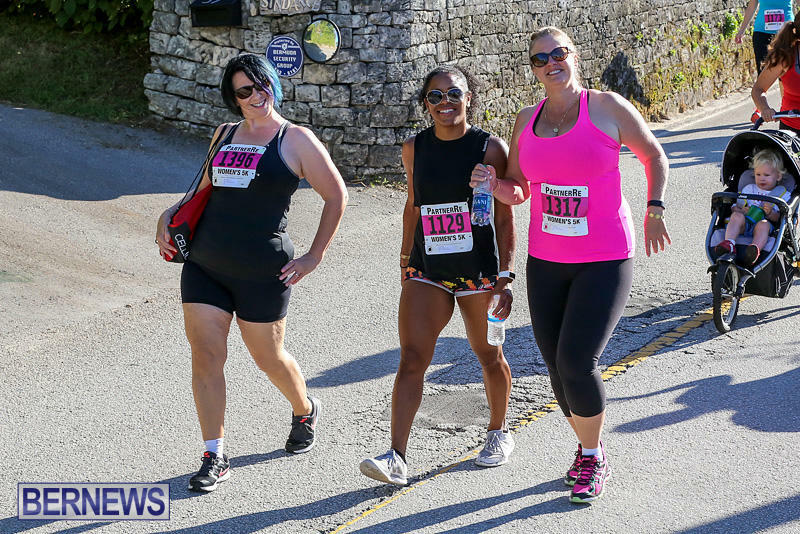 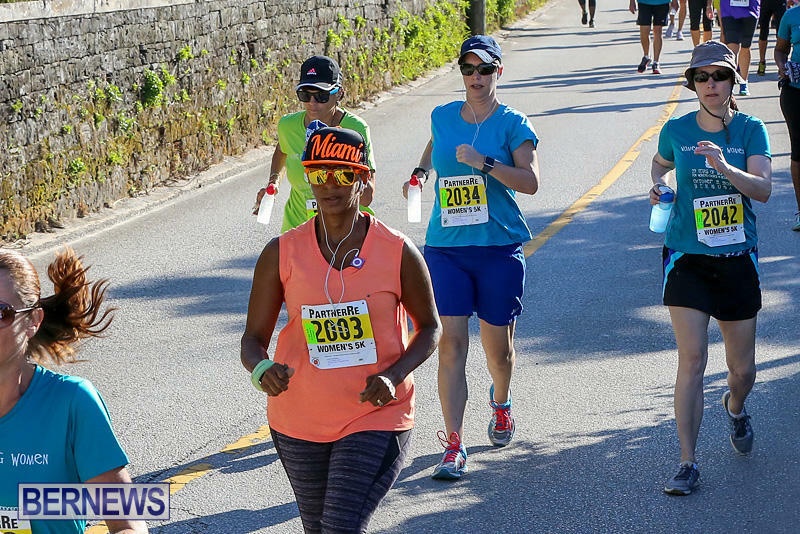 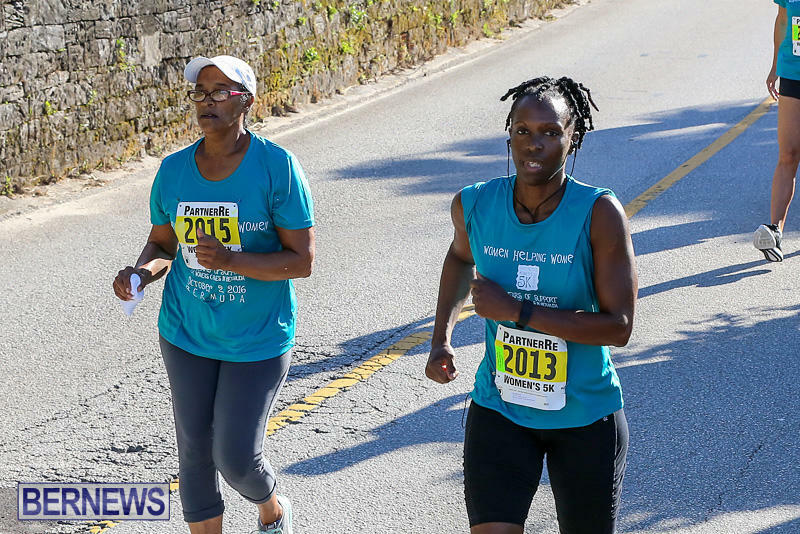 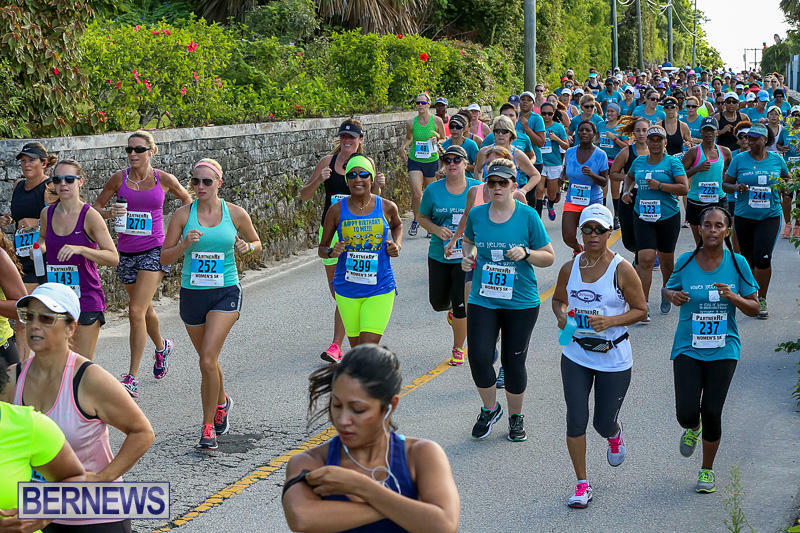 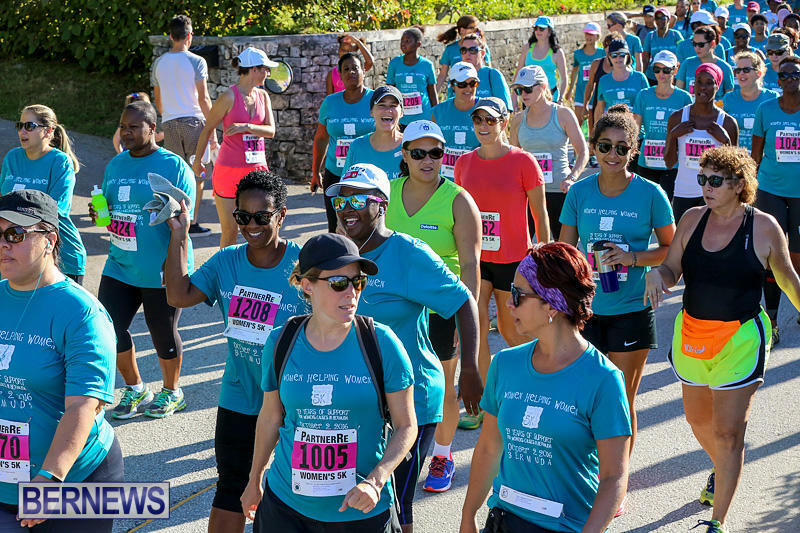 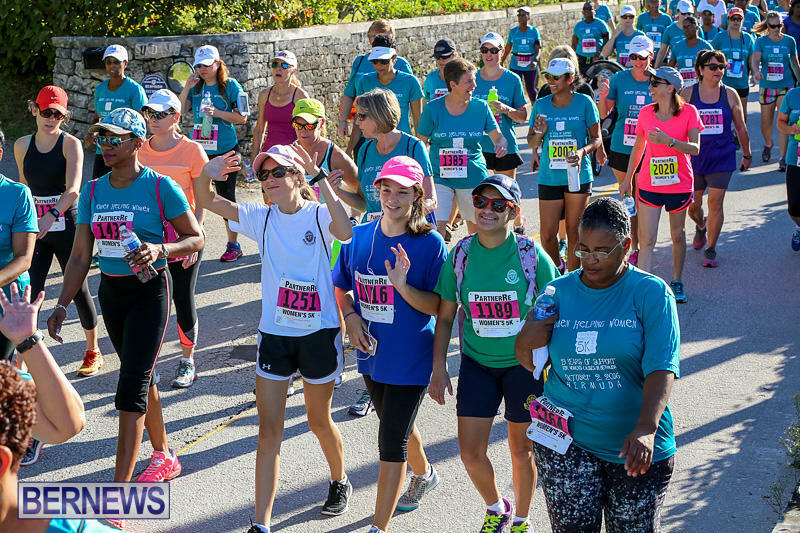 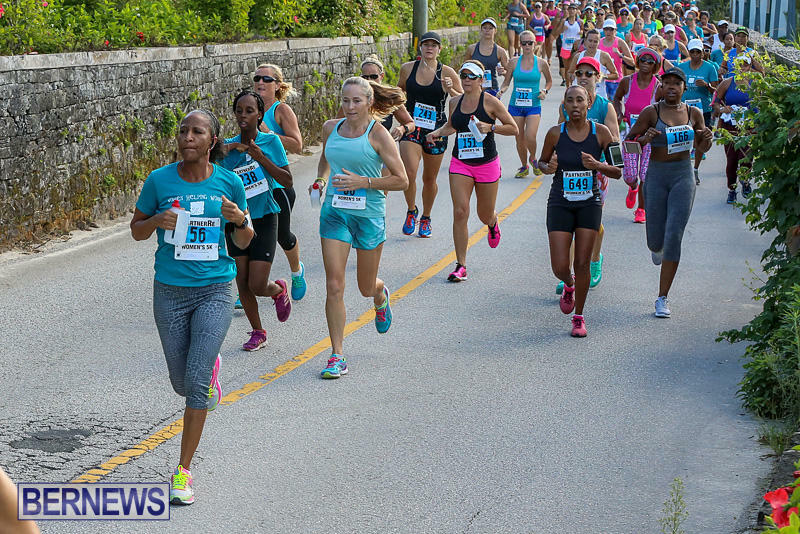 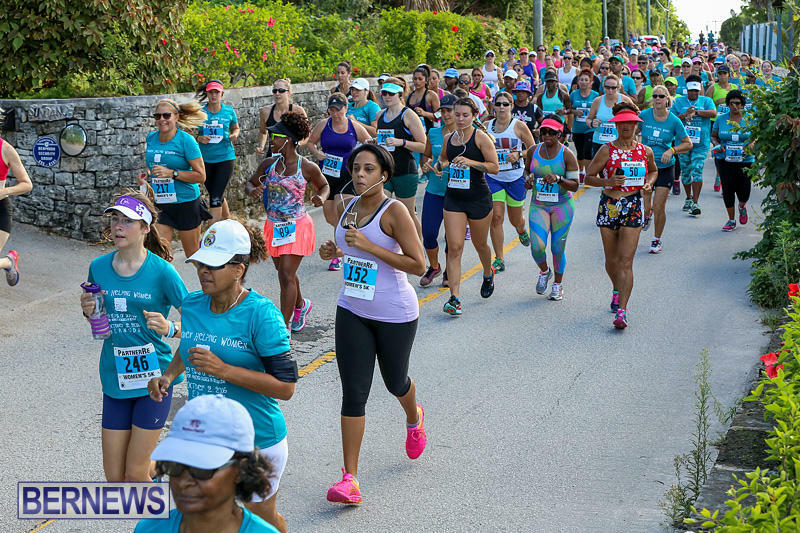 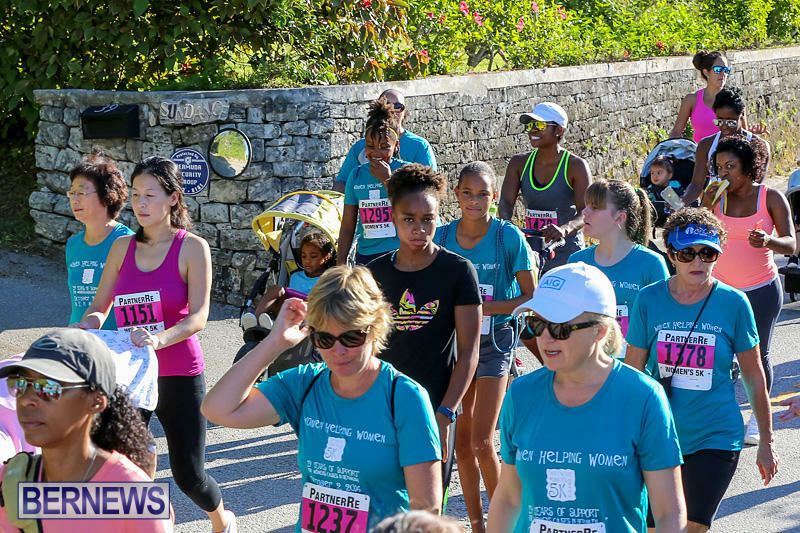 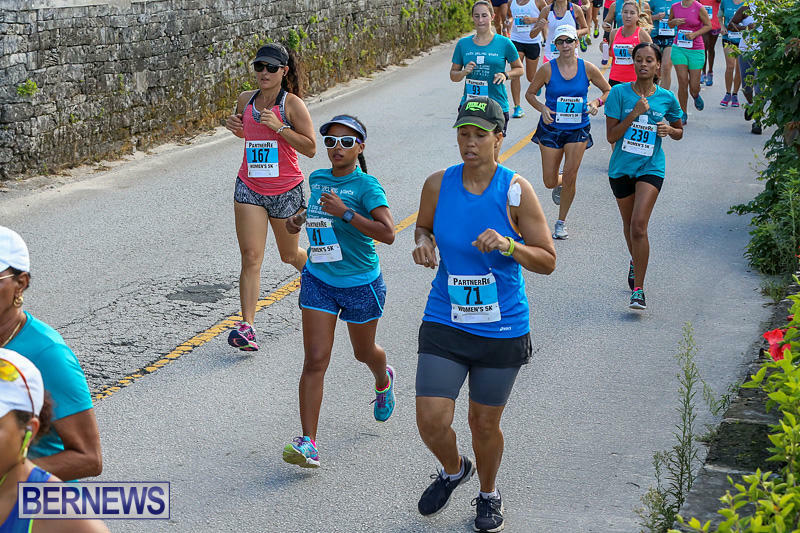 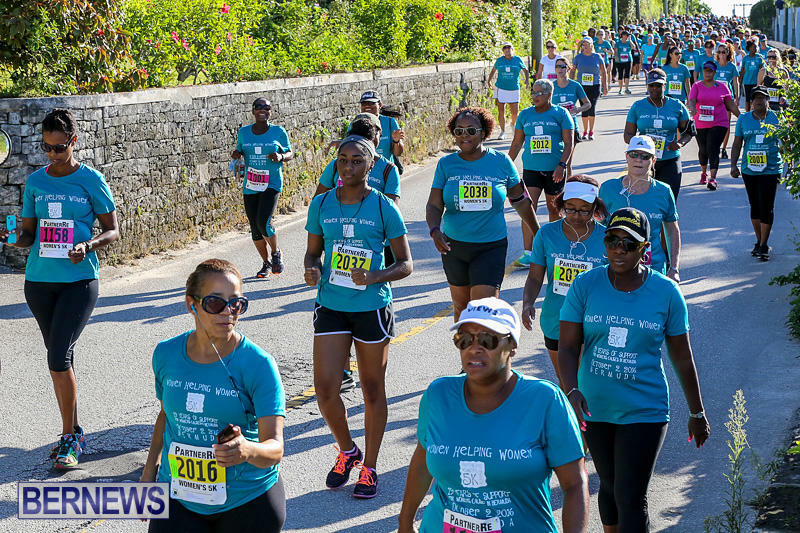 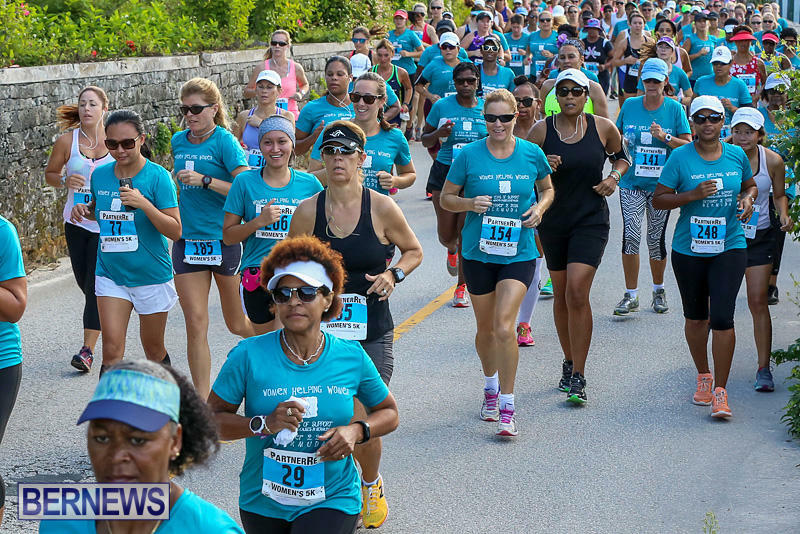 One of the few all-female events on Bermuda’s sporting calendar, it included a 5K race for women, a 5K walk, and a 2K run for girls under 15. 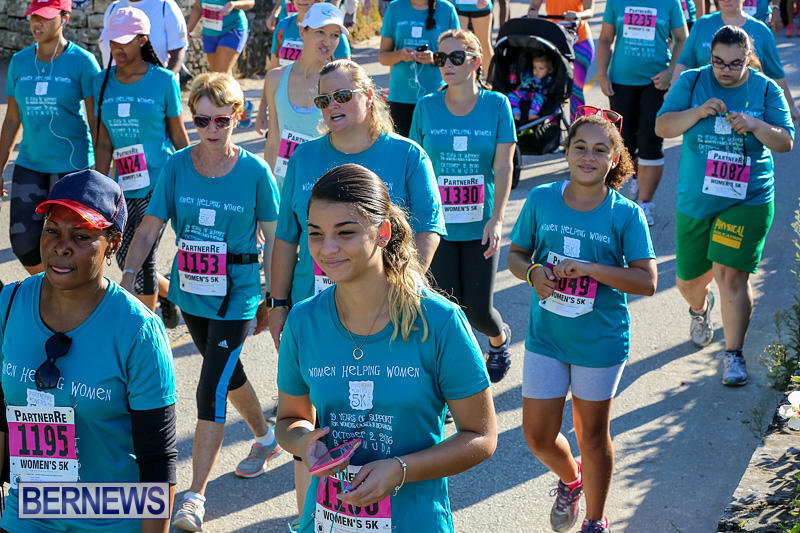 The goal of the event is is to promote female fitness, health, safety, and self-esteem, with all proceeds going to a cause that promotes these values. 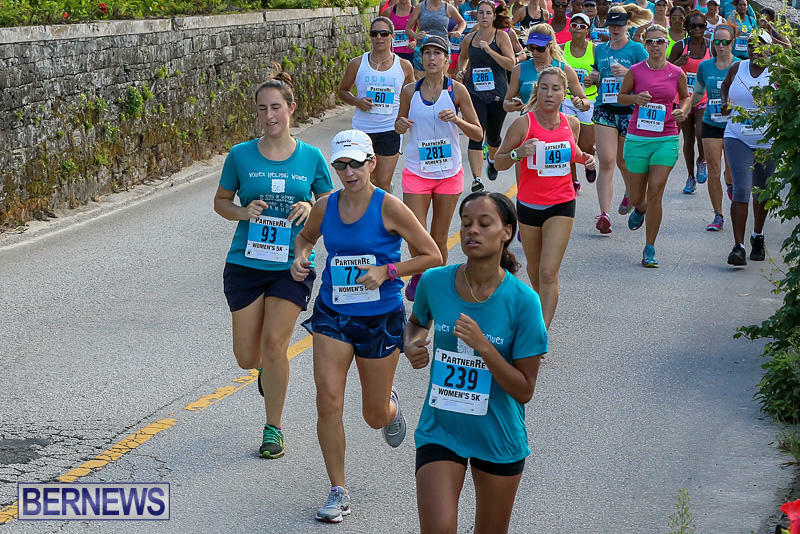 Ashley Estwanik crossed the line first winning the 5k run in a time of 19:40. 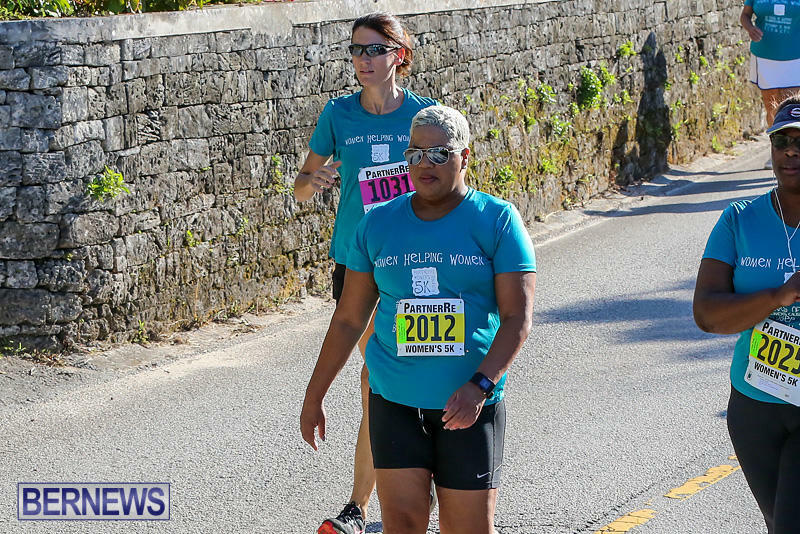 Jennifer Alen placed second clocking a time of 20:18 while Deon Breary placed third with a time of 20:53. 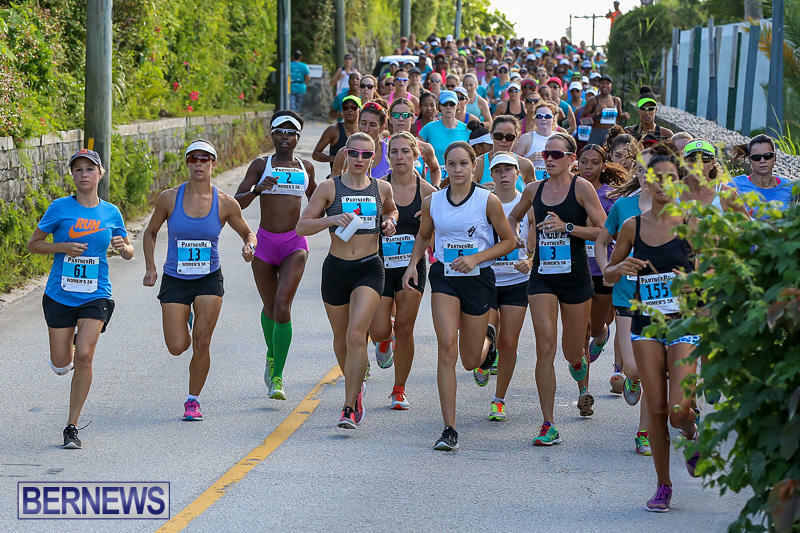 Emma Atherton was first in the 5k competitive walk with a winning time of 35:51 while Annette Eve placed second in 36:52, and Sheena Young placed third with a time of 37:31. 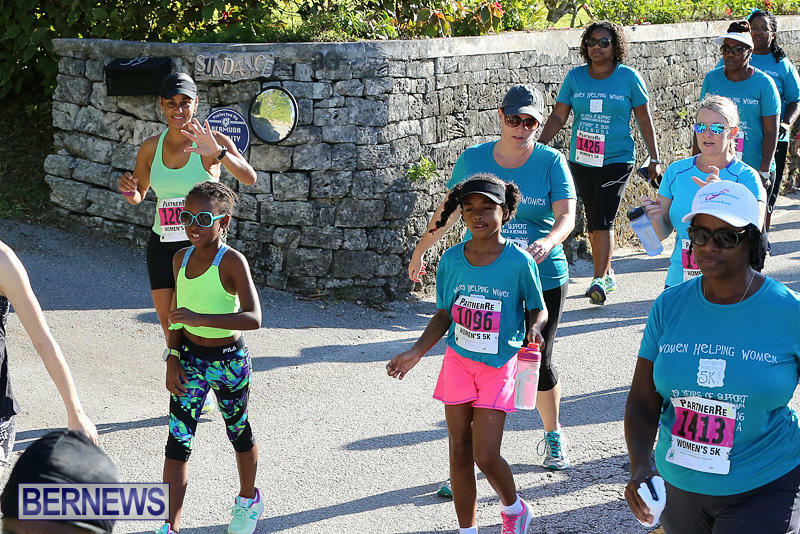 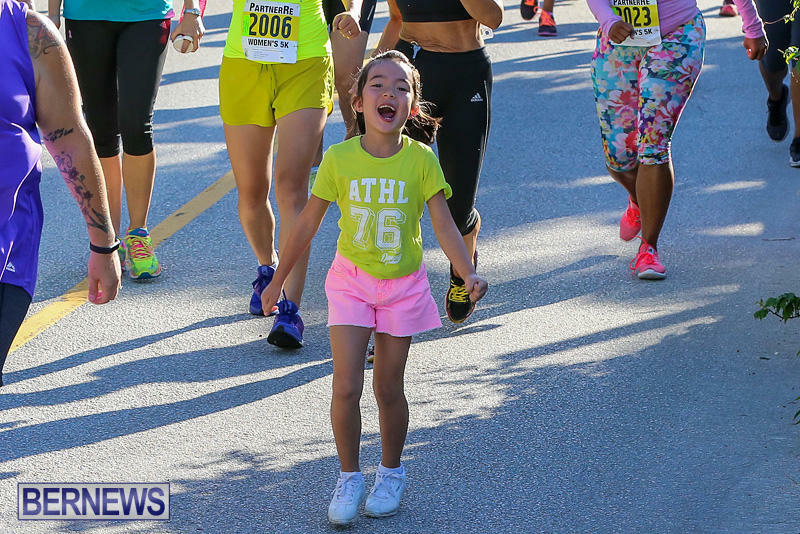 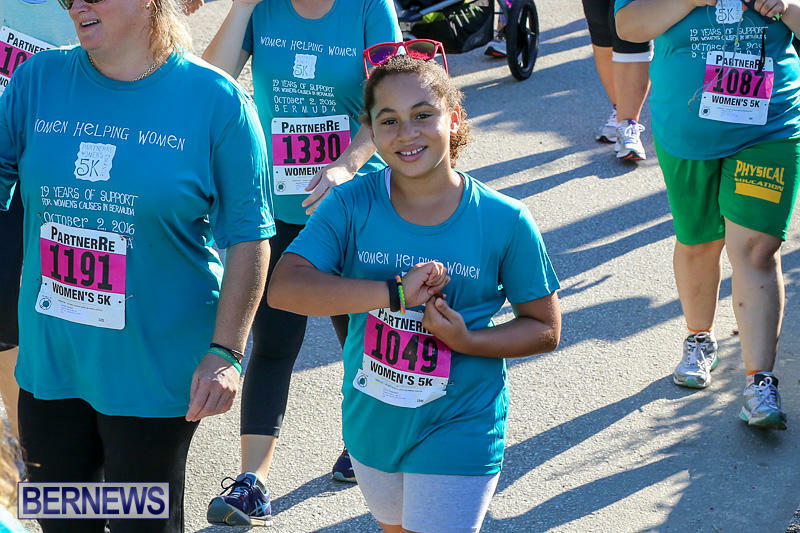 Ten year old Myeisha Sharrieff won the 2k run for 7-10 year old participants clocking a time of 7:12 while Jasmin Hasselkuss placed second in 7:16 and Katherine Bean-Rosario was third clocking a time of 7:25. 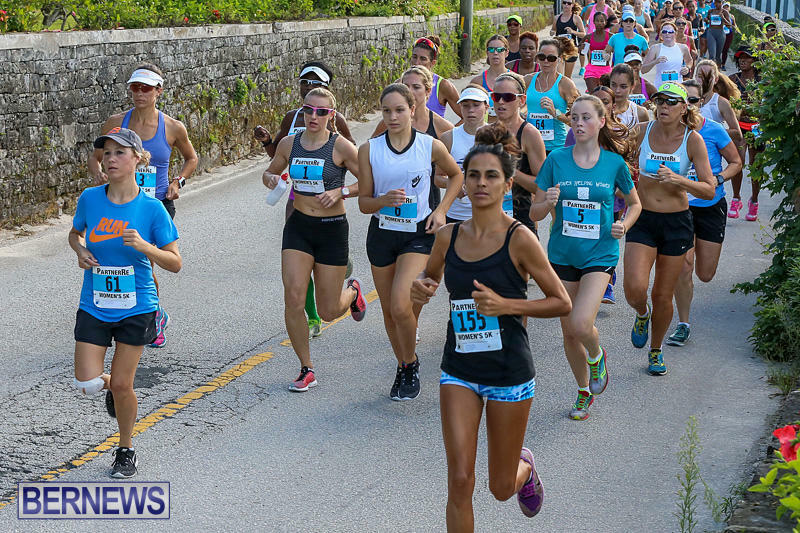 Jessie Marshall recorded a time of 6:34 winning the 2k run in the 11-14 year old group while Jessica Bruton came second in 6:52, and Kayla Raymond placed third in 7:06.